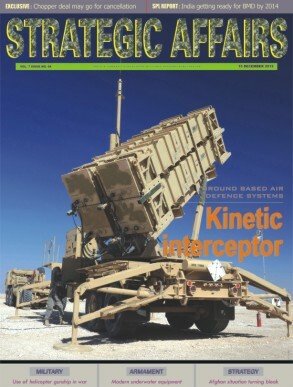 MARCH 2018: Since the technological parameters are fast changing, the radar systems are making lot of changes where it is being combined with advanced materials, solid-state modules, digital signal processors, and complex A-D converters that can give a better look to military and civilian users who need the best possible capability in small, compact, and efficient packages. 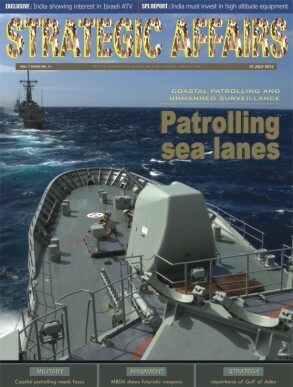 MARCH 2018: Maritime challenges and naval warfare are adopting new generation of technologies to reduce risk to sea battle and this is going to change the nature of surveillance and naval operations. The harshness of the maritime environment poses great challenges to marine robots, and they must be reliable, robust, and highly autonomous. NOVEMBER-DECEMBER 2017: Most navies are now setting their eyes in acquiring state of the art underwater unmanned vehicle which can not only boost their surveillance and reconnaissance capability but also enhance tremendously the attack capacity which cannot be detected easily. 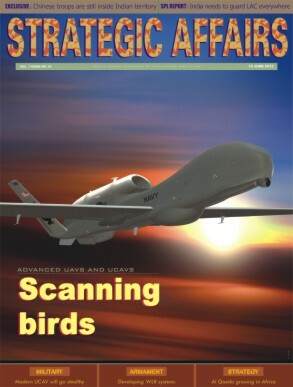 NOVEMBER-DECEMBER 2017: The role of Unmanned Aerial Vehicles (UAVs) in modern warfare has evolved with each successive conflict, from naval gunfire support during the 1991 Gulf War to real time satellite relay of video over Kosovo in 1999 to attacking mobile Al Qaeda fighters in Afghanistan in 2002/2003. 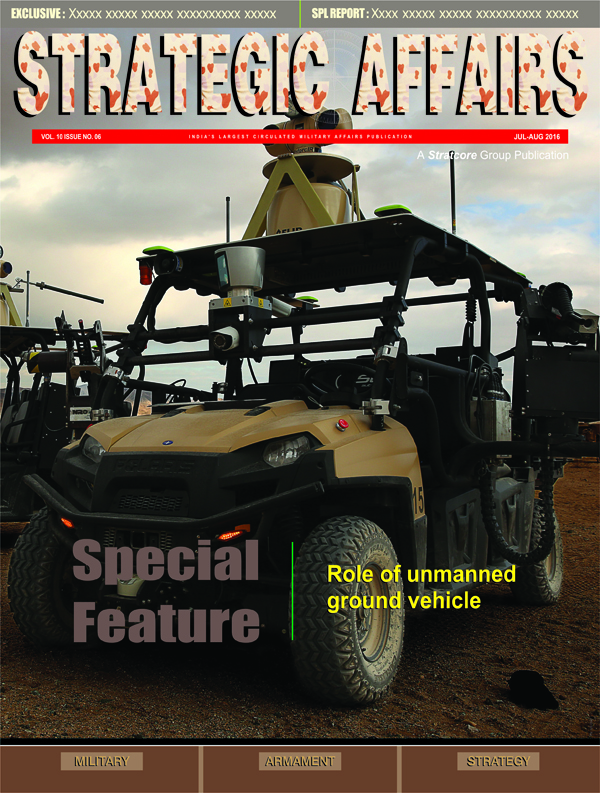 SEPTEMBER-OCTOBER 2017: The rapid evolution of small unmanned air system (sUAS) technologies is fueling the exponential growth of the commercial drone sector, creating new asymmetric threats for warfighters. 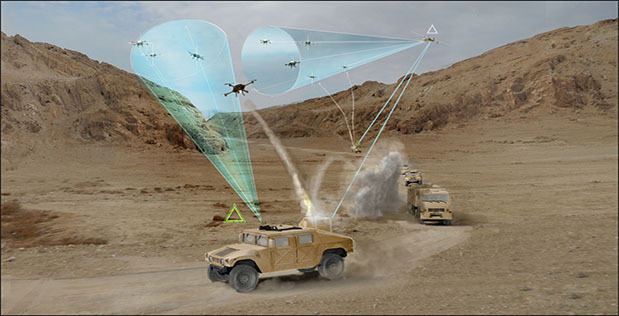 DARPA’s Mobile Force Protection (MFP) program seeks to develop an integrated system capable of defeating self-guided sUAS (i.e., those that do not rely on a radio or GPS receiver for their operation) attacking a high-value convoy on the move, and recently awarded Phase 1 agreements to start research. JULY-AUGUST 2017: India is looking forward to position itself for a more ambitious role in the region as a maritime security provider. 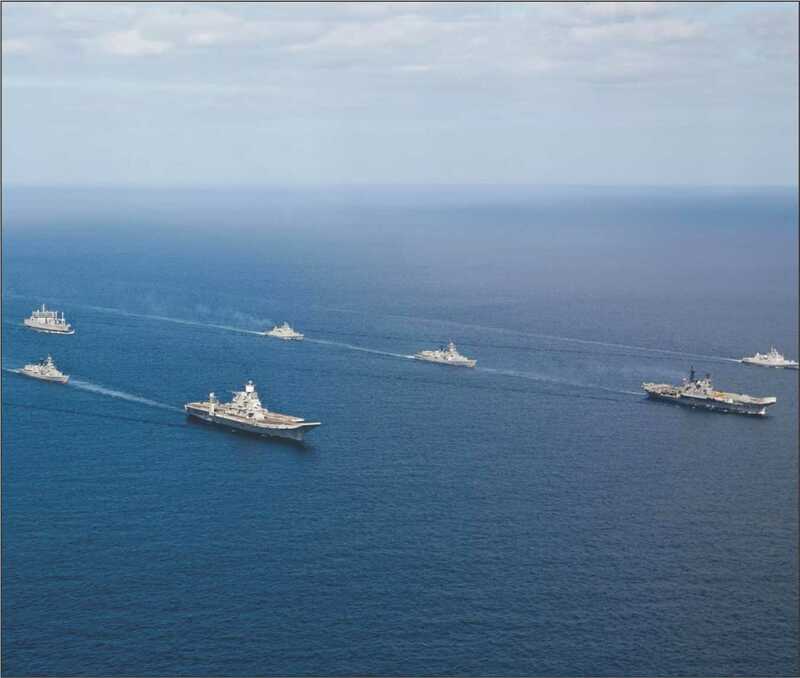 India is willing to safeguard its key strategic and economic interests in the region through international naval cooperation and power projection. 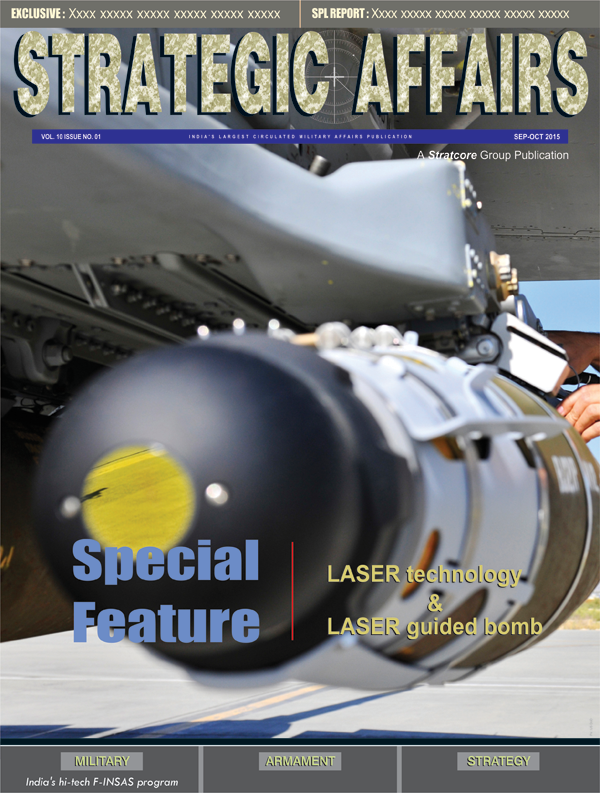 MAY-JUNE 2017: Technology has been a major driver of evolution of the war tactics around the world. The Ocean remains a treacherous and vast area to monitor, deliver help, or enforce the law. 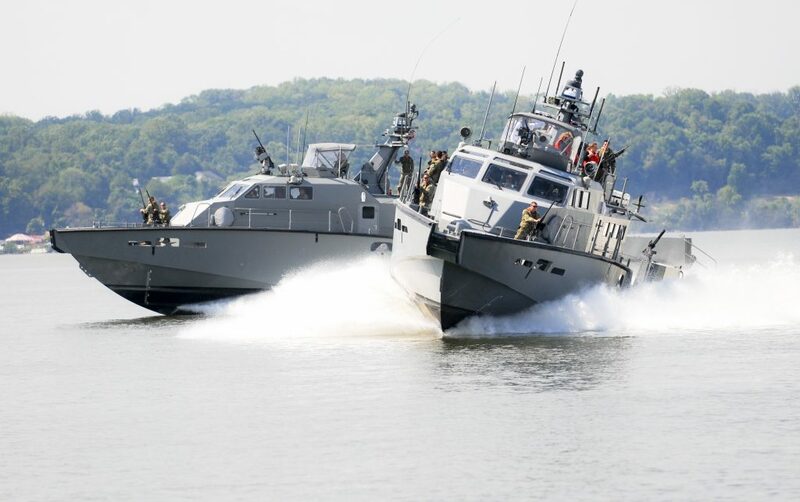 Governments seeking to control maritime borders, minimize illegal trafficking, and protect ocean ecosystems face daunting surveillance challenges. Finding better ways of observing and reporting on the interior of the ocean, its seafloors and coastal boundaries remain principal objectives of the marine community. 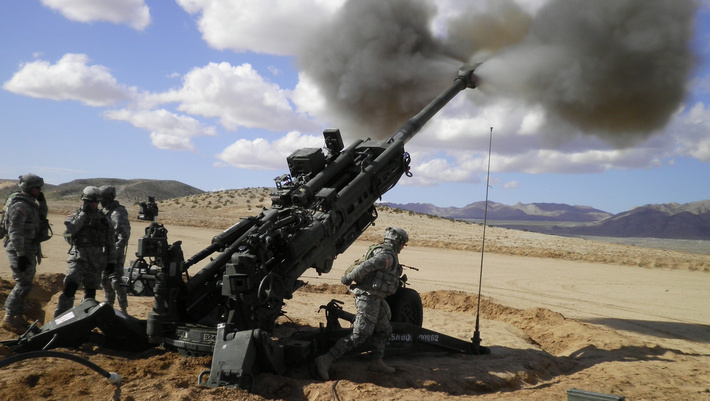 MAY JUNE 2017: India is in the process of redesigning its Artillery Corps requirements to meet a two-and-a-half front war scenario the fulcrum of which will lie in the high Himalayas. 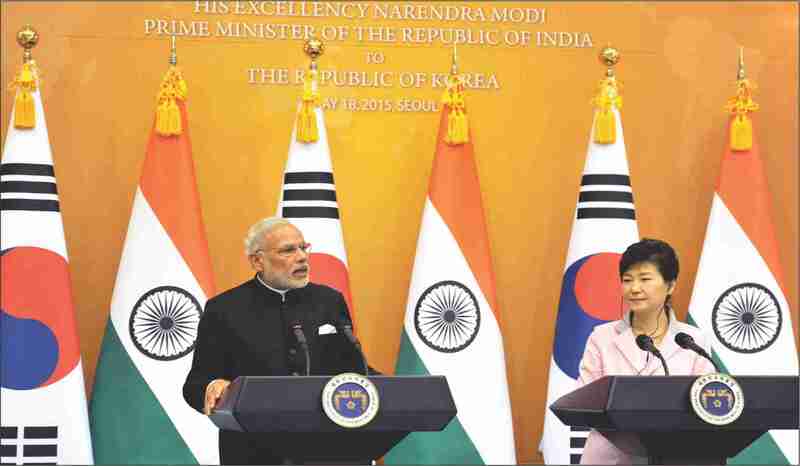 The two-and-a- half has become a descriptive of the new hybrid warfare expected to be unleashed against India by China and Pakistan and their hordes of jihadi terrorists with Kashmir and Arunachal Pradesh as the focal points. 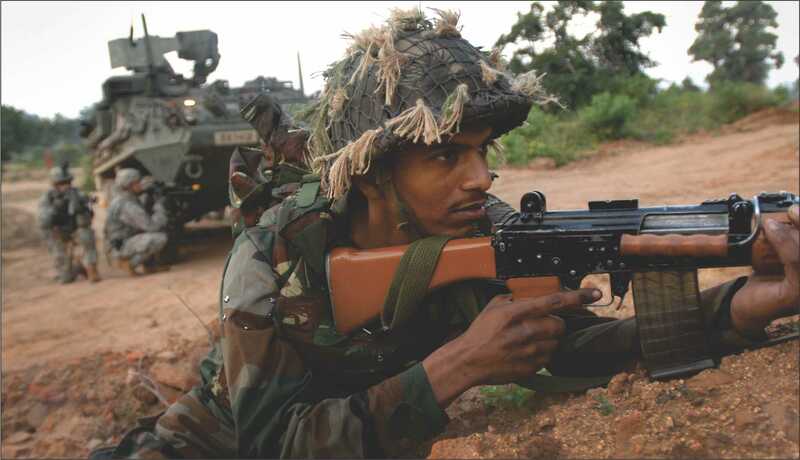 There will have to be a clear assessment of the kinetic capacities in the hands of Indian soldiers who will, apart from dealing with the enemies, have to contend with the ruggedness of the terrain and the vicissitudes of the weather conditions. 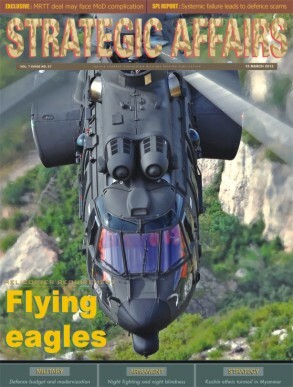 MARCH-APRIL 2017: Choppers may be slightly outdated in modern warfare due to their sluggish speed and reliability but these machines are being used for a wide range of other roles in the theatre which is helping ground forces to clear off the enemy area with tremendous advantages. MARCH-APRIL 2017: The Indian Navys anti-submarine warfare department began operations with fixed wing aircraft operating from on board India’s first aircraft carrier, the INS Vikrant. The French Alize aircraft was the backbone of the anti-submarine protection provided to the aircraft carrier task force in both peacetime and during hostilities. 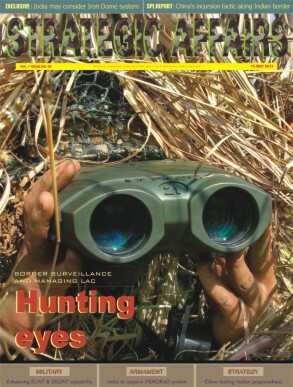 JANUARY-FEBRUARY 2017: The easy manner in which Indian land frontiers have been breached in recent times by terrorists bent on inflicting damage on military targets in the hinterland begs a case for upgrading aerial component in both the daylight and night-time surveillance, reconnaissance and Intelligence gathering. 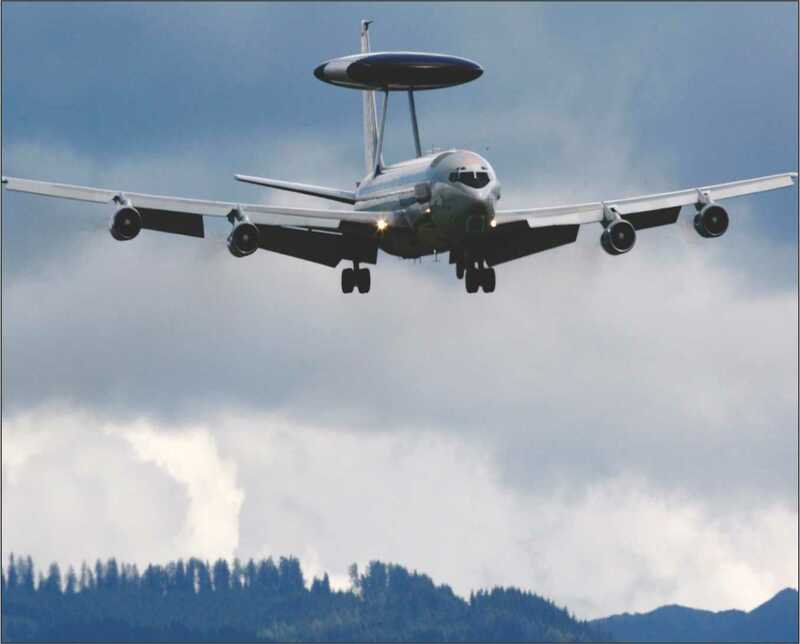 SEPTEMBER-OCTOBER 2016: Intelligence, Surveillance and Reconnaissance (ISR) are central to the conduct of warfare both in attack and defence. 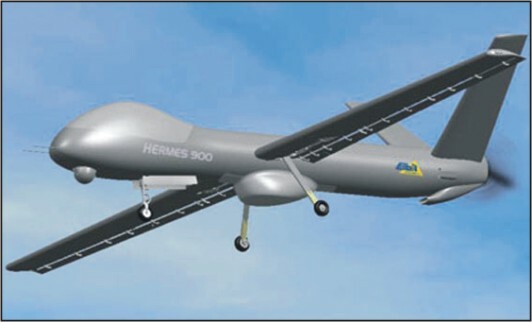 India has over the past two decade bought all kinds of sensors (airborne and land based) to try and improve its ISR capabilities but events have shown that the country is singularly lacking in intelligence and capabilities of surveillance and reconnaissance at moments critical to the national territorial integrity or even humanitarian uses like search and rescue. SEPTEMBER-OCTOBER 2016: The tactic that helped the BJP-led National Democratic Alliance gain political ascendancy during and after the Rajiv Gandhi involvement in the Bofors howitzer scandal appears set to haunt the Narendra Modi-led NDA in its attempts to buy assault rifles for the Indian Army. 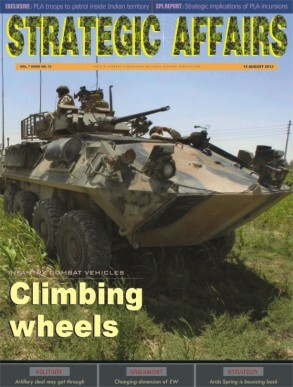 Both episodes have but one fatal consequence for the Indian Army and the nation-self-inflicted delays in acquisition. 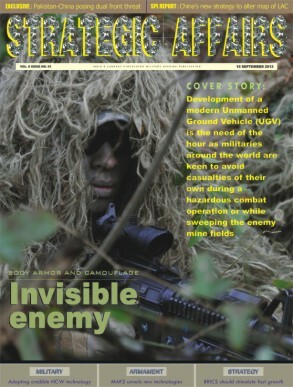 JULY-AUGUST 2016: The saturation of multispectral beams and increasing presence of electromagnetic radiations in the modern battlefield can be handy on one hand but it can create massive interference which may lead to absolute failure of command and control systems. 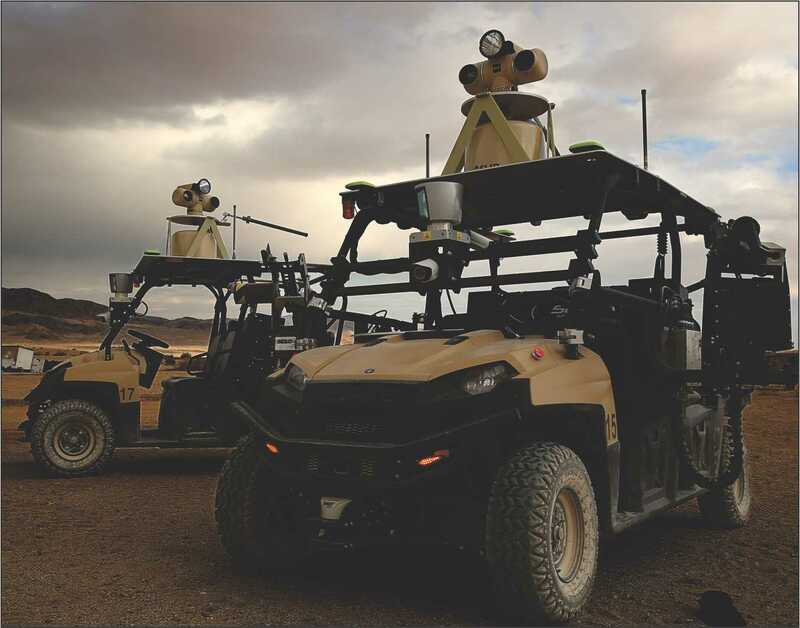 JULY-AUGUST 2016: The Defence Research and Development Organisation has been working on robotics to create unmanned ground vehicles for reconnaissance and surveillance; detection and destruction of mines and improvised explosive devices. 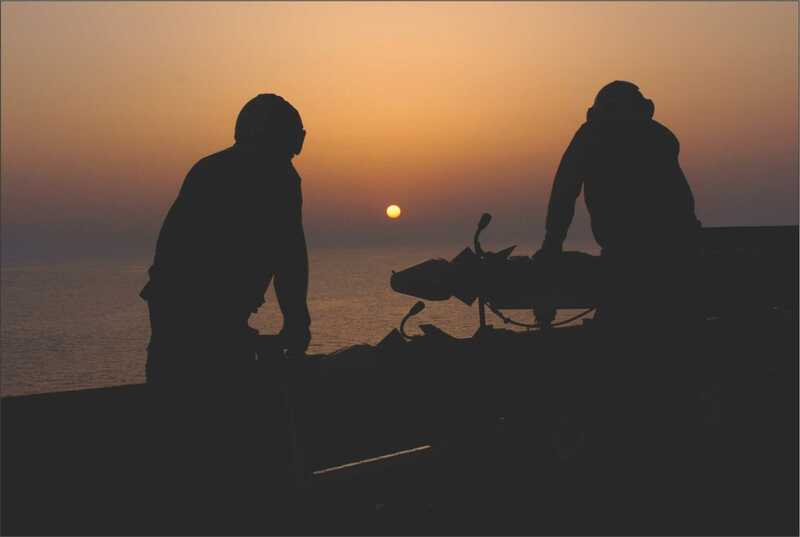 MAY-JUNE 2016: Protecting Indias vast coastline of around 7500 kms is not an easy task. The challenge assumes even more significance given the fact that anti-Indian forces have tried and are trying to use waterways to spread terror in the country. MAY-JUNE 2016: A miss is as good as a mile. 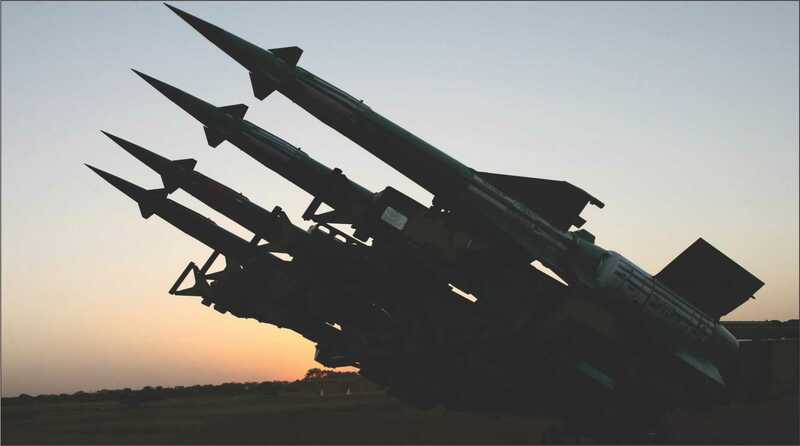 The Indian Air Force will probe the reasons for the failure of two of its precision guided munitions-the runway busting US-made Paveway air-to-surface missile and the quick-reaction Soviet era OSA-AK (M) anti-aircraft missile-during Operation Iron Fist in Rajasthan in mid-March. 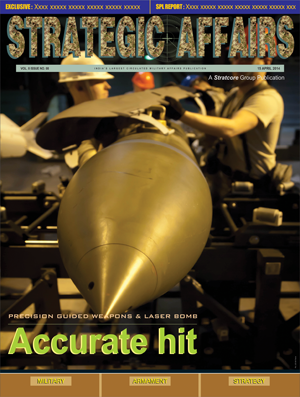 MAY-JUNE 2016: In modern war, the role of precision guided munition is increasingly being optimized by the military commanders to avoid collateral damages which helps overcoming the pitfall of public opinion as war causes lot of unwanted damages. 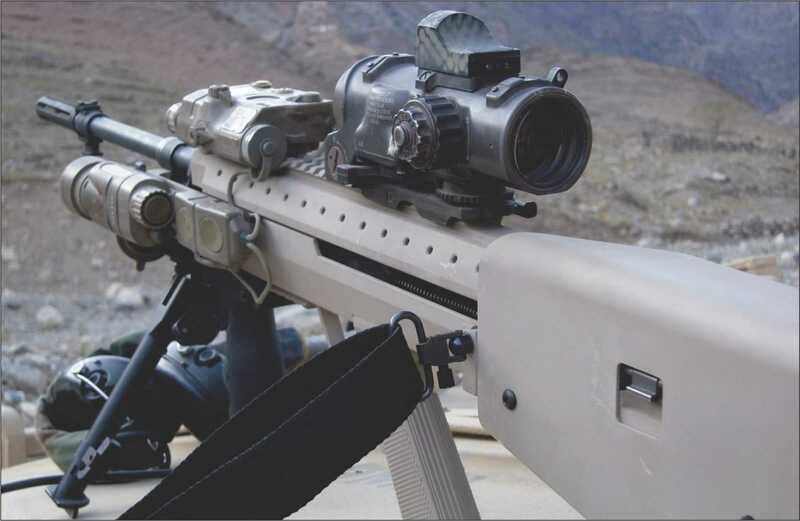 In fact, the evolution of new technologies has, in many ways, changed what defines a precision weapon. 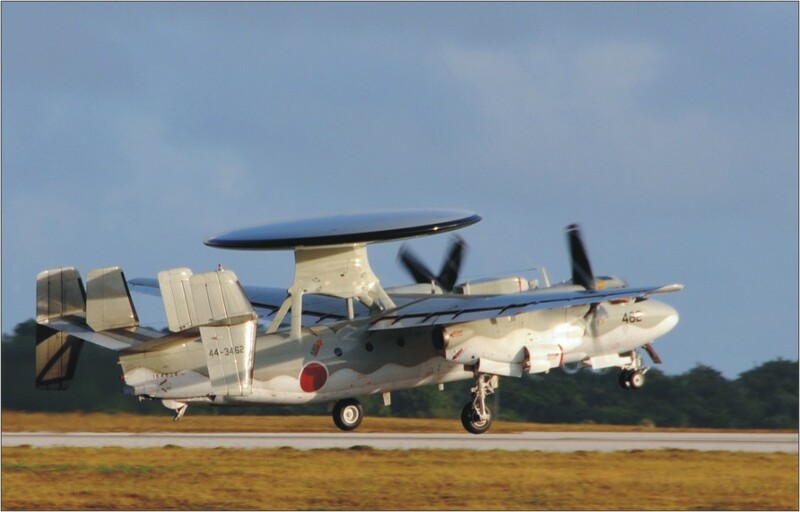 MARCH-APRIL 2016: Maritime surveillance capabilities of the Indian Navy would not be complete till the medium range maritime reconnaissance aircrafts are inducted following the process given a final push through the issuance of the RFP for nine MRMR aircraft way back in 2013. 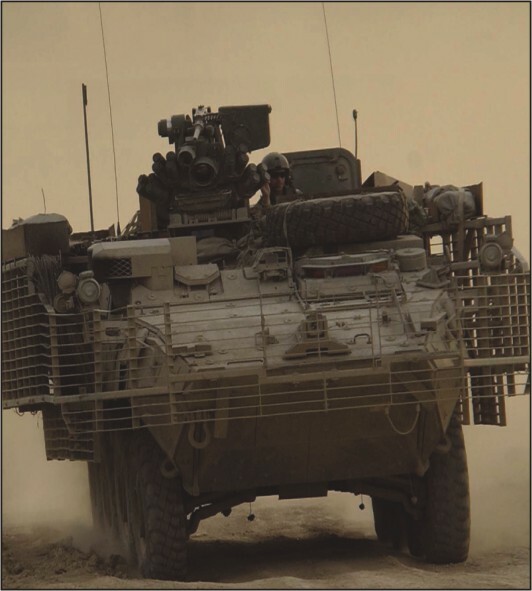 MARCH-APRIL 2016: Conceived as an armored adjunct to the main battle tank for rapid manoeuvre warfare in the mechanized infantry mode the infantry combat vehicle is fast acquiring acceptability in the urban guerrilla warfare counter-insurgency format. 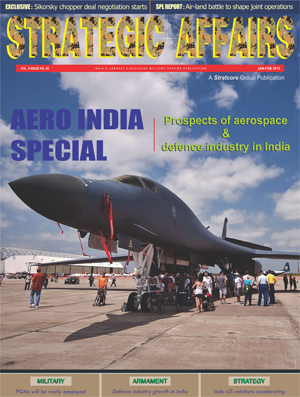 MARCH-APRIL 2016: The procurement of Intermediate Jet Trainers for the Indian Air Force has once again crashed into the shoal of an inadequate engine, an inherent asymmetry in the superstructure, and the proverbial monopolistic instincts of the sole aircraft manufacturer, the Hindustan Aeronautics Limited. 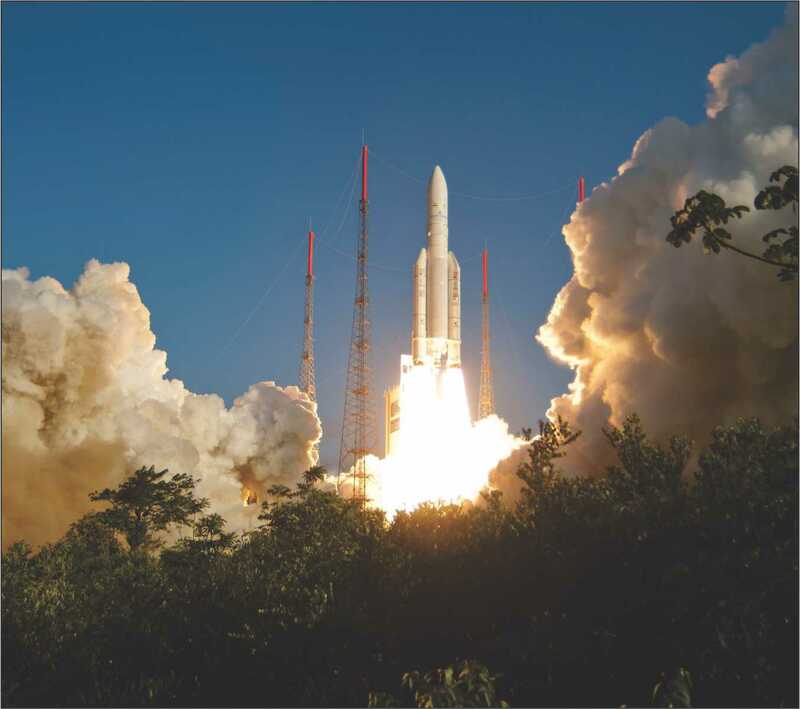 MARCH-APRIL 2016: In recent years, outer space has become a strategically vital frontier for the defence forces keen on sustaining their strategic supremacy on the ground and stay at the winning edge of the war. 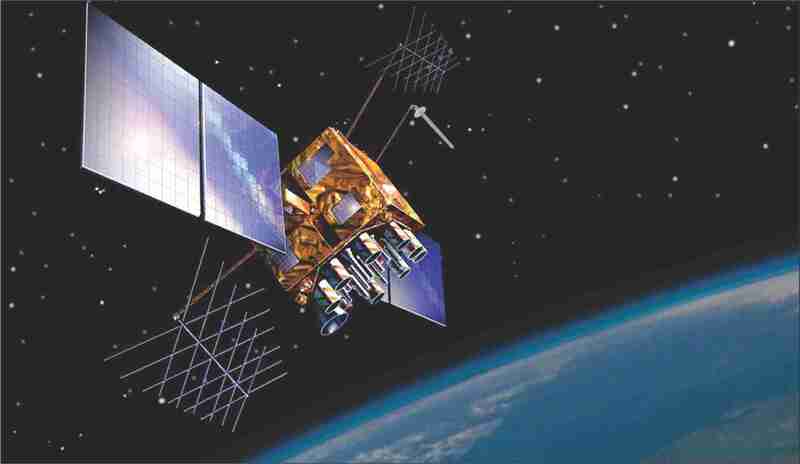 Indeed, orbiting satellites meant for a variety of end use serve as ‘ears’ and ‘eyes’ in the final frontiers for the armed forces on the lookout for a holistic picture of the strength and weakness of the rival forces. 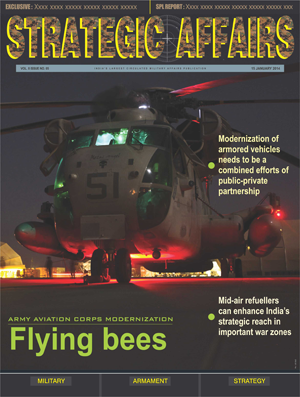 JANUARY-FEBRUARY 2016: Rapid advances in the technology of the versatile and multi-functional Electronic Warfare (EW) systems and devices have paved the way for an enhanced situational awareness and information dominance to stay ahead of the adversary in the thick of the battlefield. 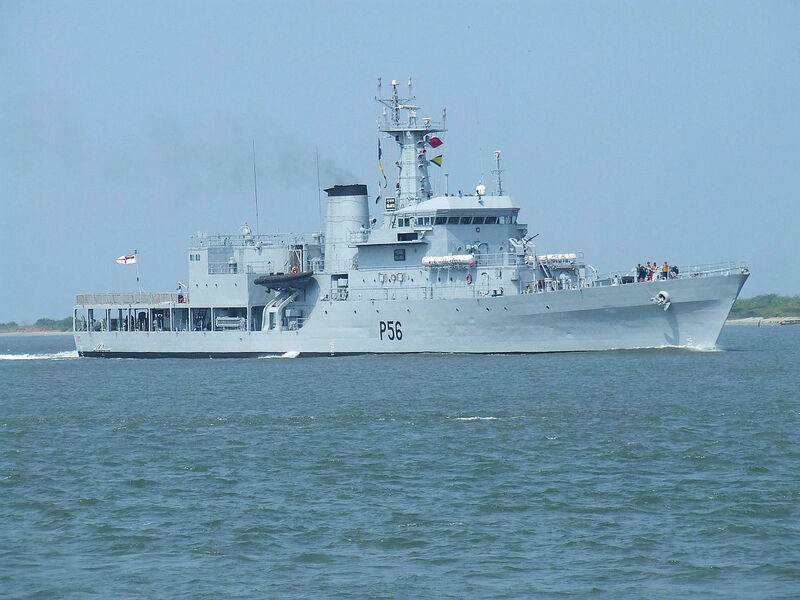 JANUARY-FEBRUARY 2016: The Indian Navy has acquired the laudable distinction of converting itself from a ‘buyer's Navy' into a 'builder's Navy’ by dint of steady accretion of design capabilities in warship building since the establishment of the Directorate of Naval Constructions in 1954. 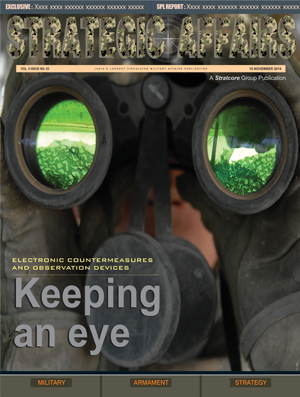 NOVEMBER-DECEMBER 2015: The offshoots of the generic term electronic warfare are weapon locating radars, electronic counter and counter-counter measures, observation devices and a host of military/civil tools. 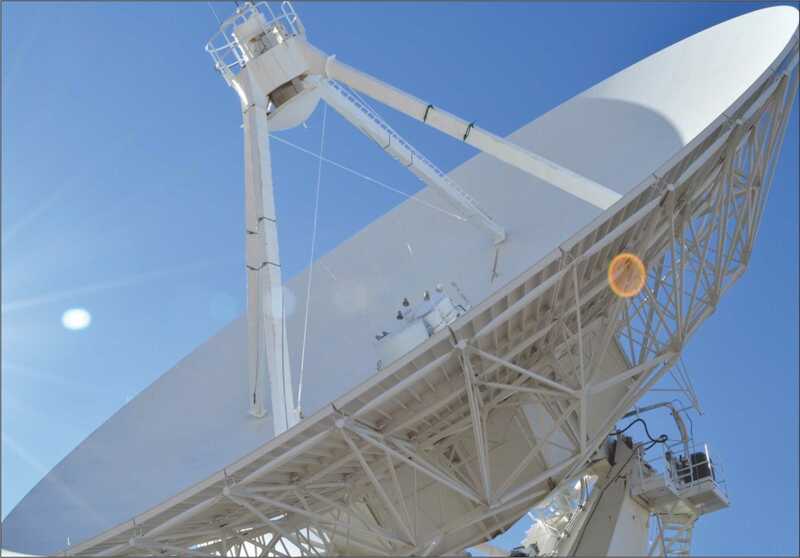 It is a realm of almost constant flux where methods and tricks of target acquisition meld into ways of neutralization as soon as the change is detected. 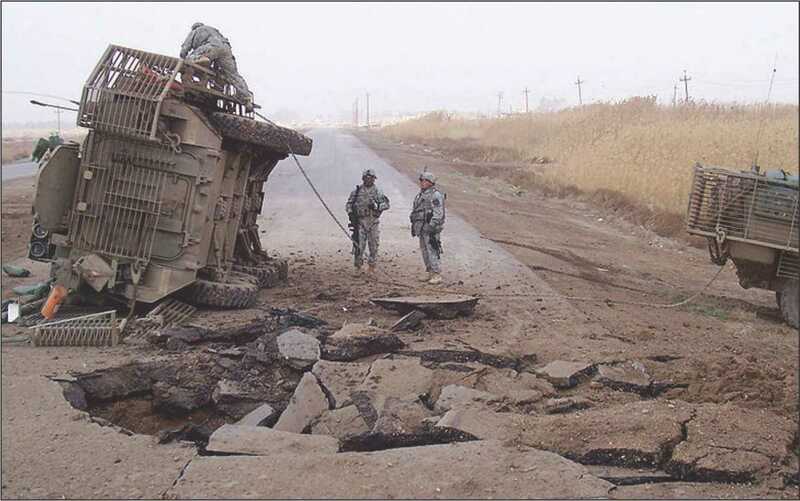 If undetected disaster confronts the target nation. 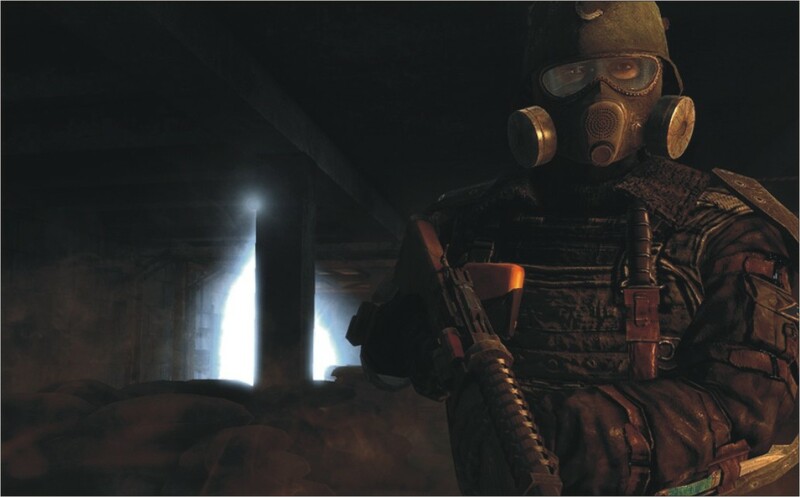 The initial US success in the Gulf war against Iraq was attributed to the use of electronic warfare to render Iraqi forces deaf and mute and hence vulnerable. 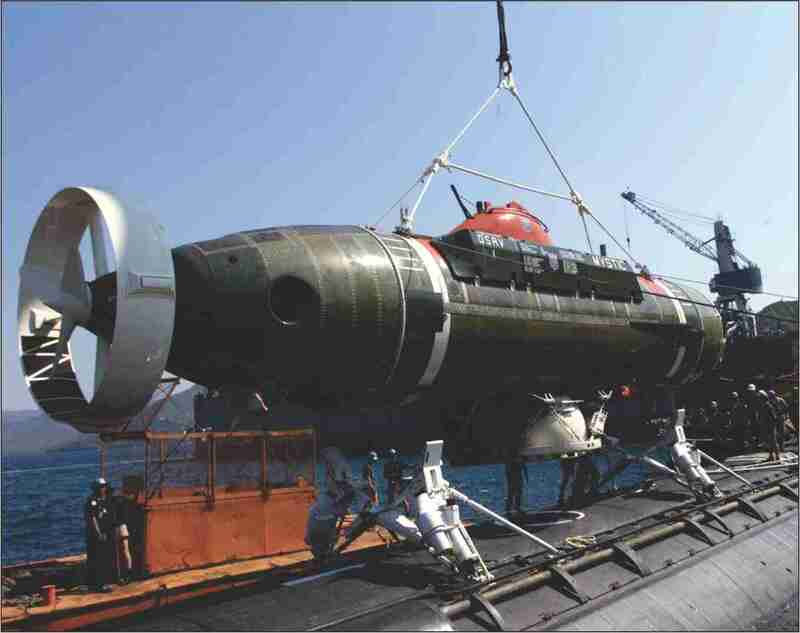 NOVEMBER-DECEMBER 2015: With six new submarines to be built indigenously India needs to ensure that a deep sea rescue facility is an integral organic component. 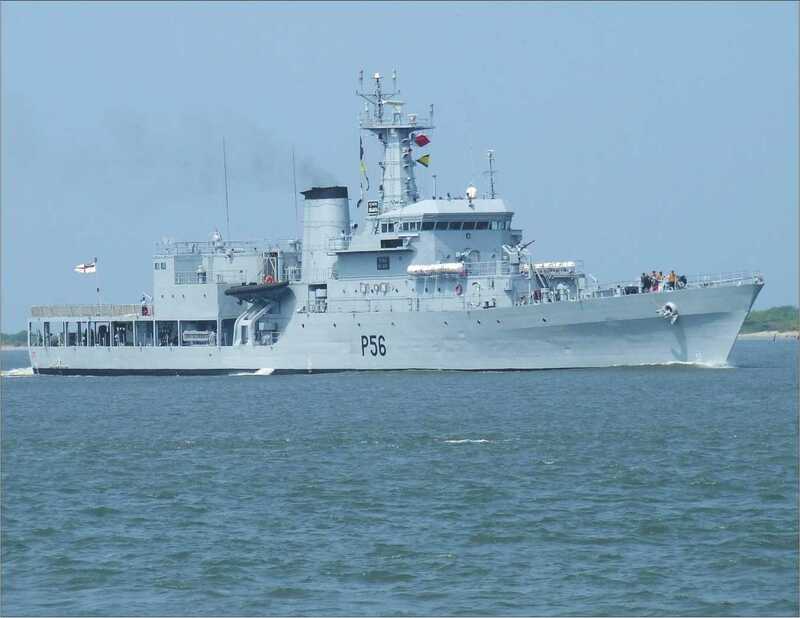 While India has one submarine rescue vessel in the form of Nishtar any delay in arriving at the scene of an incident can be fraught with danger for the crew. 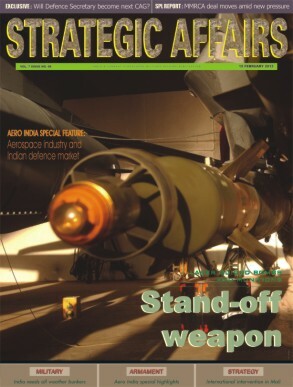 NOVEMBER-DECEMBER 2015: In a day and age when Make in India is the official buzzword one would legitimately expect that a concentrated and sustained effort would be in the scheme of things to upgrade and improve an indigenously developed anti-tank guided missile (the Nag) and the technology demonstrator Very Short Range Air Defence (VSHORAD) Trishul missile and perceptibly shift India from overdependence on foreign sources for these requirements. 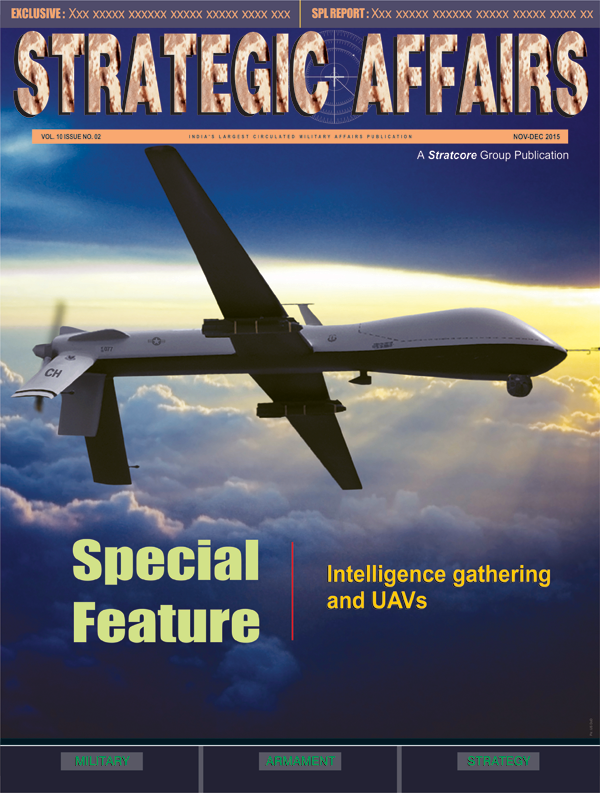 SEPTEMBER-OCTOBER 2015: The widespread and successful use of drones i.e., the UCAV in the Af-Pak region has demonstrated its efficacy and necessity in future warfare, especially in a low intensity conflict situation. 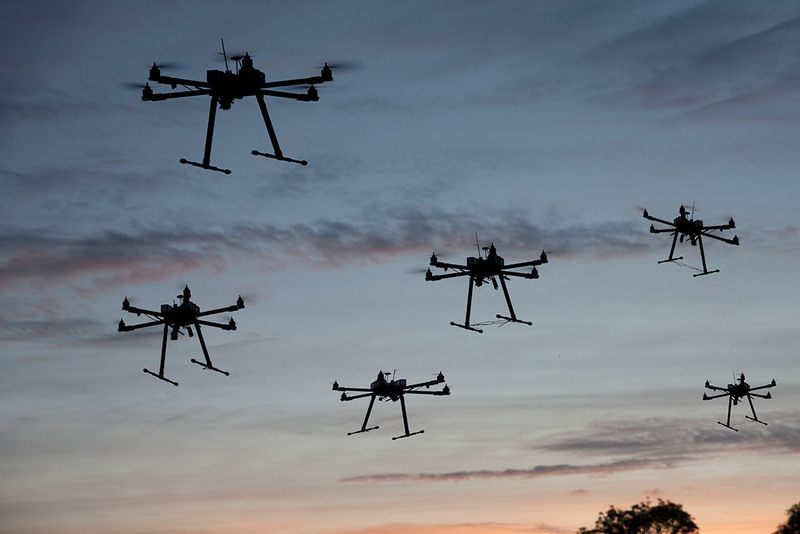 However, the defence community, world over, is now looking into the possibility of deploying the combat drones in full scale war which can be deployed in the long range and long endurance mission. The drones are now gradually becoming part of the weapons package. SEPTEMBER-OCTOBER 2015: Among the many lessons learnt by India from the Kargil intrusion by the Pakistan Army Northern Light Infantry in 1999 was one that it should not require the wasteful expenditure of more than 2,50,000 tons of steel over a period of more than two months to be able to dislodge/eliminate an entrenched enemy. 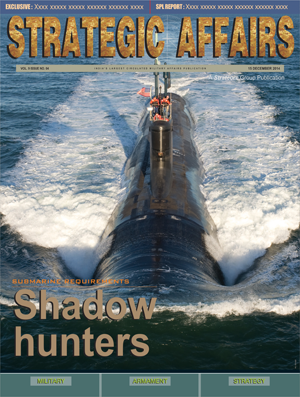 SEPTEMBER-OCTOBER 2015: With concerted attempts to make the oceans transparent and the development of technologies that could make the quietest of submarines detectable, India, with its nuclear doctrine predicated totally to the importance of being undetectable will have to reduce its overdependence on a submarine-based nuclear deterrence. 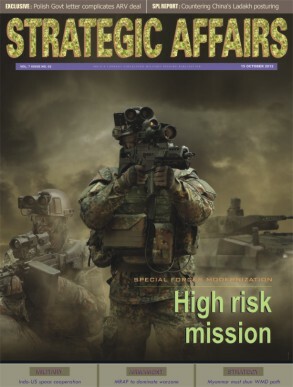 JULY-AUGUST 2015: Situational awareness based on the real time acquisition of information holds the key to getting a holistic view of the battlefield scenario. 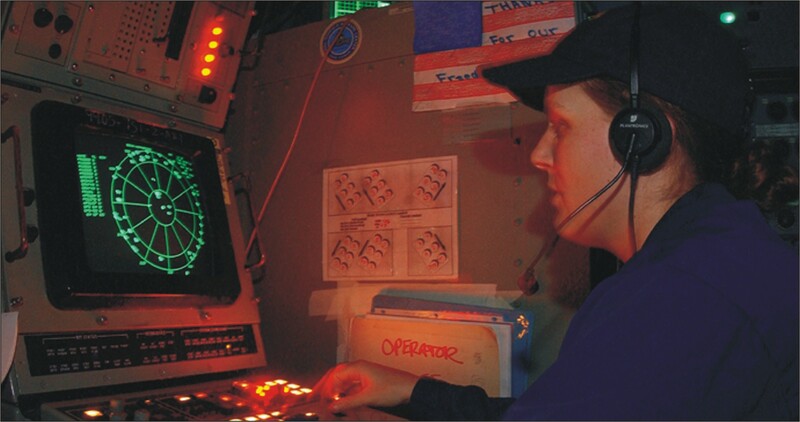 Indeed, the efficacy of a network centric warfare strategy is directly related to the information superiority achieved through the optimum use of sensors and radars deployed on a range of platforms. 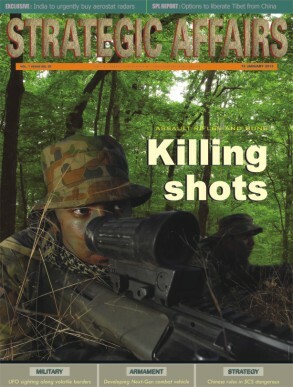 JULY-AUGUST 2015: As modern battlefields get more and more complex, lethal, diverse and multidimensional, the fighting infantry soldiers need to be armed accordingly to face the challenge of operating across the entire spectrum of conflict. 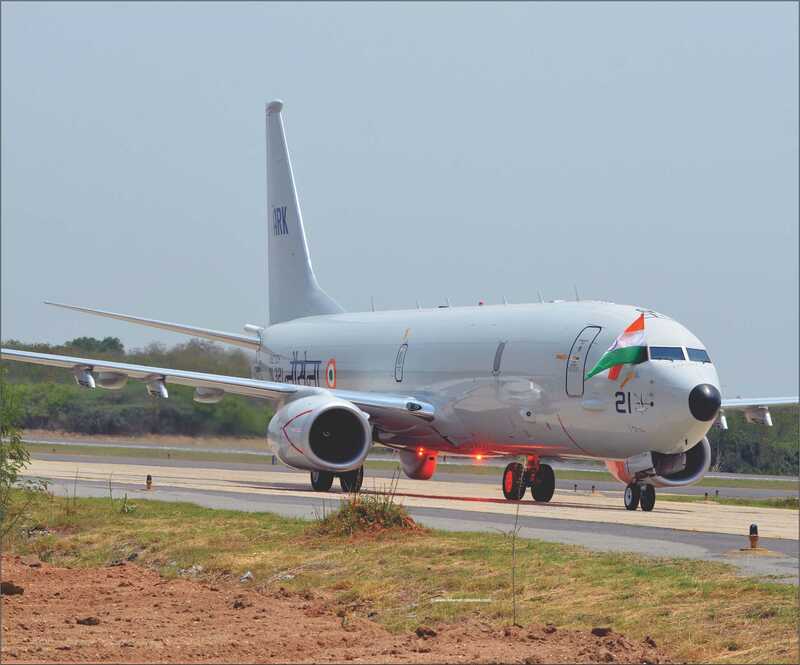 MAY-JUNE 2015: There is evidence of a heartening improvement in maritime surveillance as seen in the pre-emptive interception of suspected Pakistani surface vessels to penetrate Indian territorial waters or indulge in criminal activity on the high seas. 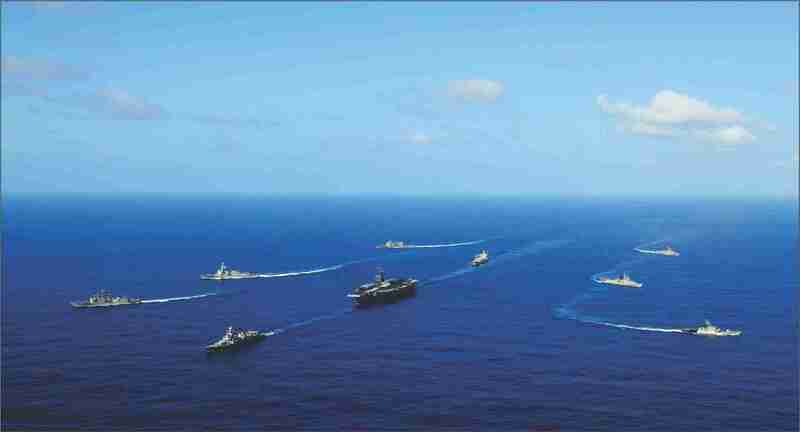 But true Indian maritime security lies in a capability to be able to find, track and, if necessary, attack and destroy inimical elements on the high seas and closer inshore in the 200 nautical mile Exclusive Economic Zone and the 20-nm contiguous sea. 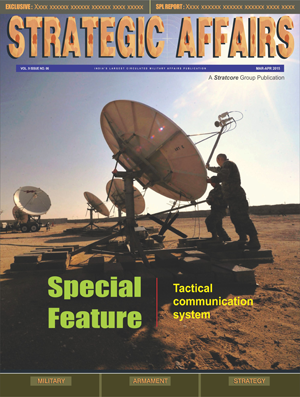 MAR-APRIL 2015: Indian defence forces, as part of the strategy to boost operational efficiency and combat fitness at all levels, are looking at acquiring state of the art communications systems that are secure, robust and reliable. 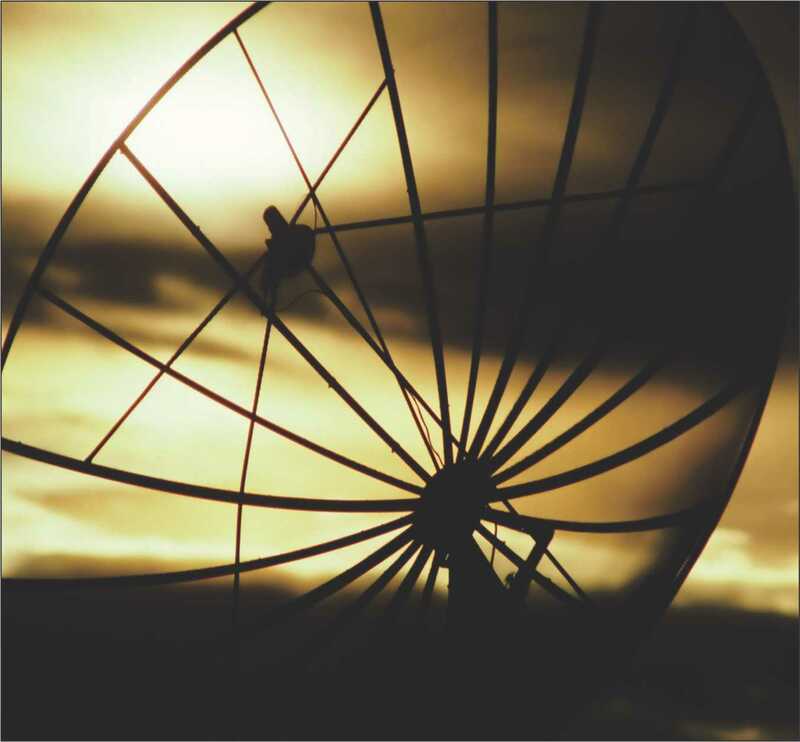 In fact, the massive intelligence failure suffered by the Indian defence forces during and before the 1999 short lived Kargil conflict with Pakistan did bring home the paramount importance of a robust and versatile communications system to stay at the winning edge of the war. 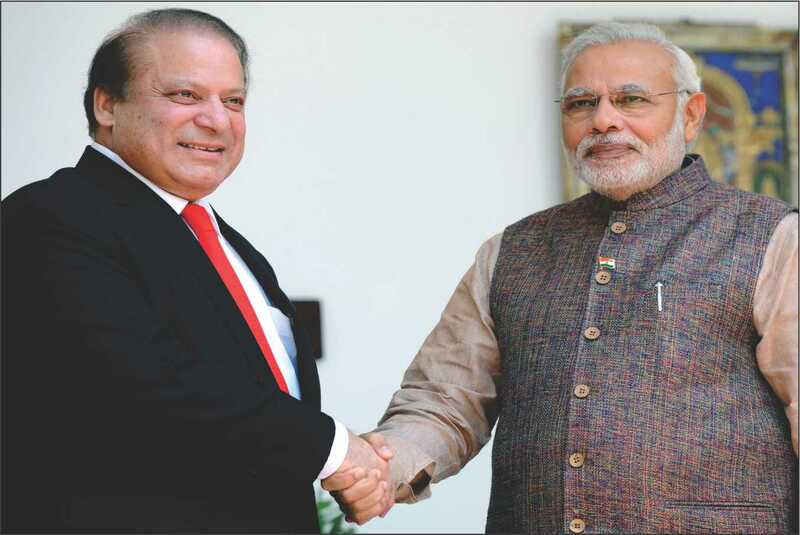 MAR-APRIL 2015: Recent events are pointing to an accelerated Pakistani intent to gain ingress into Indian territorial waters and offshore and harbour installations by clandestine means. 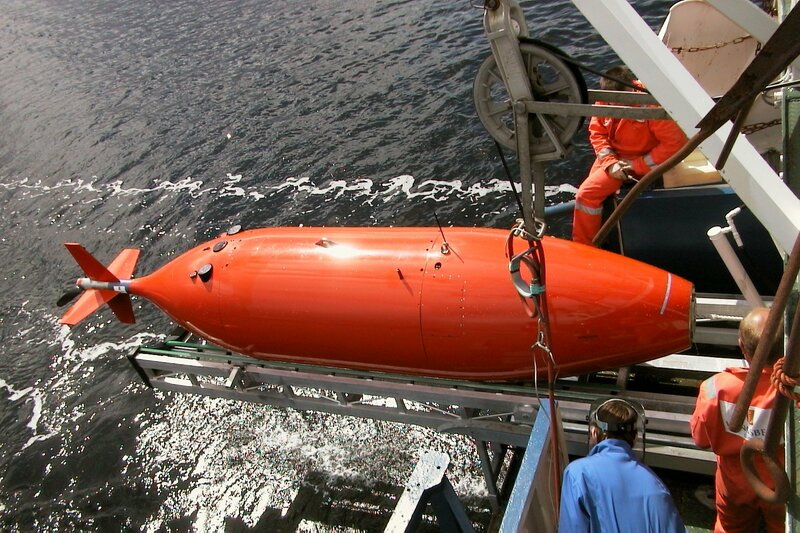 India will have to correspondingly speed up its efforts to acquire unmanned underwater remotely operated vehicles to handle sabotage and deep submergence rescue vessels (DSRV) to deal with maritime disasters especially involving submarines. 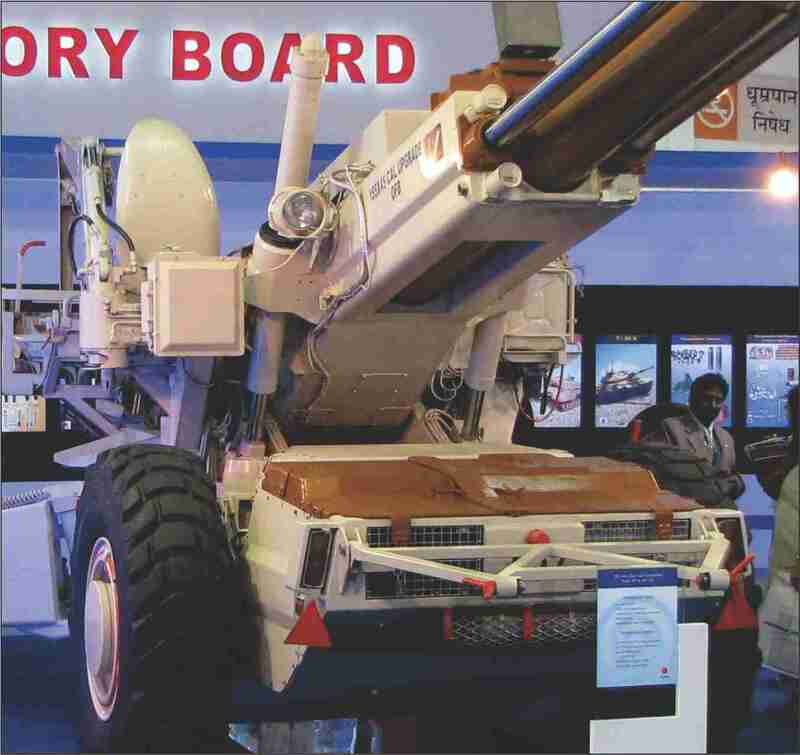 MAR-APRIL 2015: After about 28 years of misbegotten abstention in acquisition of new artillery guns for the Indian Army there is a glimmer of hope that an indigenous Bofors gun could emerge from a dusty drawer in the Gun Carriage Factory in Jabalpur, Madhya Pradesh. 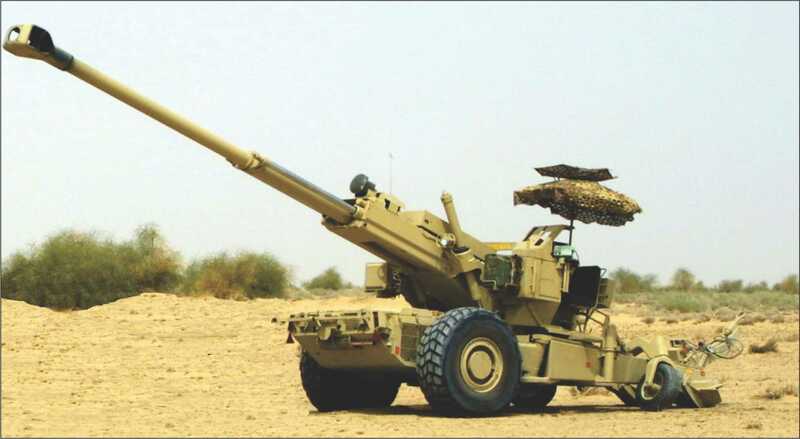 JAN FEB 2015: The Indian armored regiments modernization is not as pathetic as the Indian artillery regiments, which has not seen the induction of single Howitzer gun since 1988. 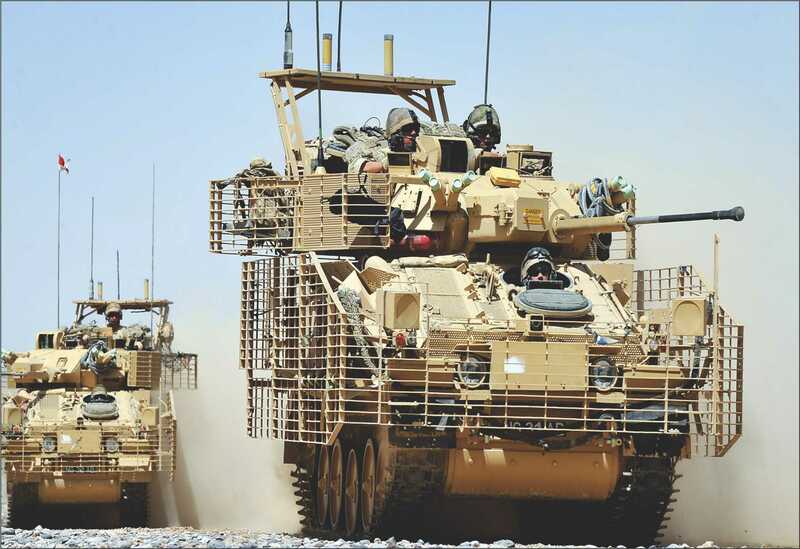 However, the modernization program of the armored regiments cannot be said to be satisfactory. 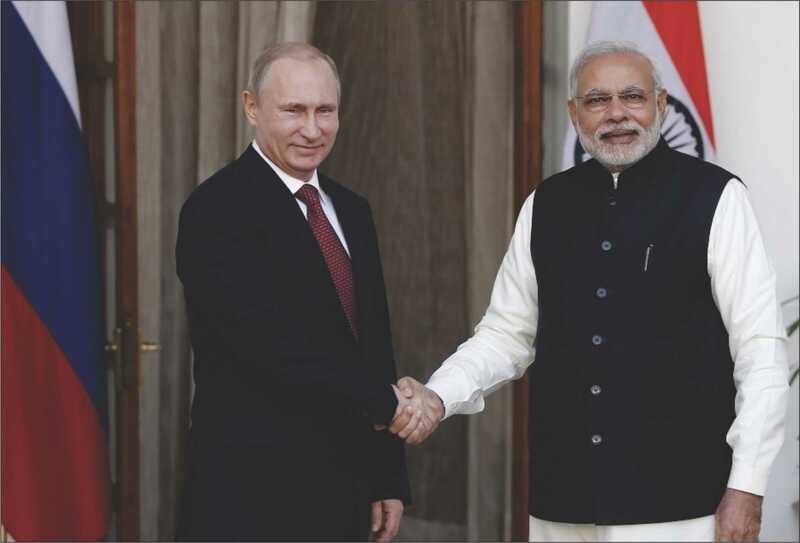 JAN-FEB 2015: India and Russia are once again set to further deepen their defence nuclear technology cooperation. The issue of acquiring second Akula class nuclear submarine on lease from Russia was extensively discussed during the visit of Russian defence minister Sergei Shoigu in the third week of January this year. 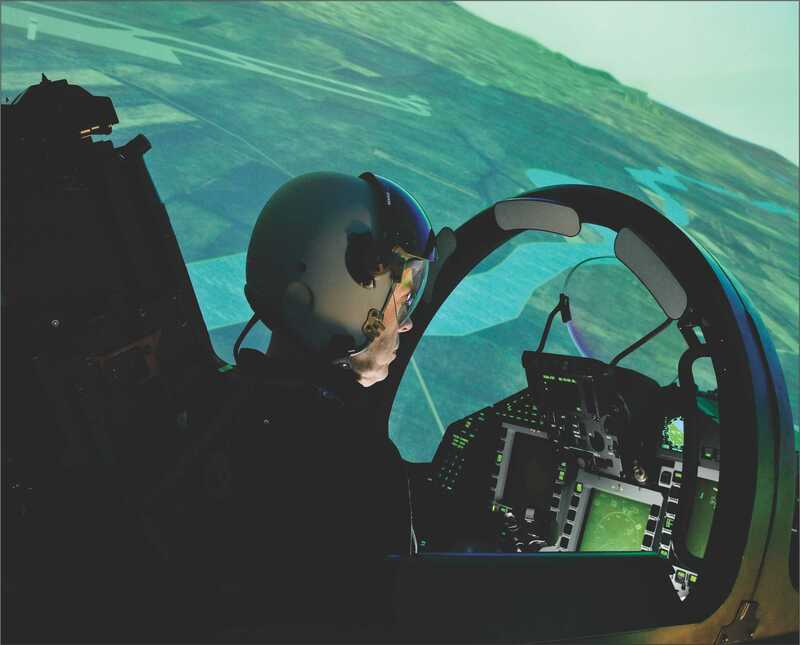 DECEMBER 2014: For India it took decades of trial and error and competence building on manned target training aircraft to transit to pilotless target trainers to unmanned aerial vehicles. 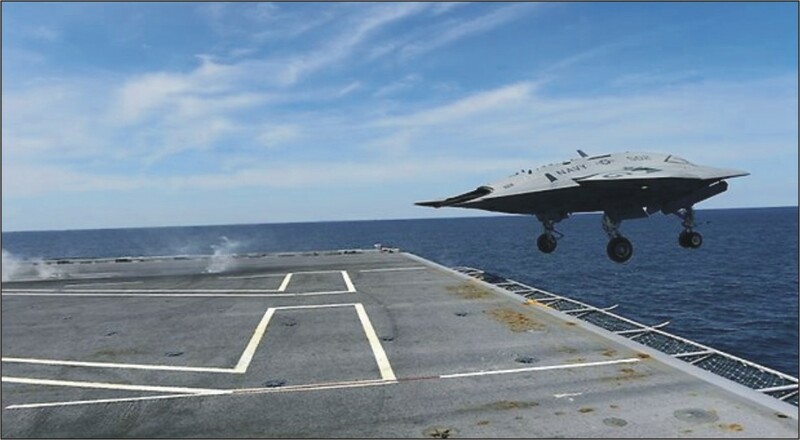 And now India is preparing to deploy indigenous unmanned combat vehicles that will largely close the gap that exists between the country and the leaders in the technology. 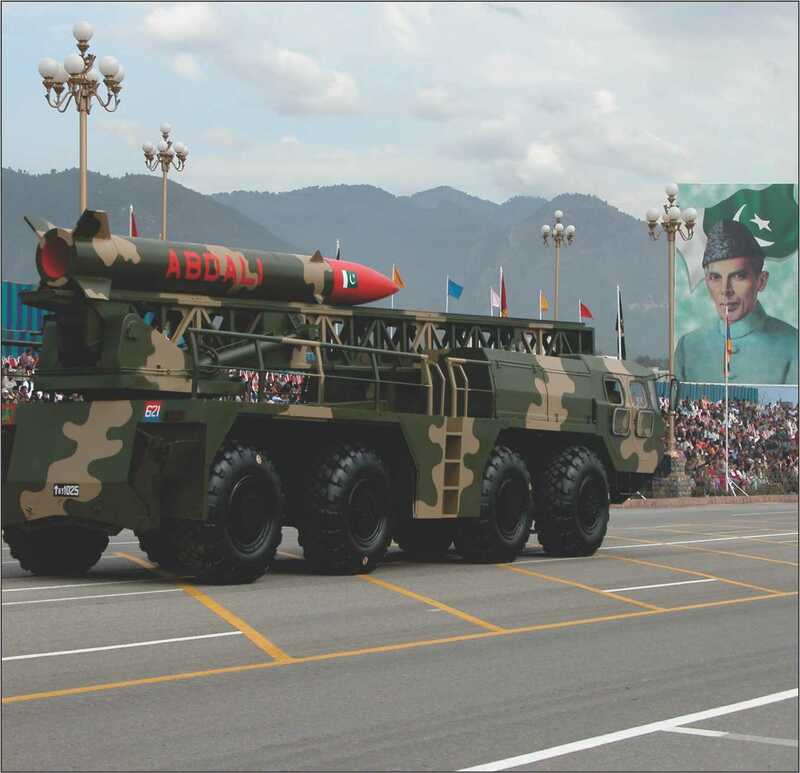 NOVEMBER 2014: The regional arms race has brought potent warfare capabilities to many countries that are now eager to either indigenously manufacture or import hi tech and advance military weapons for securing their national interest. 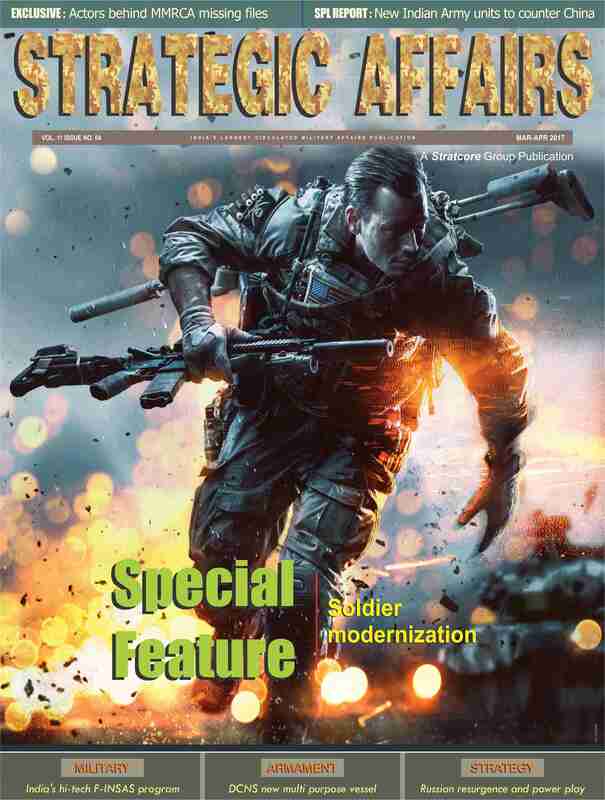 OCTOBER 2014: The modern battlefield is all about taking risk at a crucial time as the war zone is saturated with mines and high intensity explosives that can spring surprises for armored columns in the midst of a high value operation to secure foot on the ground. 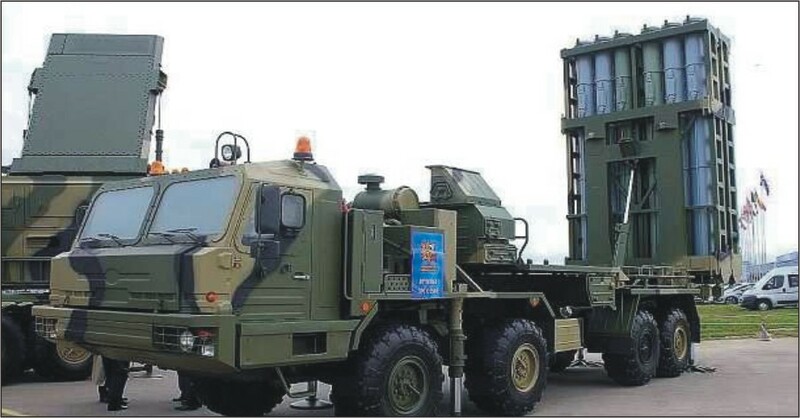 OCTOBER 2014: India became enamored of the precision guided munitions during the Kargil war when the conventional air-delivered warheads in its arsenal were unable to hit Pakistani targets ensconced among the craggy hills of the Pir Panjal range in Jammu and Kashmir. 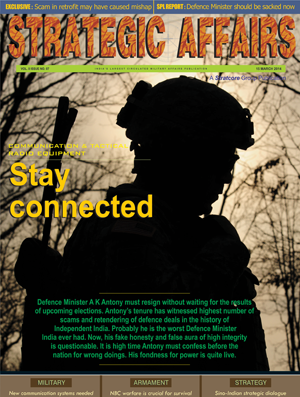 SEPTEMBER 2014: As Indian troops are deployed in forward bases along borders with China and Pakistan, a robust military communication is critical component for ensuring fast and secure data transmission back to their respective commands. 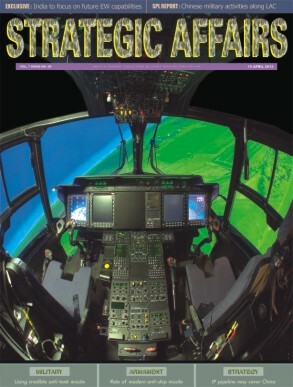 SEPTEMBER 2014: No doubt, the kill capability of modern military has grown tremendously in recent years due to the advent of latest technologies, yet it is proving to be a hide and seek game since the enemy is also going to put a cocktail of modern technologies with superior war strategy to avoid detection. 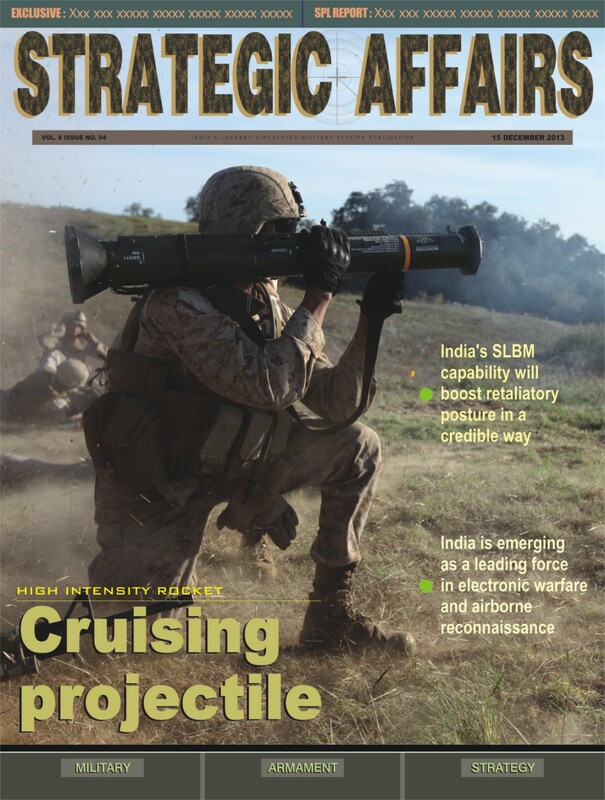 SEPTEMBER 2014: Well before the government came out with enhanced FDI policy of 49 percent limit for multinational companies in defence sector, some of the leading Indian private defence players had formed alliances with the foreign partners to take part in India’s US$ 4 billion artillery modernization program. 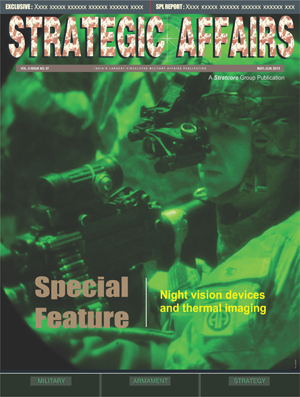 AUGUST 2014: The capability to detect and identify targets at night and under poor visibility conditions has been an essential military requirement for a long time. 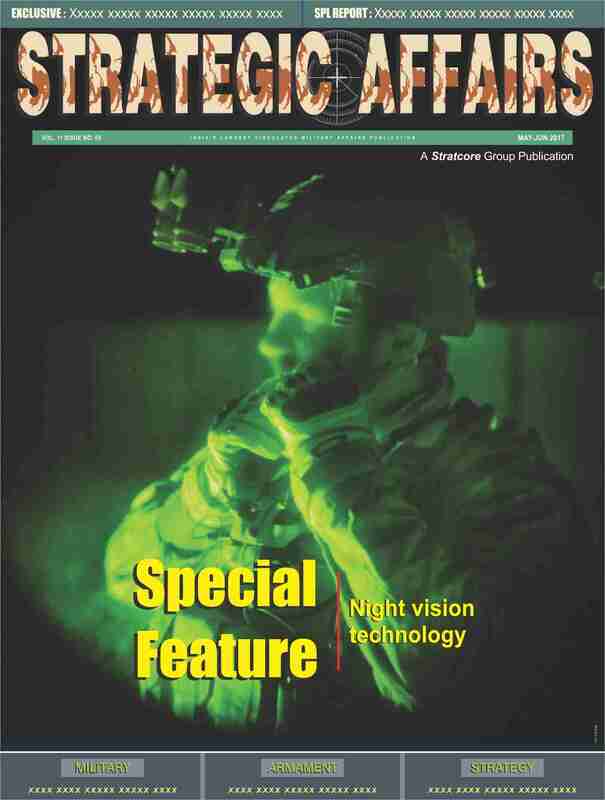 The modern armys need to operate at night and under conditions of extremely poor visibility has led in recent years to major advances in the development of night vision devices. 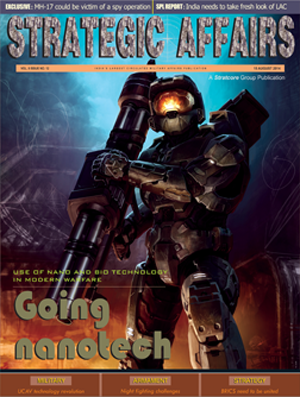 AUGUST 2014: With the advent of nanotechnology in military warfare, it is no more a dream or a just science fiction where aliens invade Earth and return without getting injured despite heavy exchange of ground fire from best equipped soldiers having ultra decimated guns at their hands. 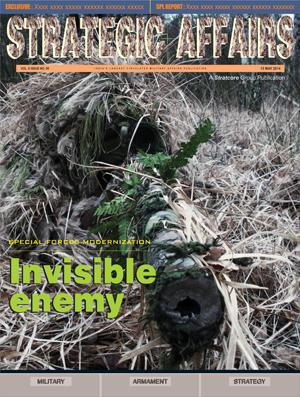 JULY 2014: Difficult terrain in the early years of warfare (World War I and World War II) was that landscape that was serrated with trenches and cratered by the fall of heavy ball-type artillery which tended to obstruct passage of motor vehicles and towed and self-propelled guns thereby obstructing the momentum of the battlefield charge. 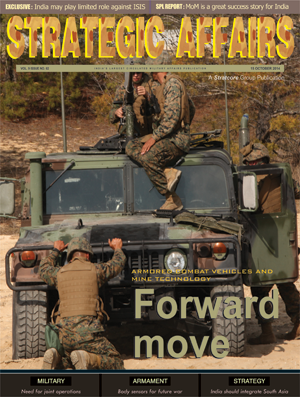 JULY 2014: NCW provides a level of situational awareness that allows the military to be more flexible, which increases mission effectiveness. However, it is clear that NCW is not by any means without flaws. 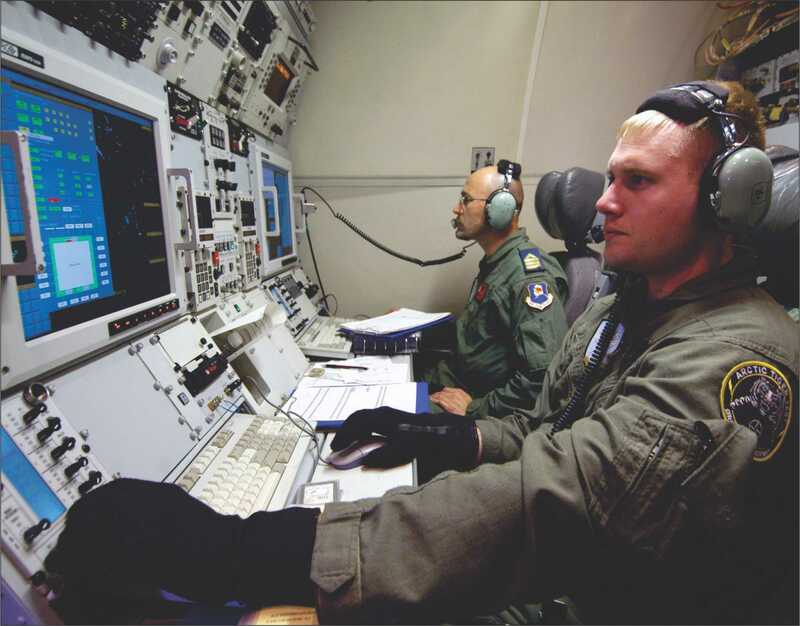 A heavy reliance on technology is problematic, as it cannot be ruled out that technology may fail, may not be available at the time, or may be targeted by an enemy to reduce war-fighting capability. 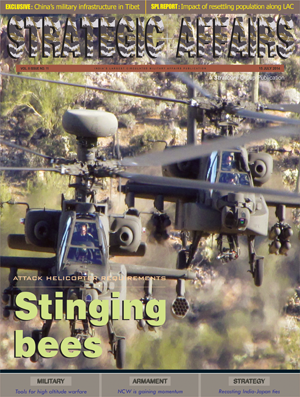 JUNE 2014: In the age of ballistic missiles and supersonic fighters, the deployment of advance air intrusion warning systems have acquired greater relevance. 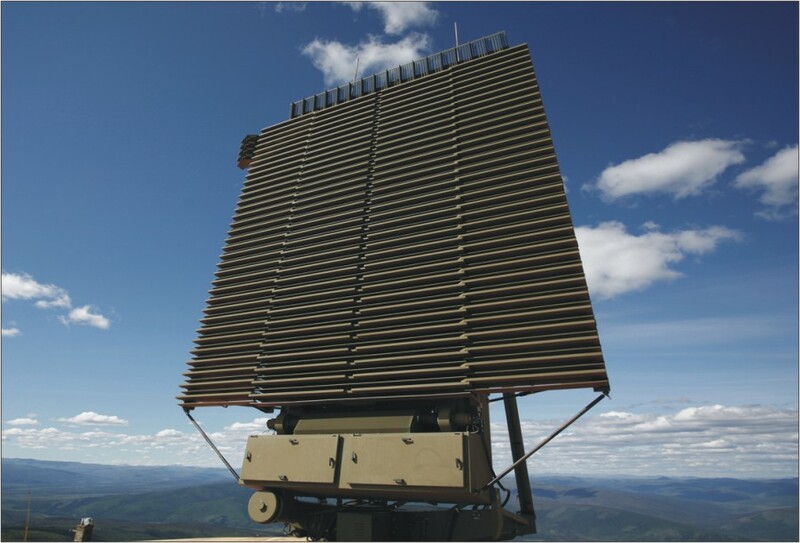 Indian defence establishment is working on a plan to modernize country’s radar network to make its air space impregnable. But this is much behind the schedule. 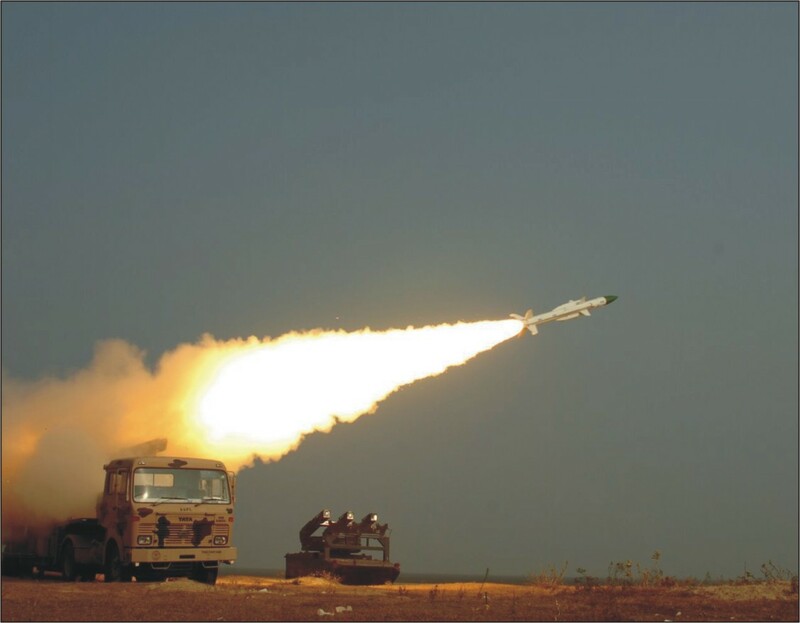 JUNE 2014: The then Chief of Army Staff General V K Singh had warned almost three years ago that Indian Army’s air defence system has become obsolete. This was a startling admission coming from the Chief of Army Staff, who is generally not supposed to reveal such shortcomings openly on such sensitive issues relating to the actual position of the existing armaments. 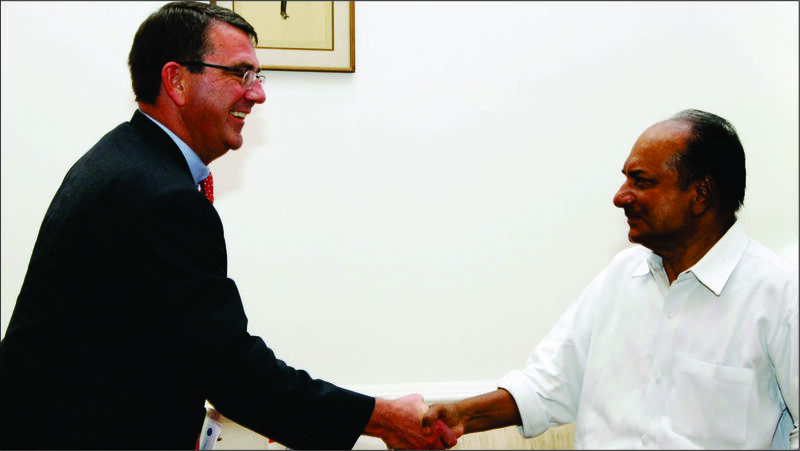 JUNE 2014: Since Indias geopolitical interests are growing in the Indian Ocean region, an official estimate of just one aspect of military satellite requirement-for the Indian Navy in its Indian Ocean Region assignment-was placed at between 80 and 100 by Director General of Defence Research and Development Organisation (DRDO) Dr Avinash Chander not very long ago. 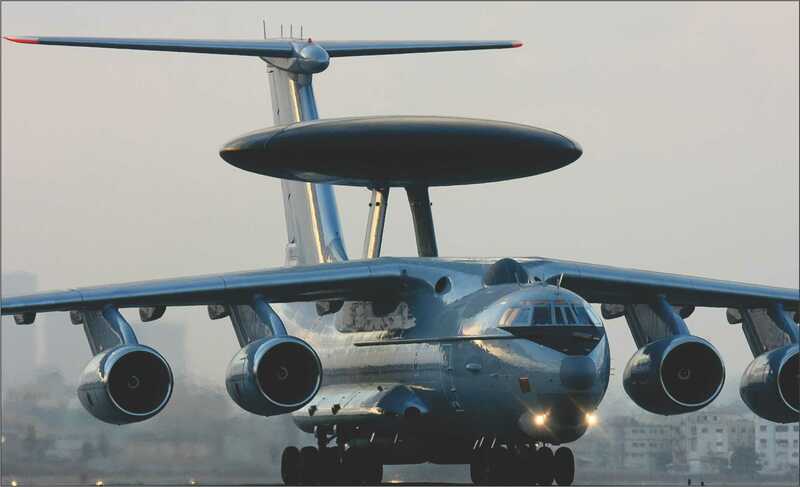 JUNE 2014: Going by the speed of the induction one would never believe that Airborne Early Warning and Command Systems (AEW&CS) aircraft are a vital part of India’s air defence network. Because India was not getting them fast enough and in sufficient numbers it had to take resort to importing static aerostats that would plug the gaps in radar coverage of the Indian sub-continental periphery. 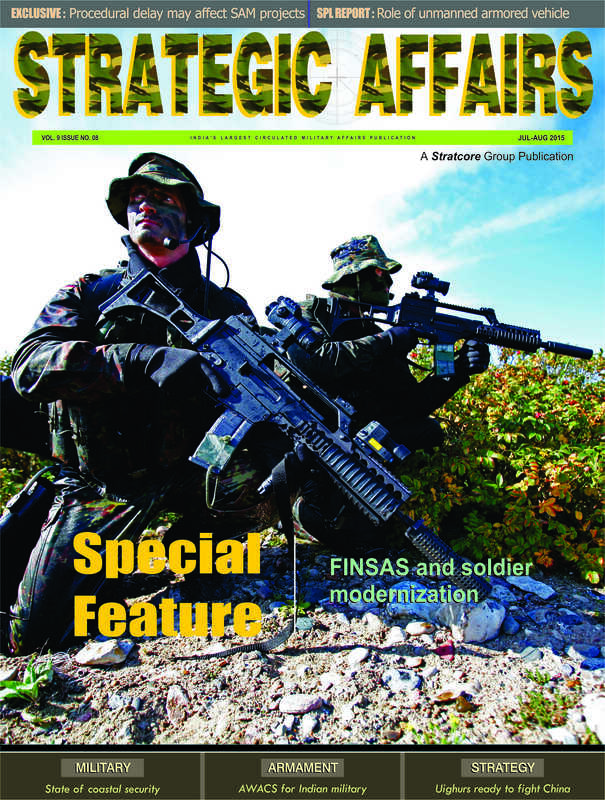 MAY 2014: To end the multiplicity of types of equipment with the many Special Forces that exist in India today, the only way, it appears that this can be done is by creating the Special Forces Command that has been suggested some time ago. 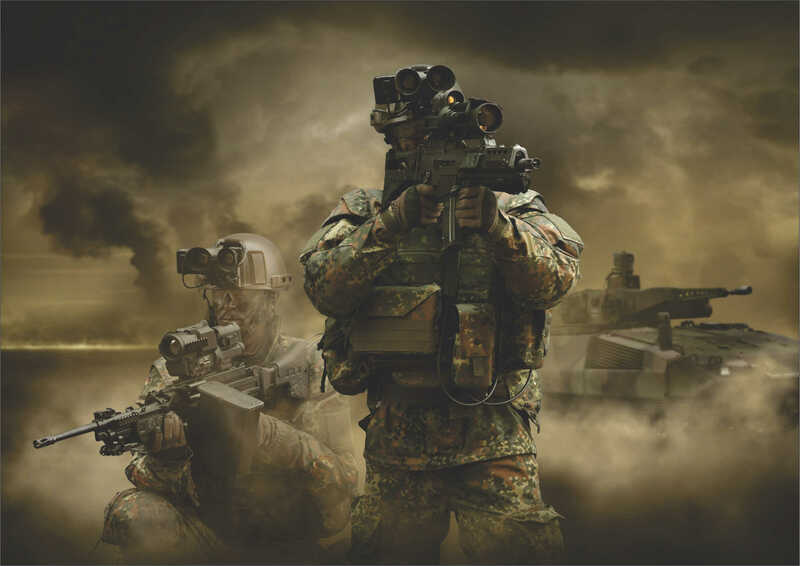 APRIL 2014: After the pilotless aircrafts, combat drones and the satellite monitored net centric warfare, the laser technology will dramatically change the way the soldiers of two rival nations fight. 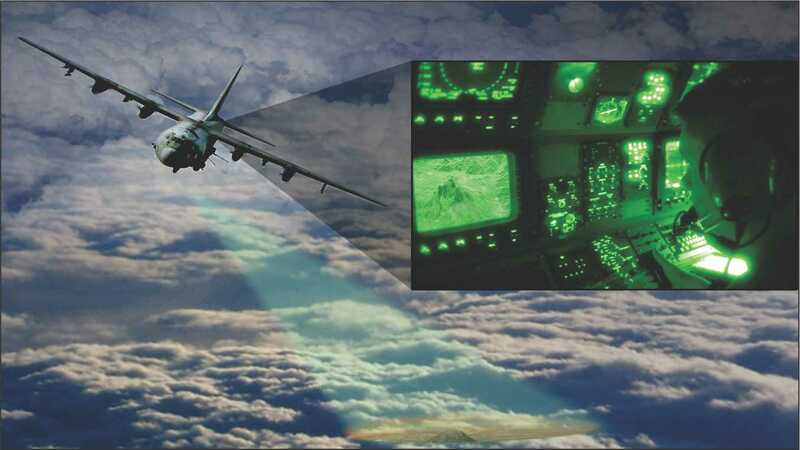 APRIL 2014: After the laser dazzler that can disorient an enemy fighter pilot or disrupt the guidance system of airborne missiles emerged from the Defence Research and Development Organisation laboratories other uses for the technology have been contemplated. 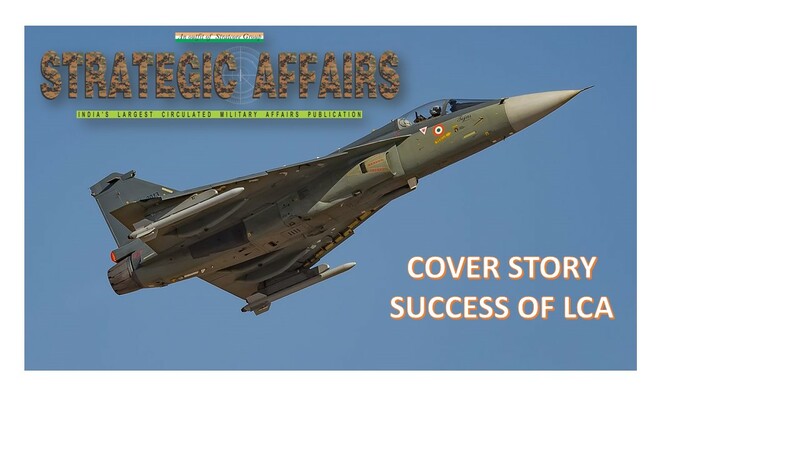 MARCH 2014: In so far as the acquisition of state of the art and well equipped communication systems is concerned, the Indian Army appears to be a laggard in comparison to the two other services. 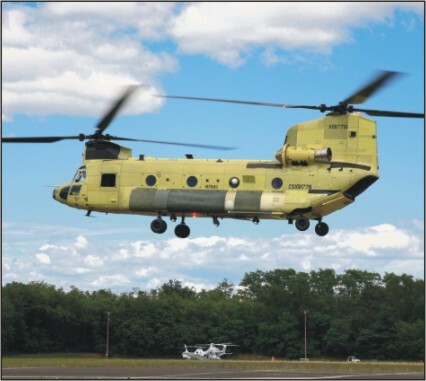 JANUARY 2014: Sikorsky Innovations, the technology development organization of Sikorsky Aircraft Corp has won a contract for Phase 1 of the Vertical Take-Off and Landing Experimental Aircraft (VTOL X-Plane) program by the US Defense Advanced Research Projects Agency (DARPA). 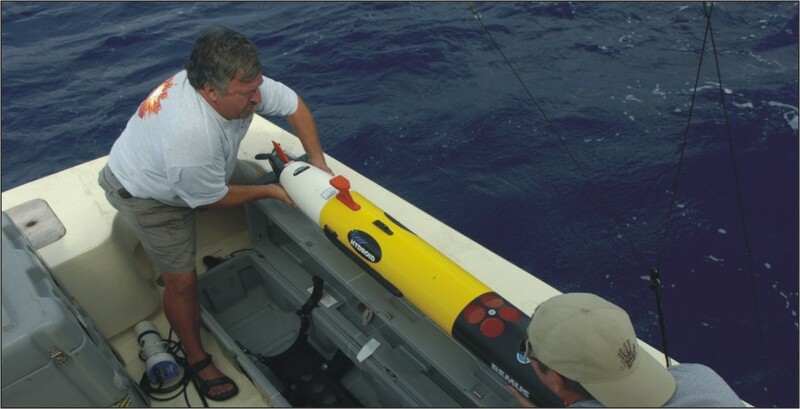 JANUARY 2014: The US Naval Research Laboratory (NRL) with funding from SwampWorks at the Office of Naval Research (ONR) and the Department of Defense Rapid Reaction Technology Office (DoD/RRTO) recently demonstrated the launch of an all-electric, fuel cell-powered, unmanned aerial system (UAS) from a submerged submarine. 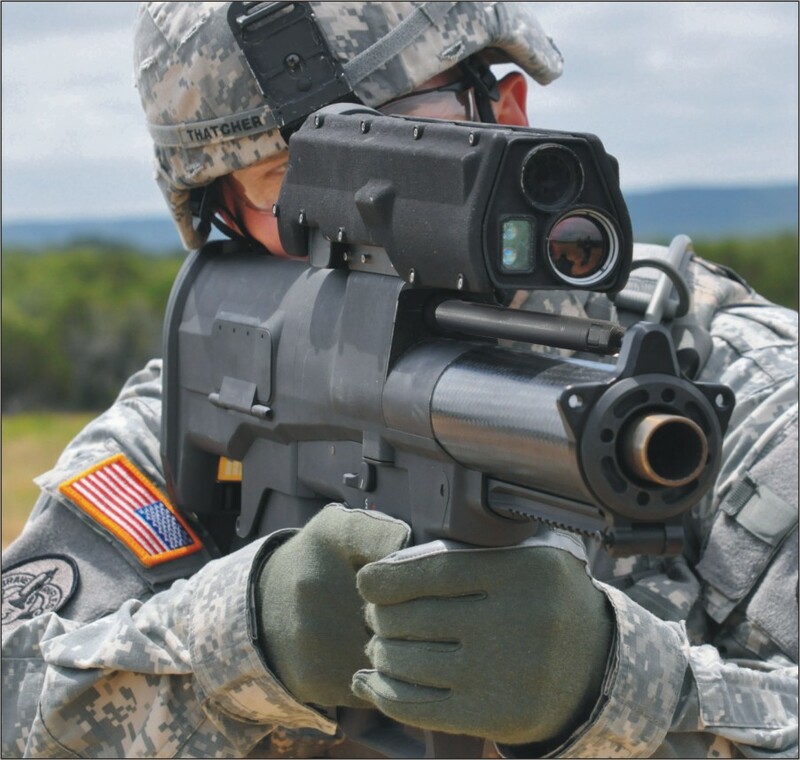 JANUARY 2014: The US Army has for the first time successfully tested a vehicle-mounted laser that managed to shoot down incoming mortar rounds and drone aircraft. 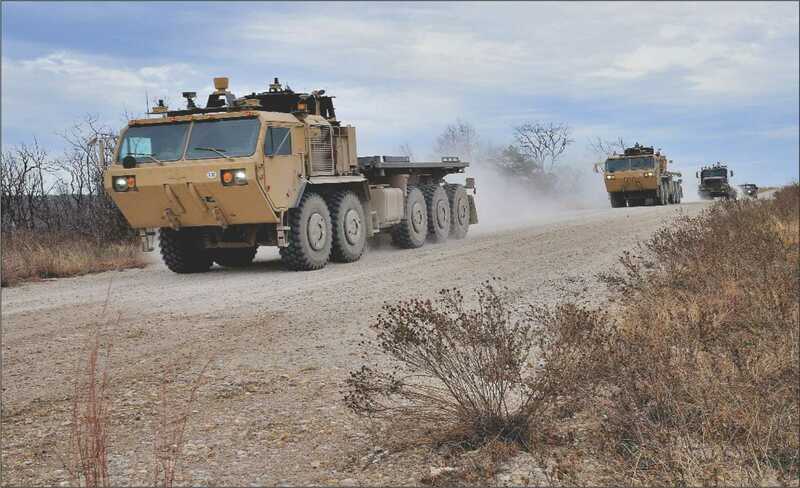 Installed in a dome-shaped turret atop a military vehicle, the high-energy laser hit more than 90 mortar bombs and several small unmanned planes over a six-week test at White Sands Missile Range in New Mexico. 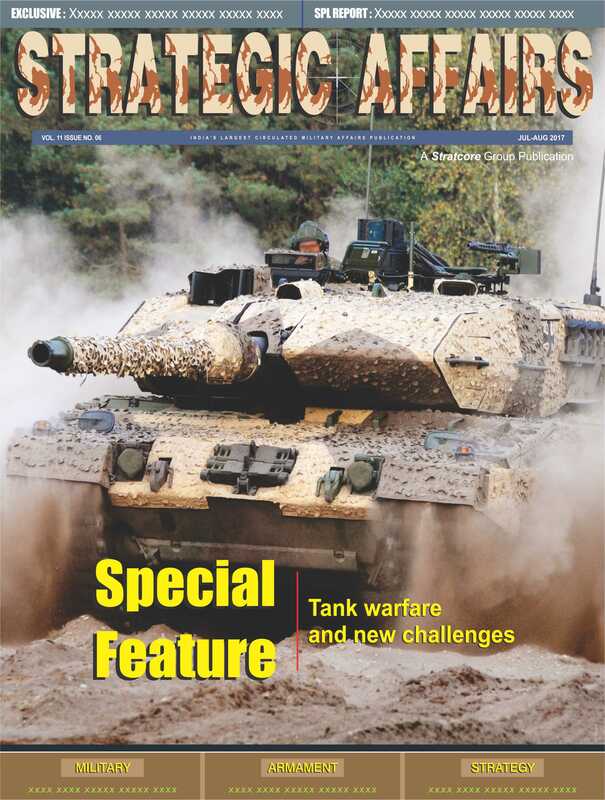 JANUARY 2014: It could be said that the modernization of the Indian Army’s Armored Corps is progressing by fits and starts while the Mechanized Infantry is in the throes of formulating the basic parameters of its Future Main Battle Tank and Future Infantry Combat Vehicle to be inducted in the second quarter of the 21st century. 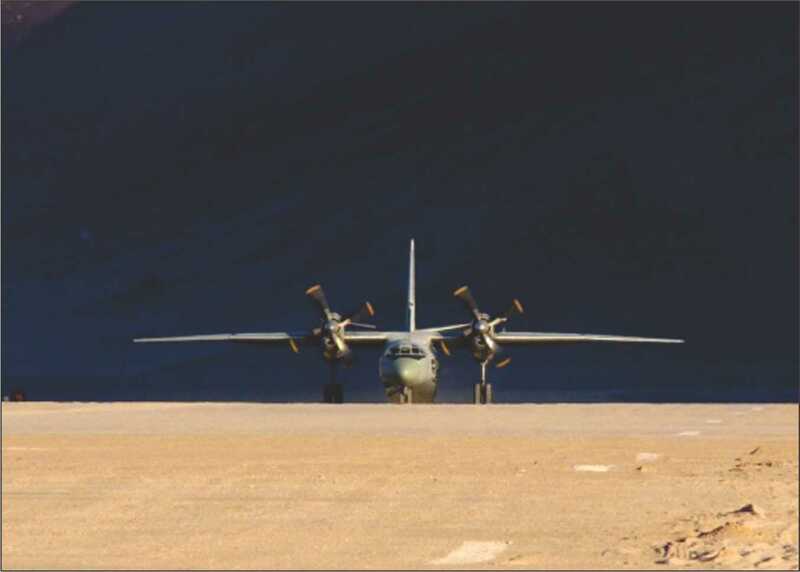 JANUARY 2014: The Indian Army of over 1.1 million soldiers operating in variety of terrain, from high altitude jungles to snowy mountains of Ladakh and Kashmir and plains of Punjab to the hot deserts of Rajasthan is extremely poorly equipped in terms of its aviation equipments. 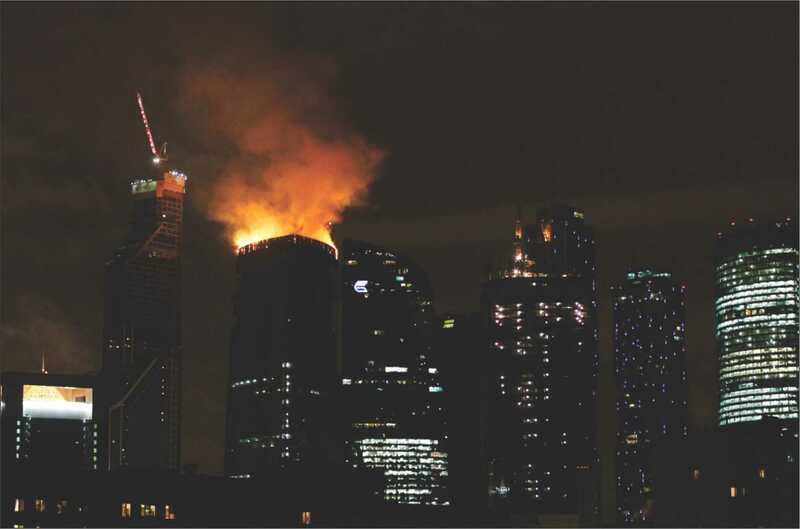 DECEMBER 2013: Extinguishing fires in skyscrapers poses a tough challenge to fire departments worldwide and such fires usually cause casualties. 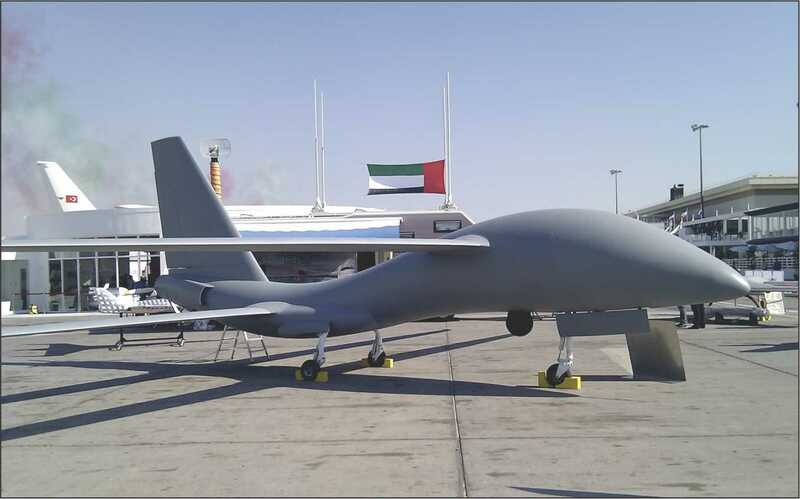 DECEMBER 2013: Russia’s armed forces will conduct test flights of a drone aircraft from the United Arab Emirates early next year. 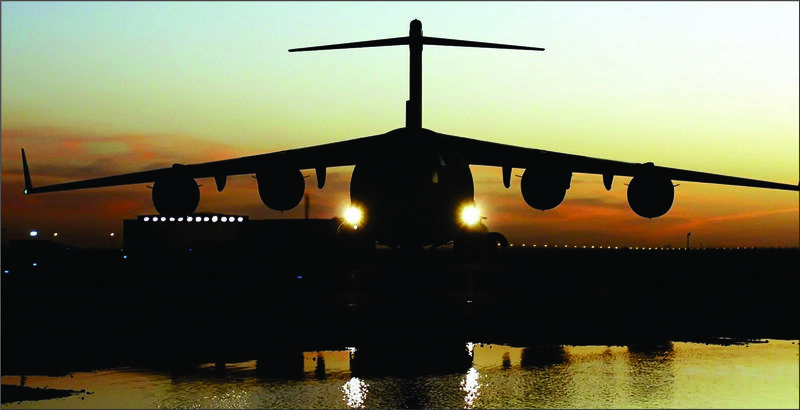 NOVEMBER 2013: Though the revived post cold war India-US defence relations are only a decade old and hence a comparatively new entrant in Indian defence market, the track record of US arms companies vis a vis India can be said to be excellent and future very bright. 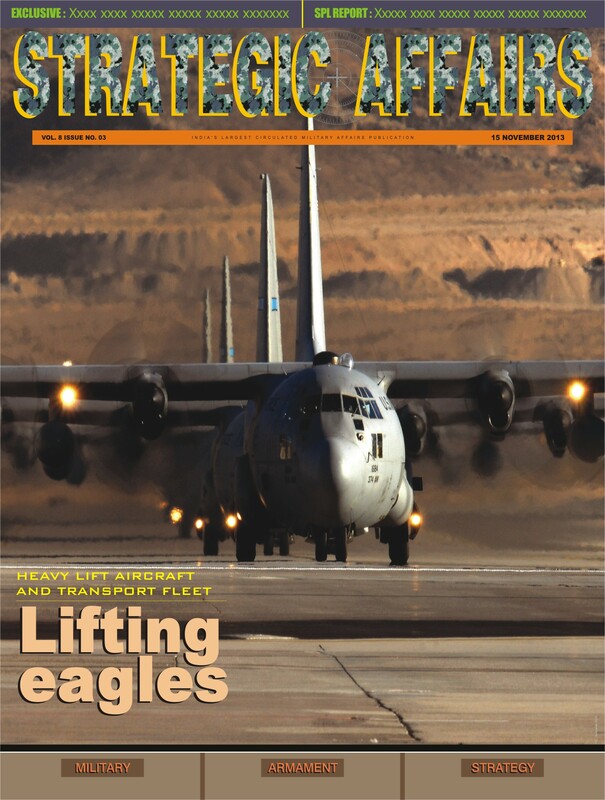 NOVEMBER 2013: With China showcasing early this year two prototypes of heavy lift intercontinental range transport aircraft Y-20 alleged to be a copy of the C-17 Globemaster model, though little smaller and also working on 500 kms speed Blue Whale tilt rotor helicopter with a payload of 30 tons Indian air force seems to be years behind the strategic airlift capability of the Chinese PLAAF. 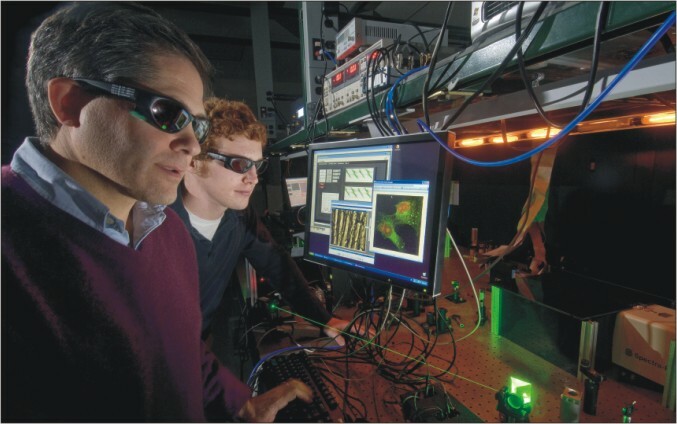 NOVEMBER 2013: Laser technology has been one of most fascinating discoveries of the 20th century. 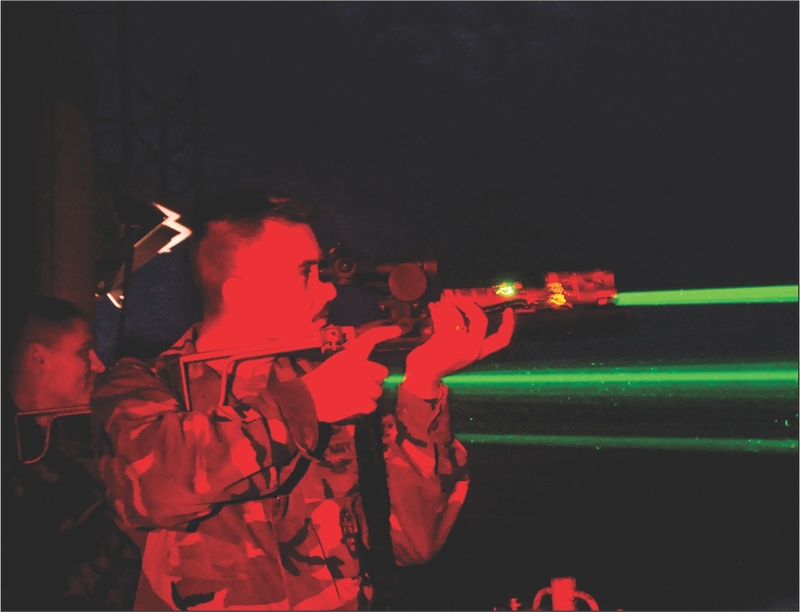 The laser device is unique in many ways, the most striking aspect being its extraordinary brightness. 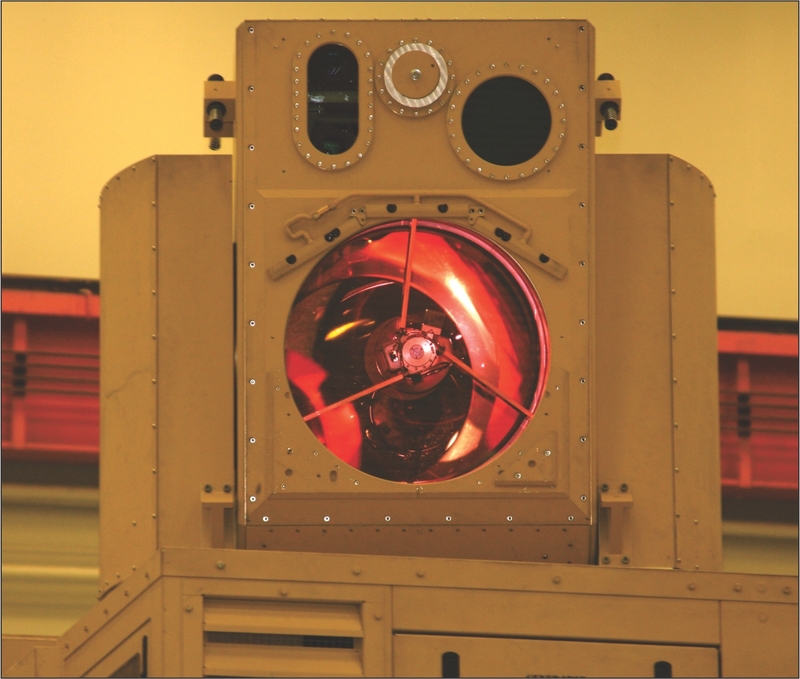 A host of countries have focused on research and development (R&D) in developing directed energy weapons (DEWs) through primarily laser-based weapons and delivery systems. DEWs in fact are the answer to today’s nuclear weapons and their delivery systems. 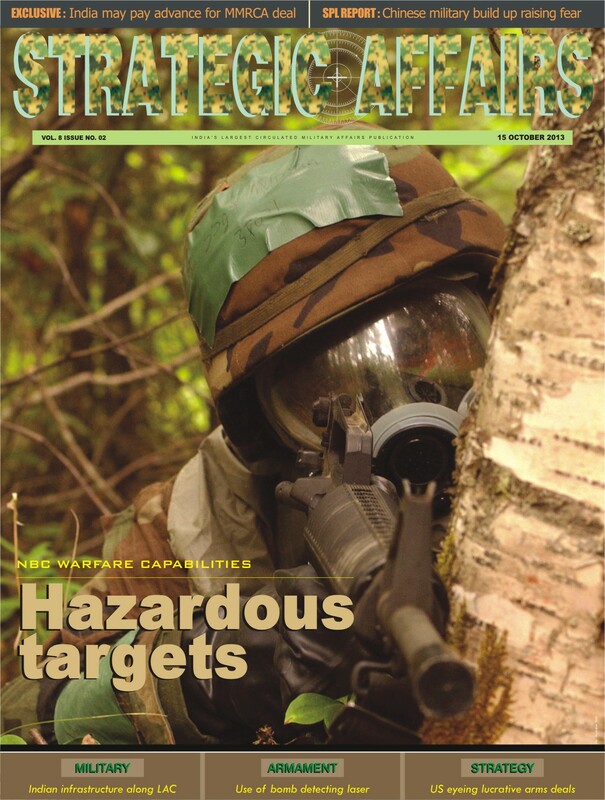 NOVEMBER 2013: As new technologies emerge and new cyber and electronic warfare threats plague Soldiers in the field, US Army scientists and engineers continue to define next-generation protocols and system architectures to help develop technology capabilities to combat these threats in an integrated and expedited fashion. 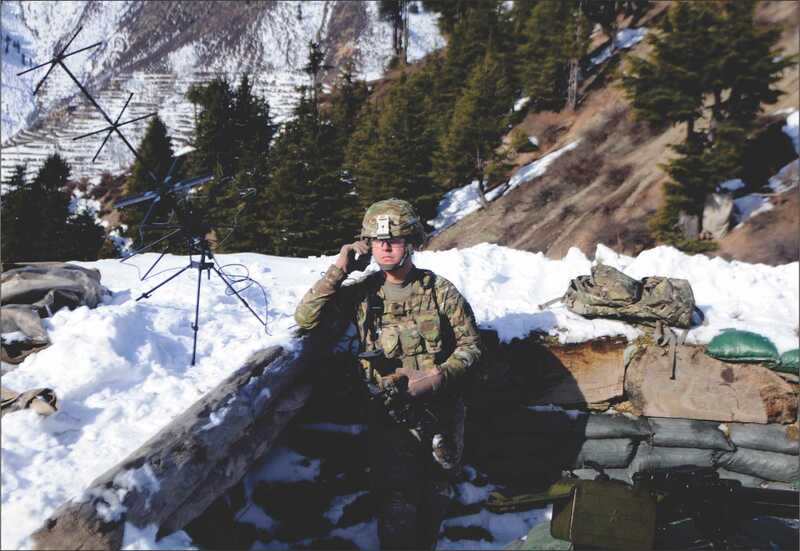 NOVEMBER 2013: Wherever soldiers go, shelters must go, too. These shelter systems must not only protect and provide comfort; they must also be as energy efficient as possible. 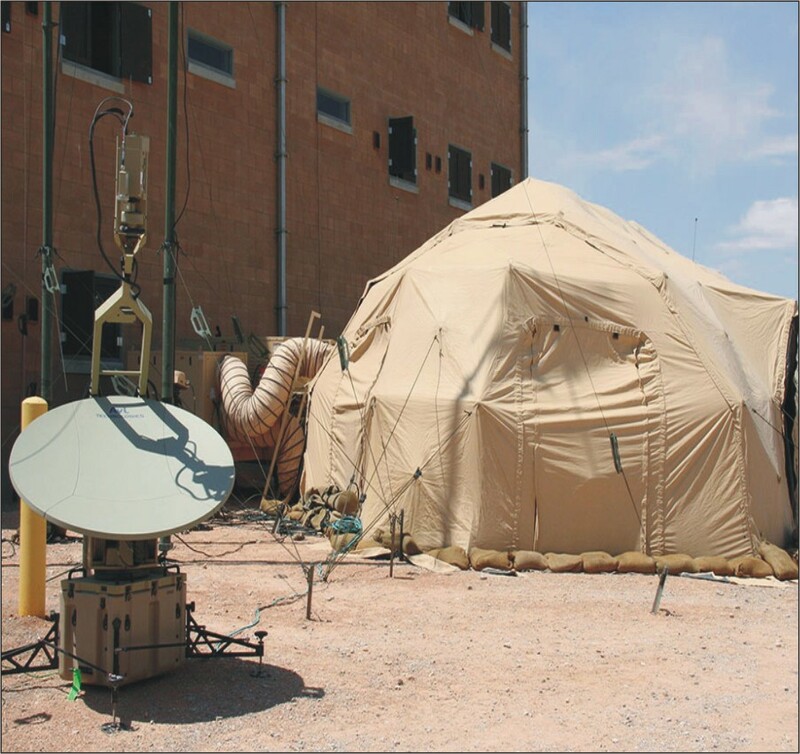 Every time a base camp needs fuel delivered, that camp and its warfighters are exposed to vulnerabilities. 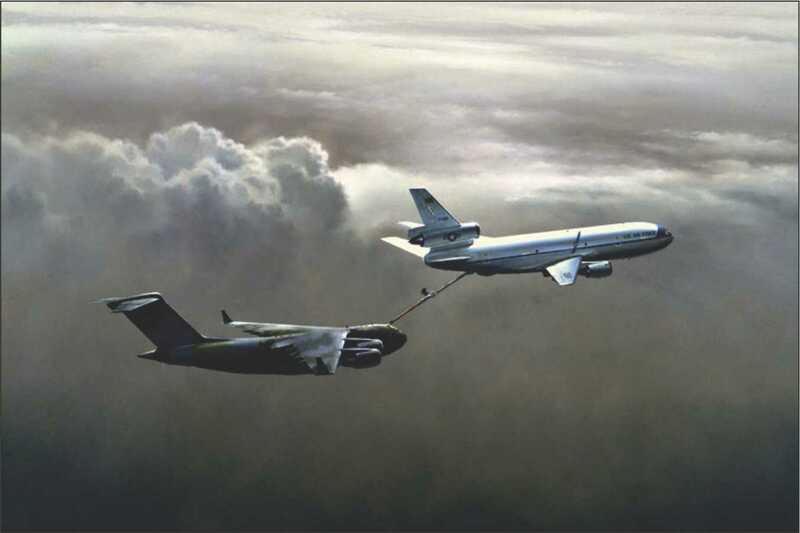 NOVEMBER 2013: Boeing and Lockheed Martin have teamed up to bid for a new $55 billion US Air Force bomber program aimed at replacing the aging bomber fleet. Boeing is acting as the prime contractor, and Lockheed is the main teammate in the bid to supply the Air Force’s Long-Range Strike Bomber program. 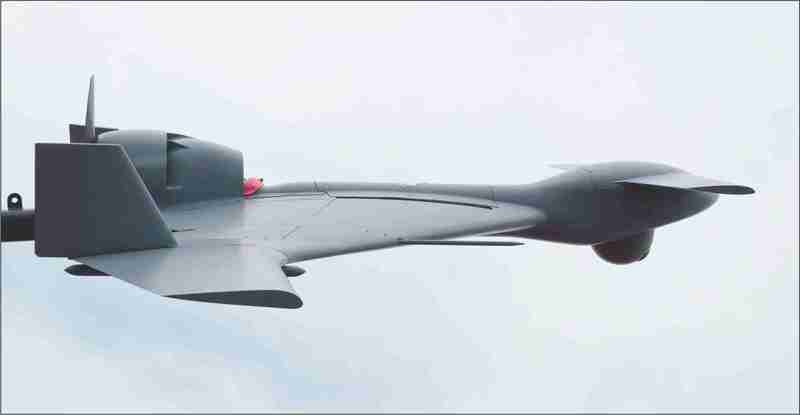 The program aims to build between 80 and 100 of the new, long-range stealthy bombers. 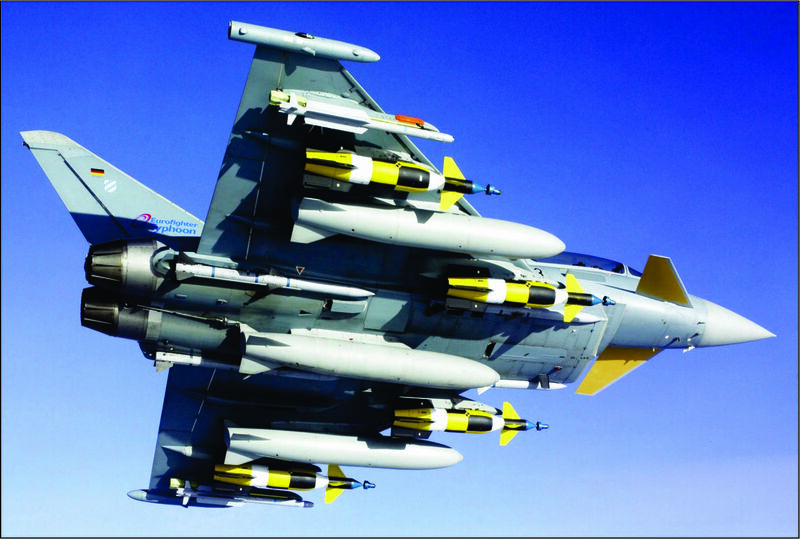 NOVEMBER 2013: Recently at an airshow a major new development contract which will pave the way for continuous capability enhancements of the Eurofighter Typhoon has been signed by Eurofighter Jagdflugzeug GmbH and the NATO Eurofighter and Tornado Management Agency (NETMA). 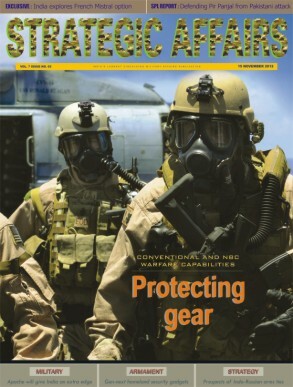 NOVEMBER 2013: In a time where we face potential conflicts in regions around the world, it is important that key protective equipment can be produced where and when it is required. 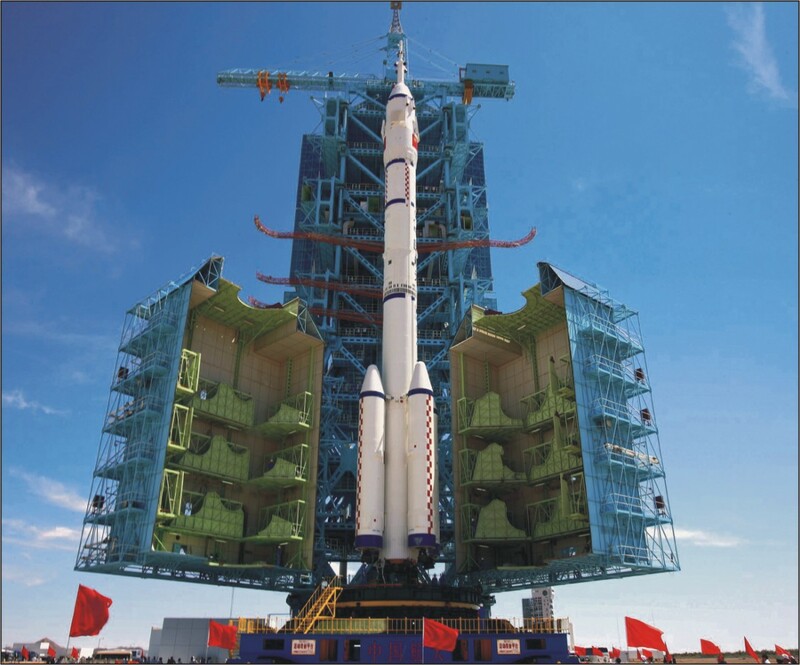 This means the industry needs cost-effective, high performance materials that can be quickly shipped, safely stored and deployed under a range of conditions. 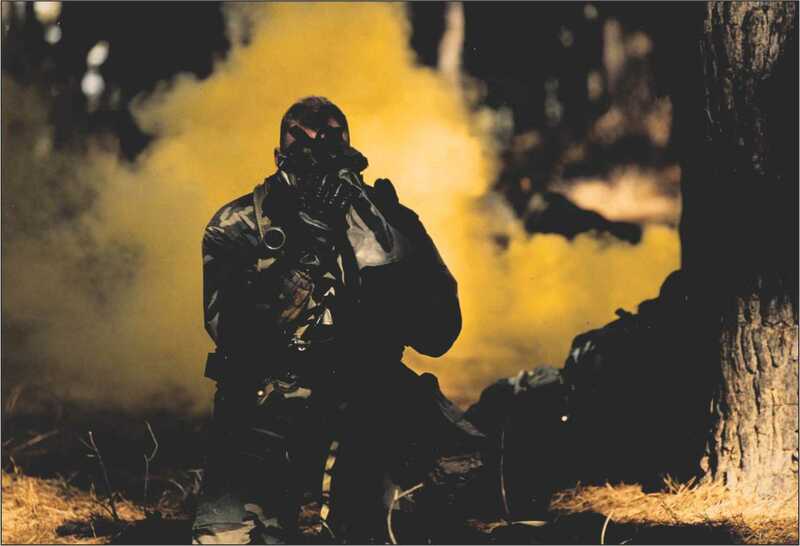 OCTOBER 2013: The Syrian Sarin gas attack (a whodunit still) has drawn attention to nuclear, biological and chemical weapons attacks by state and non-state actors. India has been extremely wary of the possession, proliferation, consequences of weapons of mass destruction in its neighborhood. 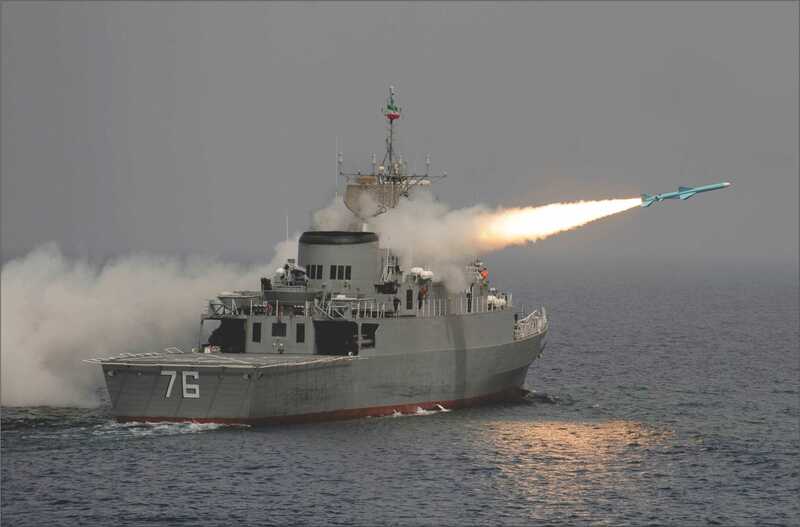 OCTOBER 2013: Raytheon Company and the US Navy recently demonstrated the Griffin missile’s combat proven capabilities in a maritime environment by successfully engaging fast-moving small boats from various platforms throughout a series of at-sea tests. 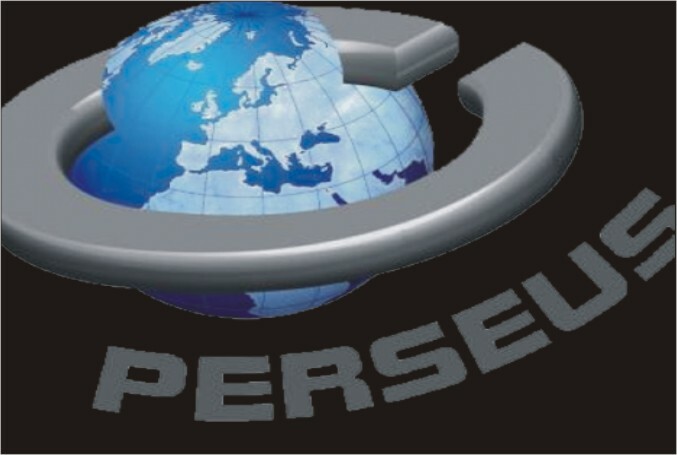 OCTOBER 2013: Recently Indra worked with the Civil Guard to launch the first test at sea of the Perseus (Protection of European BoRders and Seas through the IntElligent Use of Surveillance) R&D project. This initiative is led by the technological multinational and is aimed at developing new maritime surveillance capabilities for all of Europe. 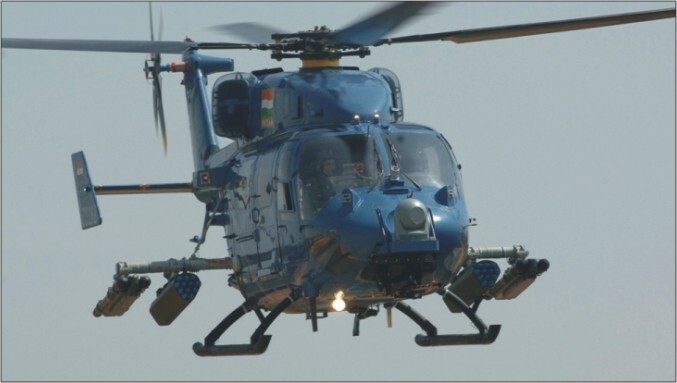 OCTOBER 2013: Saab has received two orders from Hindustan Aeronautic Limited (HAL) for serial production of an integrated electronic warfare self-protection system for installation on the Indian Army’s and Air force’s Advanced Light Helicopter. 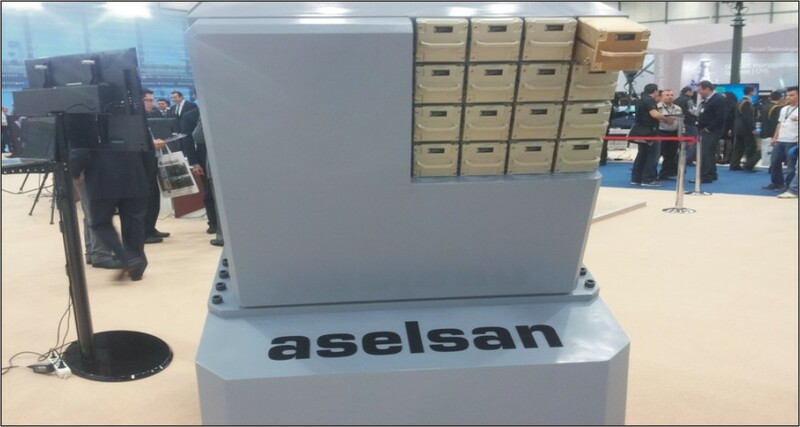 The orders have a total value of approximately SEK 216 million (USD 33 million). 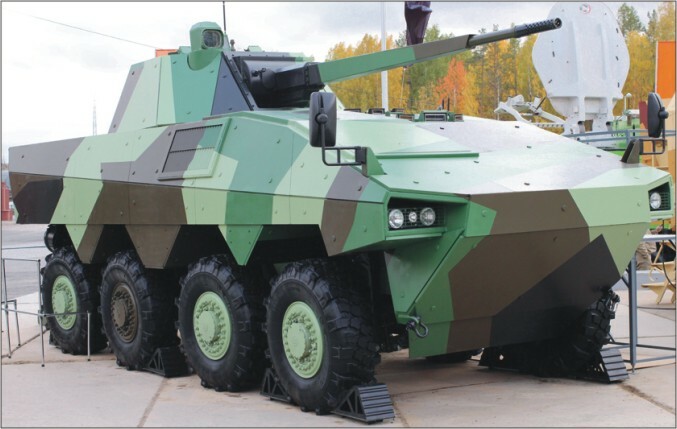 OCTOBER 2013: Ural Vagon Zavod and Renault Trucks Defense have combined their know-how to offer potential customers an infantry combat vehicle which was being presented for the first time at the Russian Expo Arms exhibit in Nijni Tagil. OCTOBER 2013: Recently the QF-16 full scale aerial target's inaugural unmanned flight occurred. 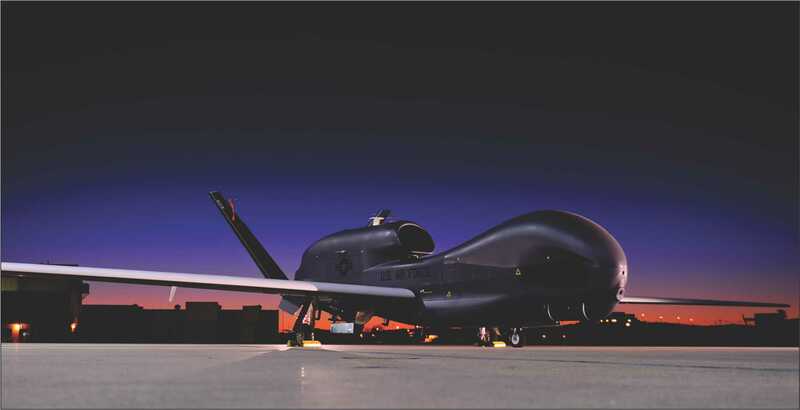 It is the first step in a two year process to phase out the QF-4 full scale aerial target. 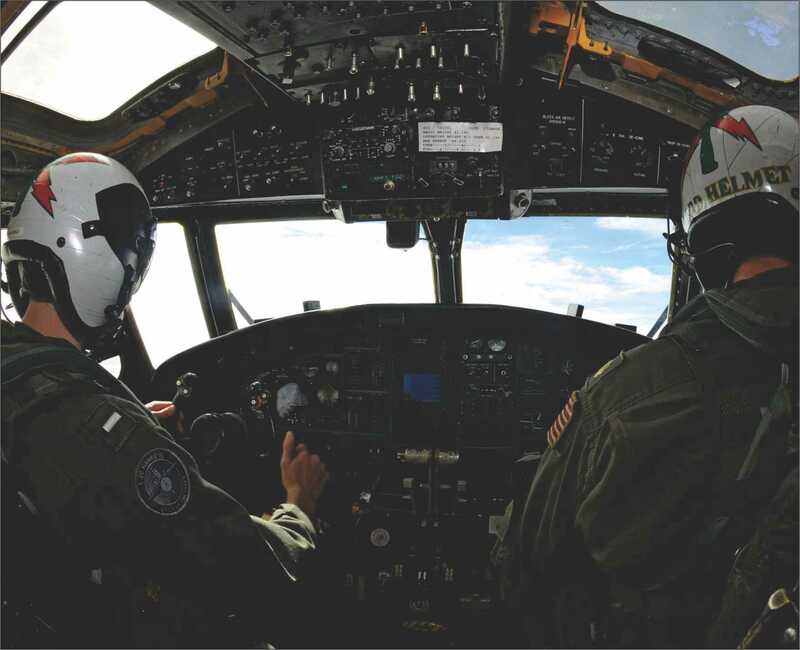 The 82nd Aerial Targets Squadron and Boeing conducted the flight. 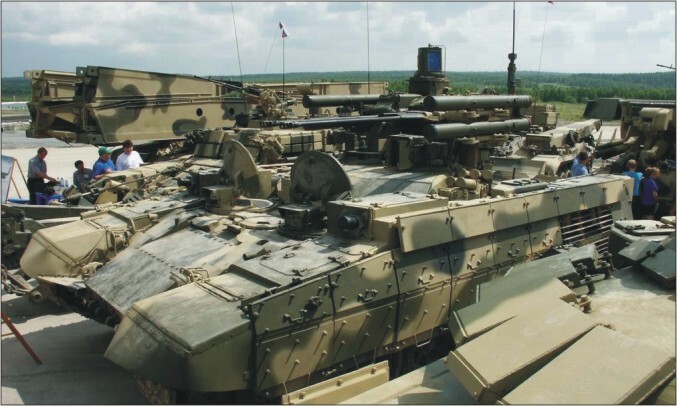 OCTOBER 2013: Russia's Uralvagonzavod defense manufacturer has unveiled the BMPT-72 tank support fighting vehicle, dubbed the "Terminator-2". 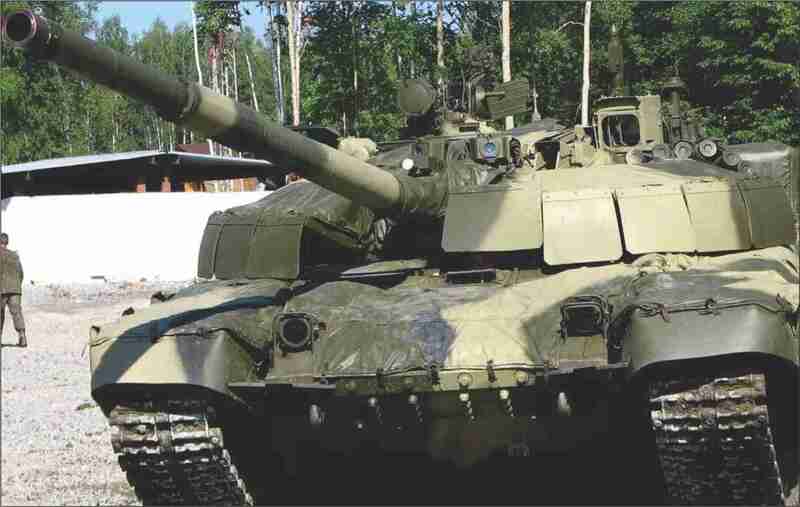 The BMPT-72 is an extensive modernization of the world-famous T-72 main battle tank, also produced by Uralvagonzavod. 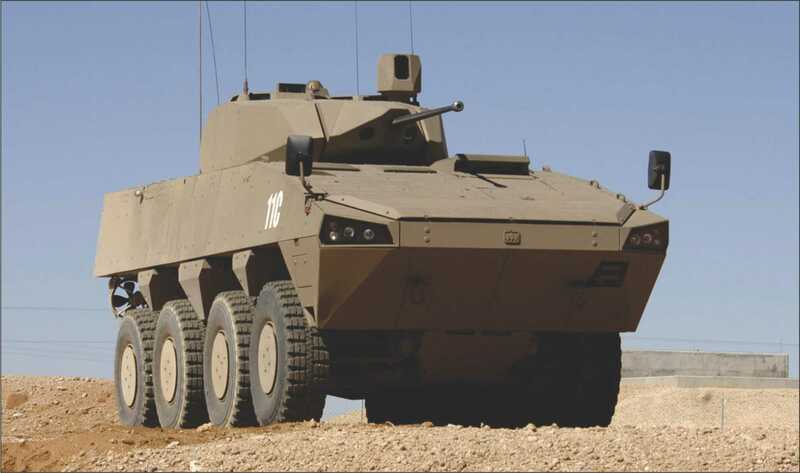 Compared with its predecessor-the BMPT-the BMPT-72 has an improved fire control system and better turret weapon station protection. 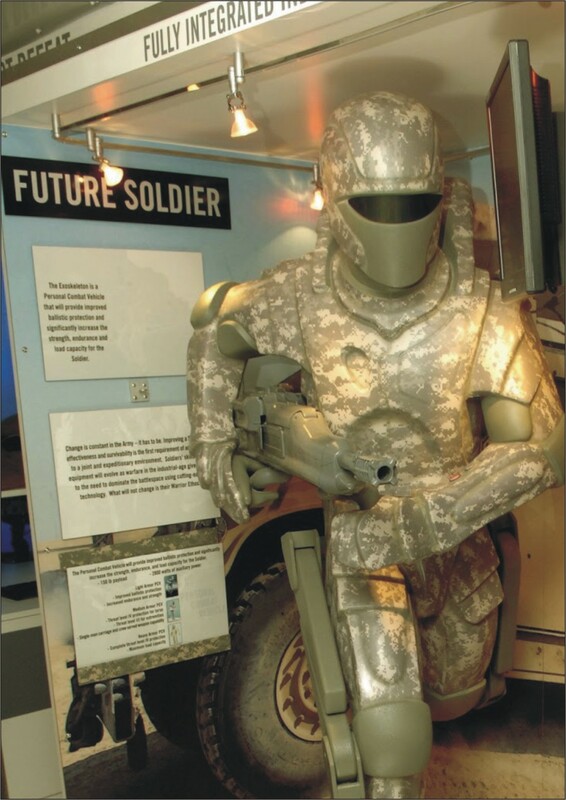 OCTOBER 2013: The government of Iraq continues to snap up American defense products, and is now adding advanced robots that American soldiers are currently using in combat to its arsenal. 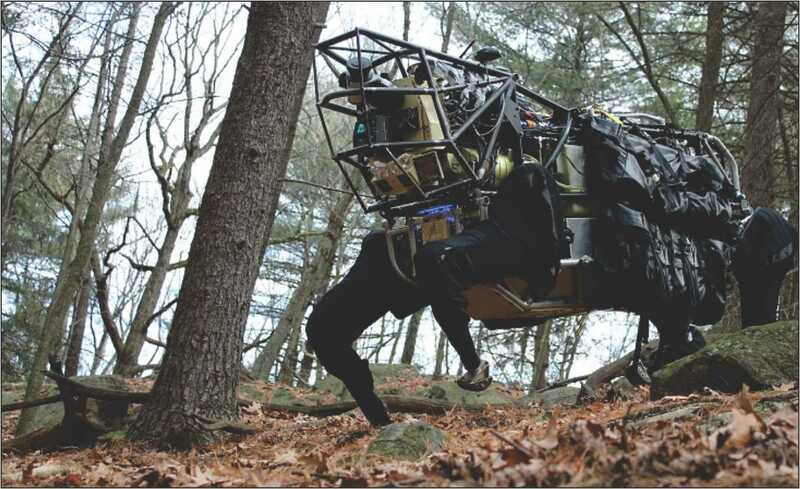 Recently, robot maker QinetiQ North America announced that it had inked a $20 million deal with Baghdad to acquire its Talon IV ‘bot, a deal which the company says includes spares and training. OCTOBER 2013: The Iranian Ground Force recently unveiled the country’s latest home-made combat drone named ‘Yasir’. 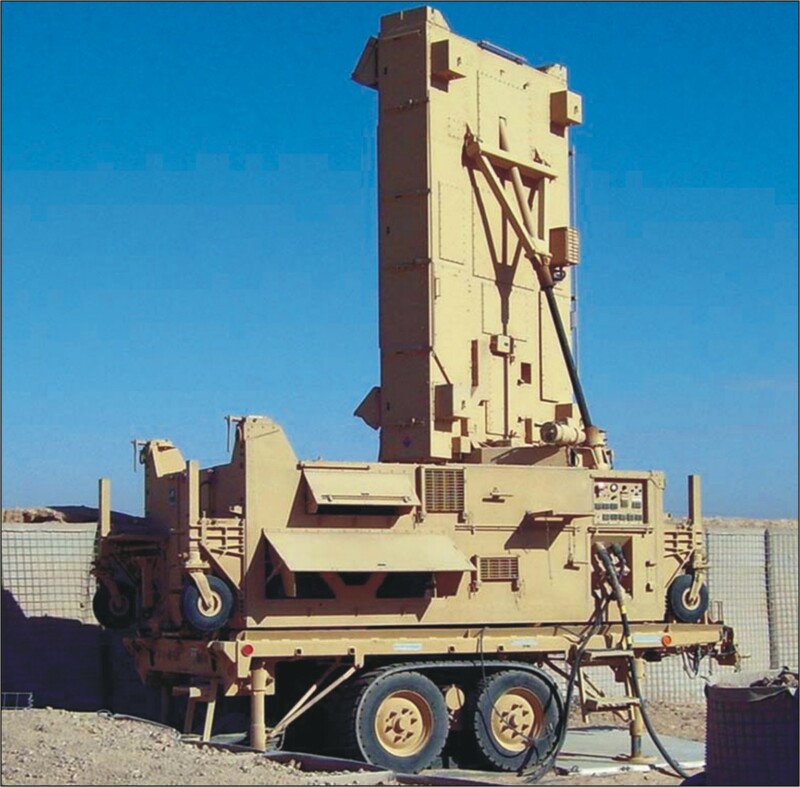 One of the main capabilities of Yasir is detection and targeting of remote targets. 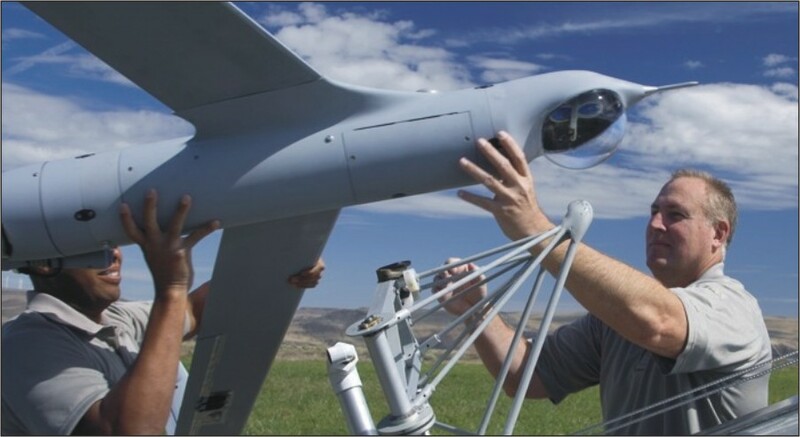 The drone is equipped with the most advanced reconnaissance systems. 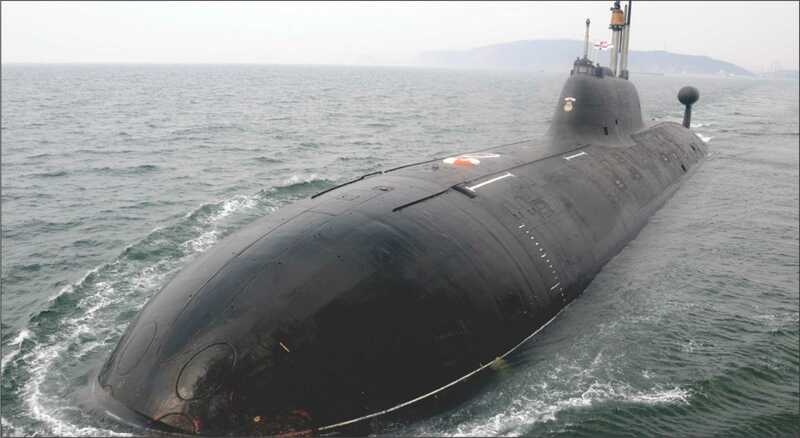 SEPTEMBER 2013: The tragic accident in the Indian Navy Kilo class Submarine INS Sindhurakshak has once again focused on the need to have a Submarine Rescue Vessel, which the Indian Navy has been urging the government to acquire. 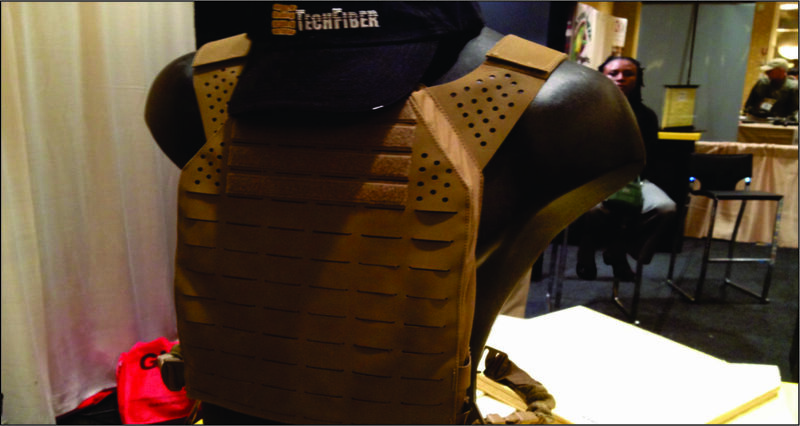 SEPTEMBER 2013: For long, ceramics has been the material of choice for creating body armor. It is strong and it is lighter than steel. But it is just as rigid and does not lend itself to contours of vulnerable parts of the body without severely restricting movement especially required in close-quarter battles. 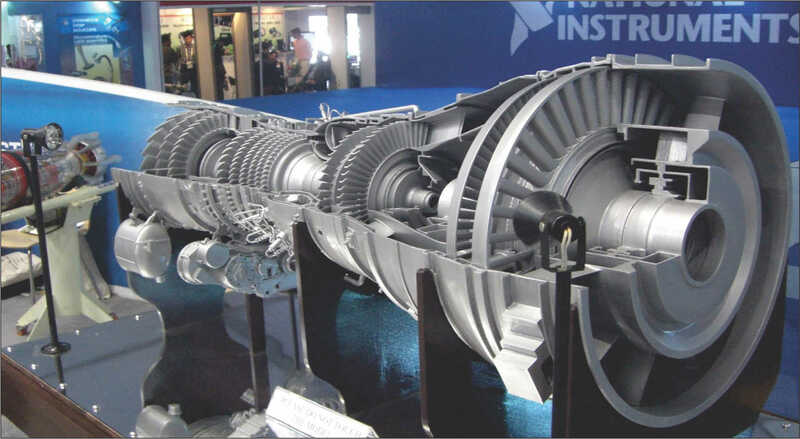 SEPTEMBER 2013: Russian defence industry is one of the oldest in the world, having the record of manufacturing the most advanced military weapons for all the three armed forces. 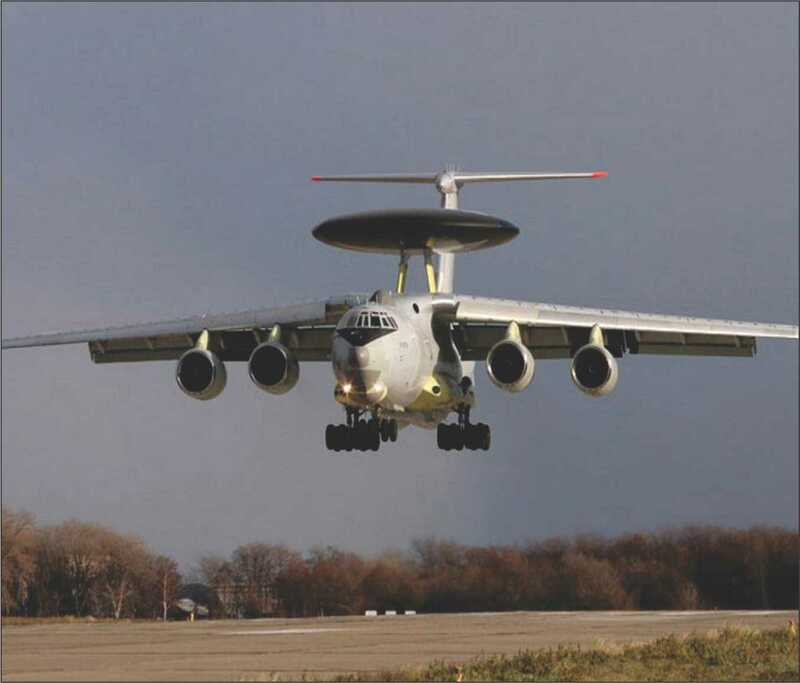 Russia is the leading defence technology provider in the world. 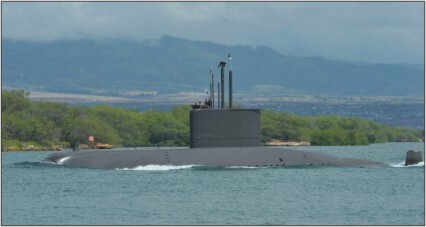 SEPTEMBER 2013: Today’s naval forces rely primarily on highly capable multifunctional manned platforms, such as ships and submarines. 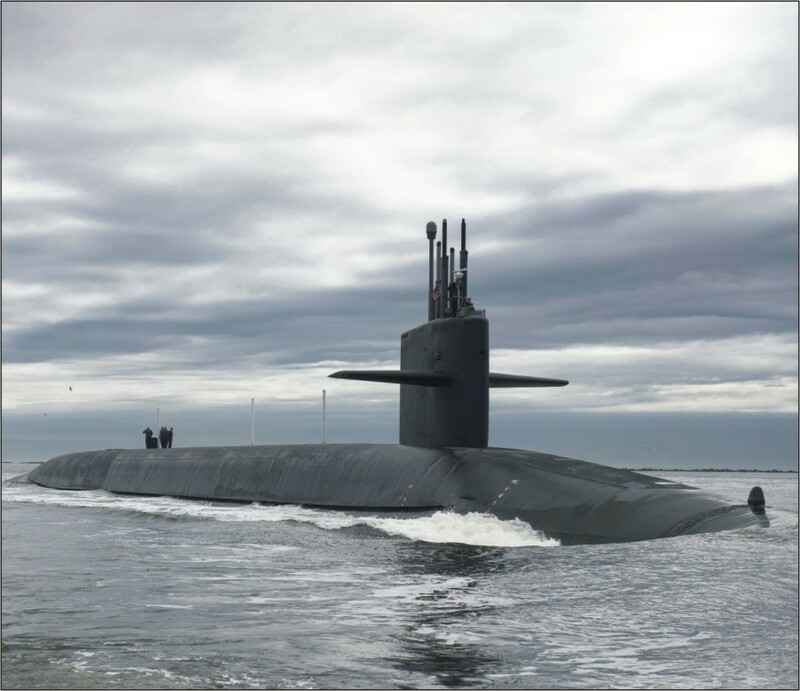 Even the most advanced vessel, however, can only be in one place at a time, making the ability to respond increasingly dependent on being ready at the right place at the right time. 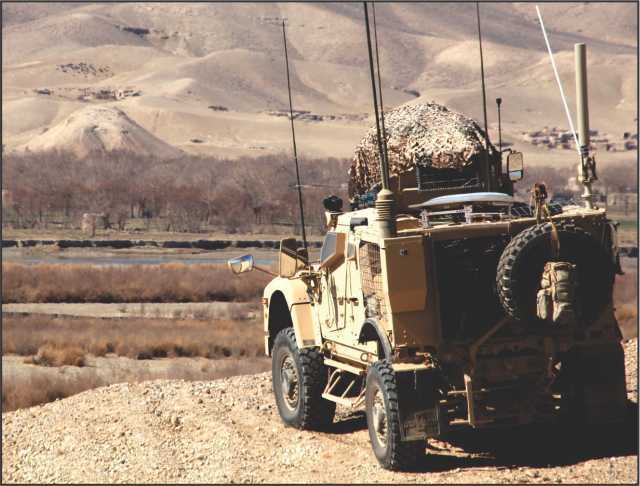 SEPTEMBER 2013: In combat and tactical vehicles, soldiers can access communications systems that display a complete picture of the battlefield. 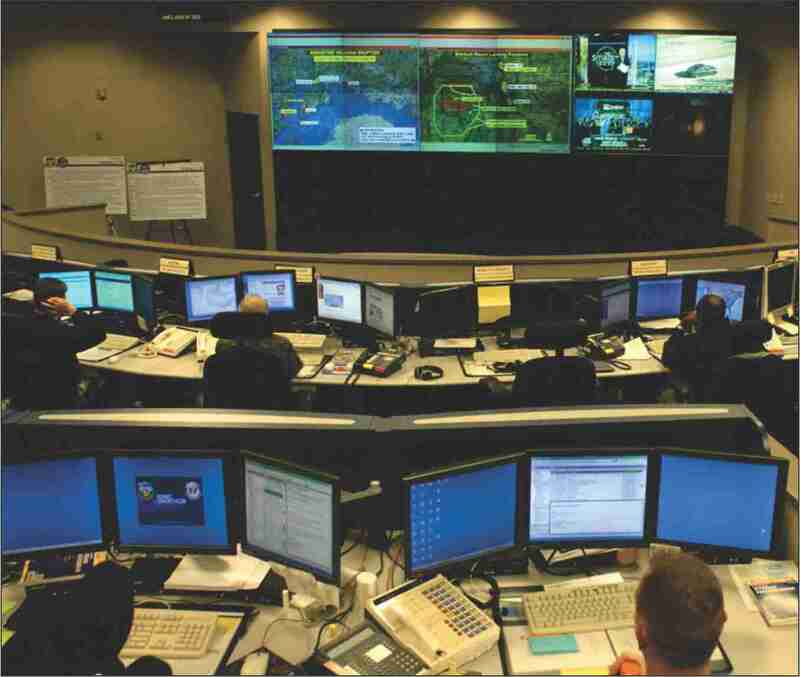 However, these high-tech situational awareness features are viewed through different computer systems, over separate monitors and with little room to spare. 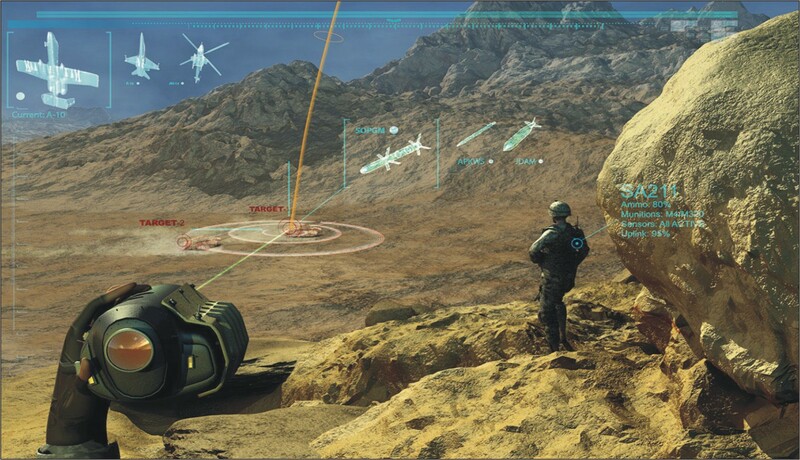 SEPTEMBER 2013: BAE Systems has introduced one of the smallest multispectral sensors available for unmanned systems-an innovation that will help improve soldier situational awareness by reducing the time required to identify targets. 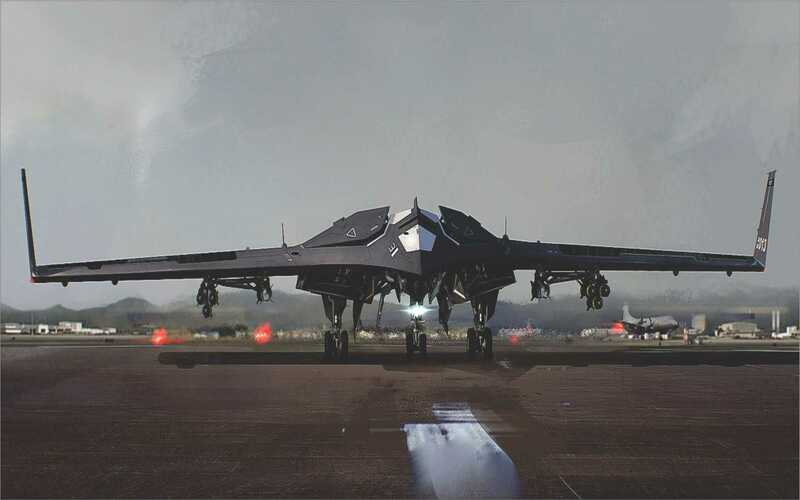 SEPTEMBER 2013: According to recent reports Russian designers are proceeding with development of an unmanned sixth-generation fighter jet. 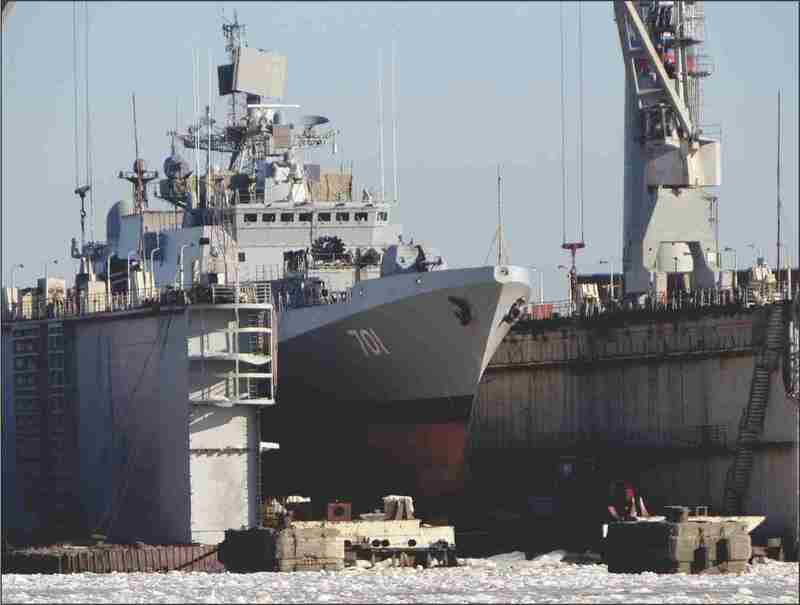 Russia will probably not be able to skip a generation and will need to complete all of its fifth-generation projects. 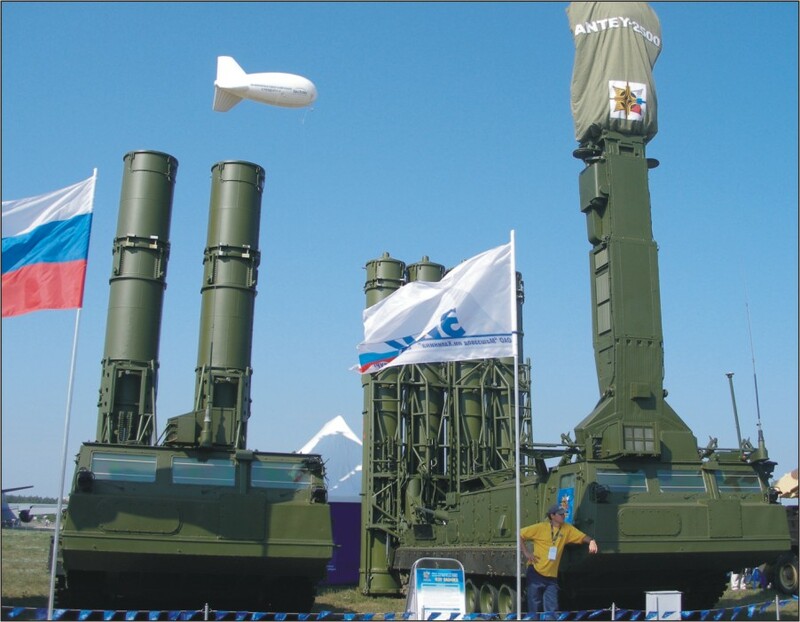 SEPTEMBER 2013: Almaz-Antei displayed publicly for the first time its new S-350E Yityaz medium range air defence system at the MAKS 2013 air show near Moscow. 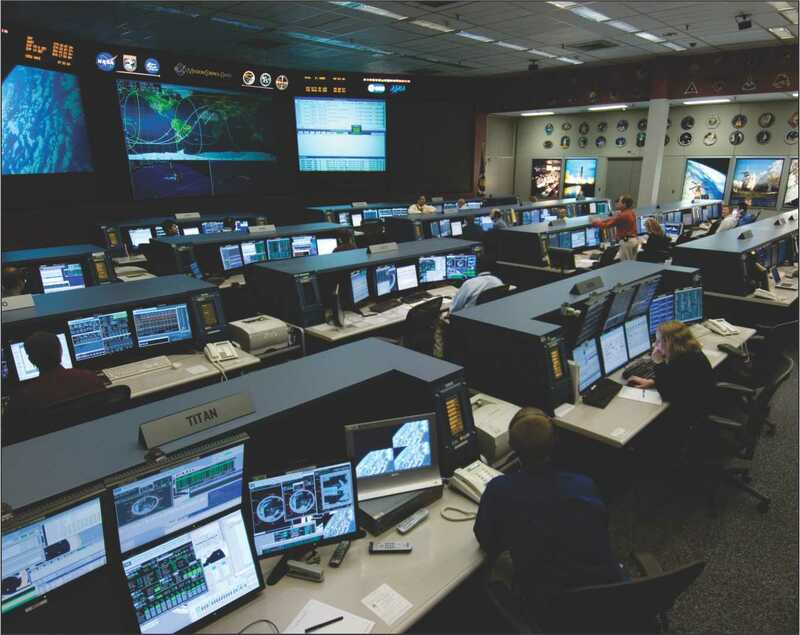 If trials scheduled to begin later this year are successful, the system could enter Russian service in 2014. 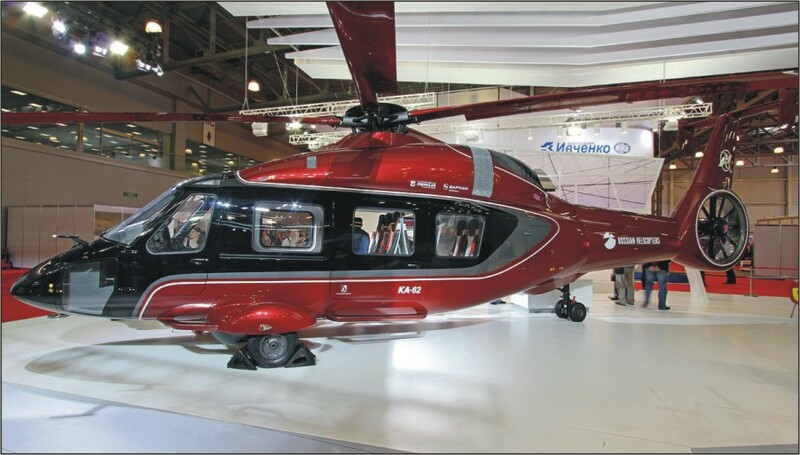 SEPTEMBER 2013: Russian Helicopters presented the first prototype of the new medium multirole Ka-62 at the MAKS International Aviation & Space Salon, which concluded recently. The Ka-62 is the first helicopter that Russian Helicopters has created in international co-operation with European partners who worked on individual components. 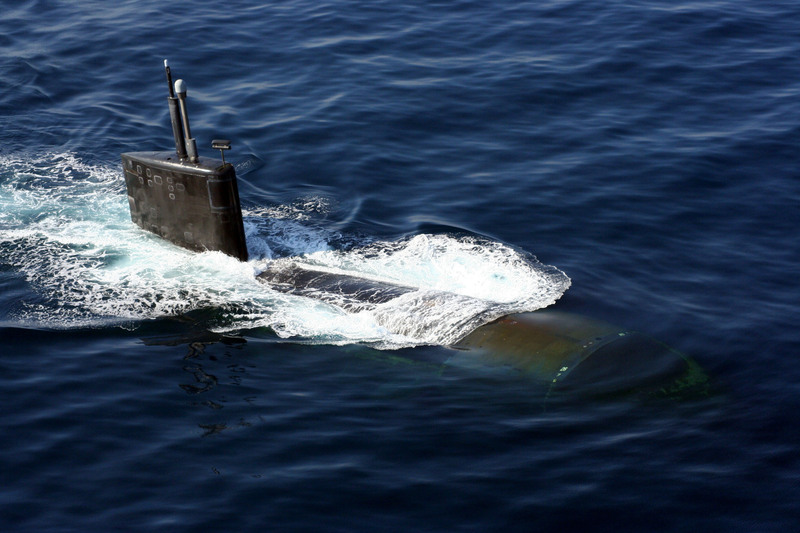 SEPTEMBER 2013: QinetiQ Maritime has secured a contract from Daewoo Shipbuilding & Marine Engineering Co Ltd (DSME), to support the development of the Republic of Korea submarine program. QinetiQ will be conducting submarine free-running model tests, which will include building the submarine model and testing it in its Ocean Basin in Gosport, UK. 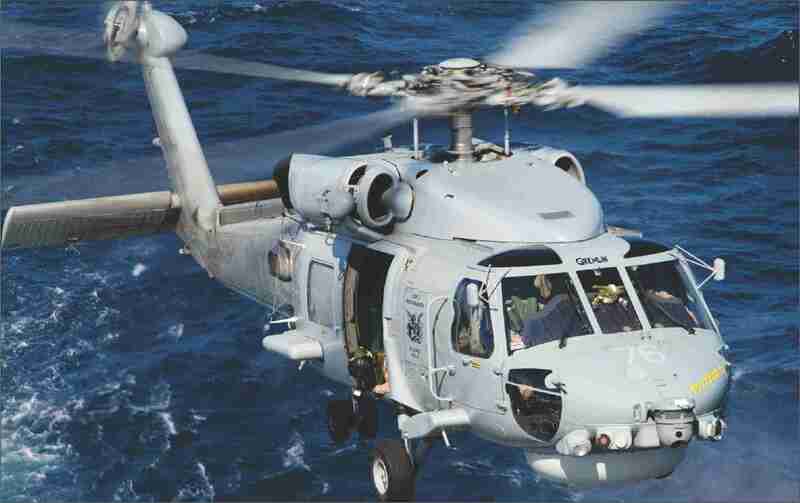 QinetiQ will also be running deep water tests at a separate location. 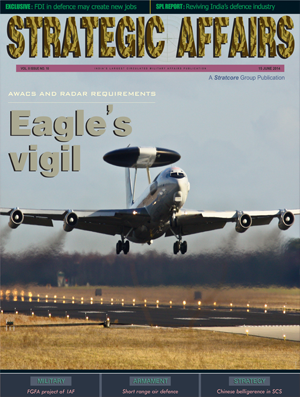 AUGUST 2013: Electronic warfare has long been the fastest changing and the most quickly redundant entity in warfare. That remains constant to this day and the new kink is that even the most ordinary mobile telephone could become a source of jamming and disruption. This makes all emissions suspect and given the plethora of mobile phones the world over electronic counter-measures can very easily become controversial. 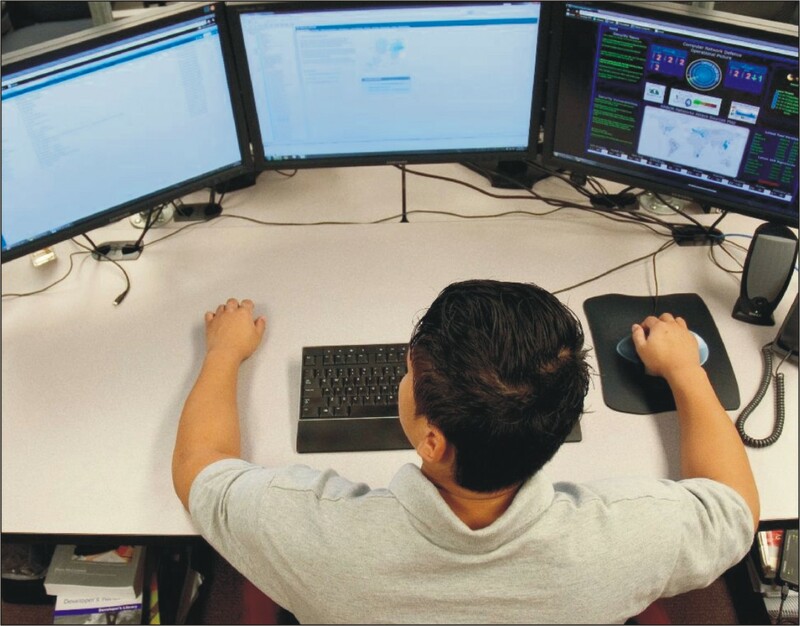 AUGUST 2013: Indra has created i-CSOC (Cyber Security Operations Center), a new center specialized in cyber security operations, from which it provides protection for systems and networks for companies, organizations and institutions that require it. 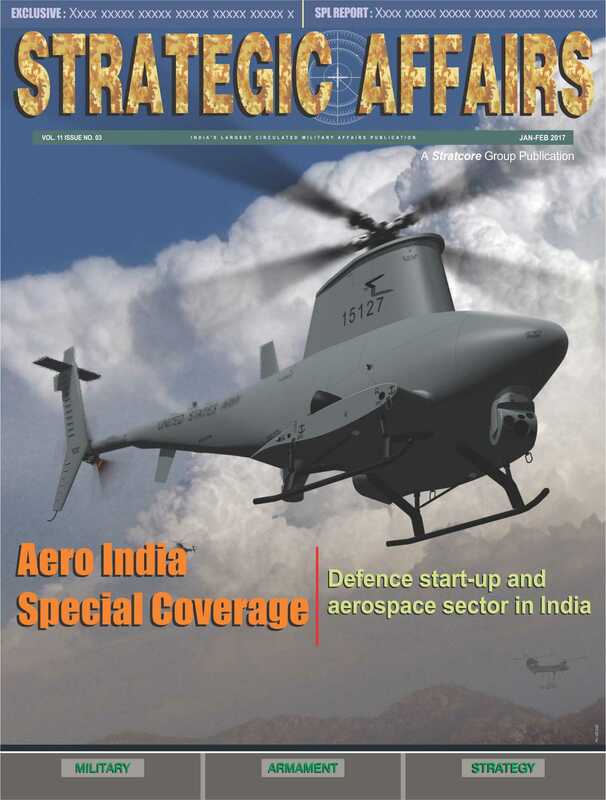 AUGUST 2013: As India is faced by a dual front threat and is on a spree to purchase modern defence technologies, many defence companies are now eyeing the lucrative Indian defence market. 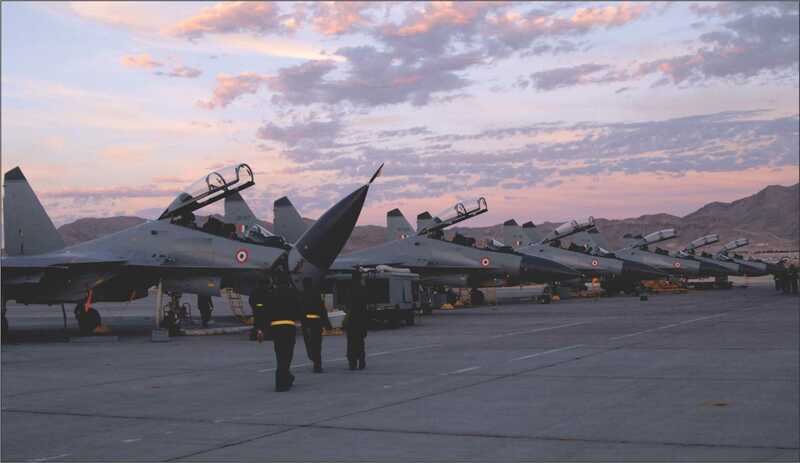 Few companies have already established their footprints in India for decades which are also now offering cutting edge technology to support the Indian Armed Forces. 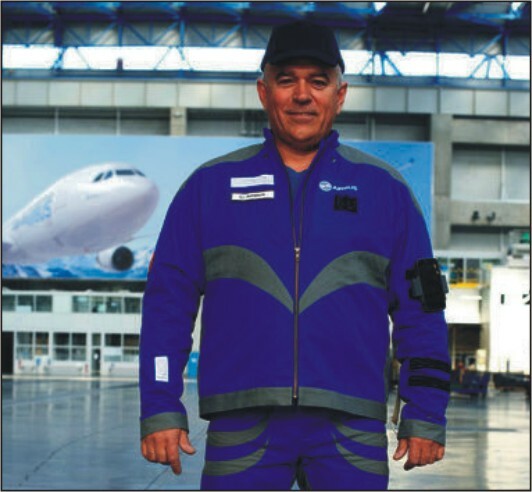 AUGUST 2013: A specialized “smart” outfit has been developed for Airbus quality inspectors on the A330 final assembly line in Toulouse, France, resulting from the Airbus Innovation Cell project in partnership with the French clothing industry organisation-the Institut Francais du Textile et de l’Habillement (IFTH). 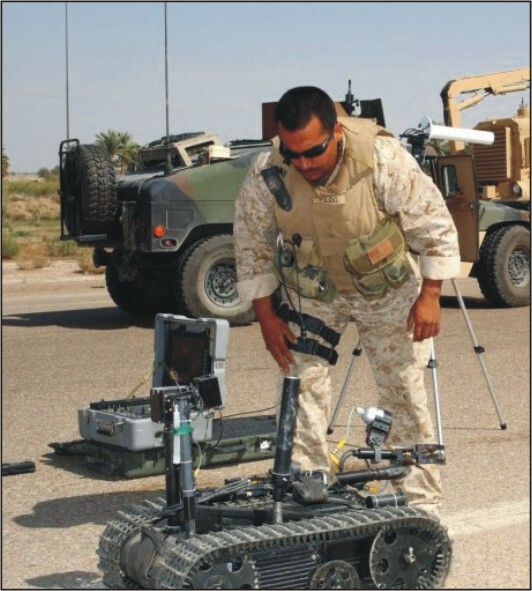 AUGUST 2013: The use of unmanned ground systems is in its infancy as a military capability, but engineers are making tremendous advancements toward interoperable robotics with NATO allies. 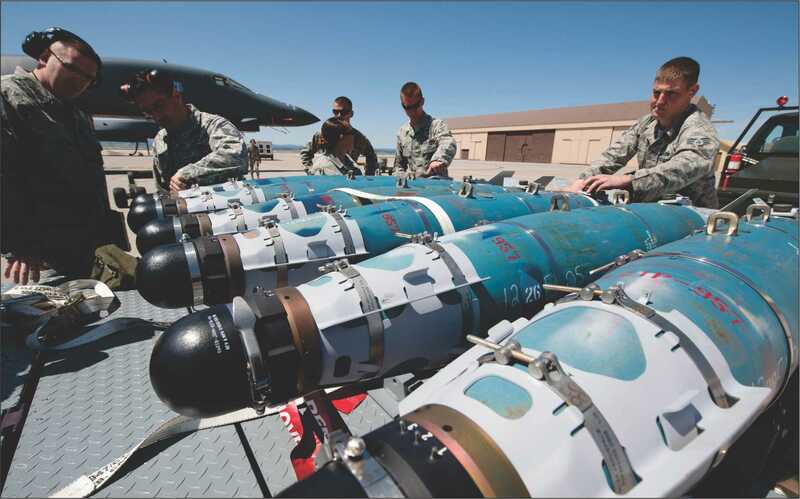 Over the last decade, the majority of their use on the ground has been in support of explosive ordinance missions. 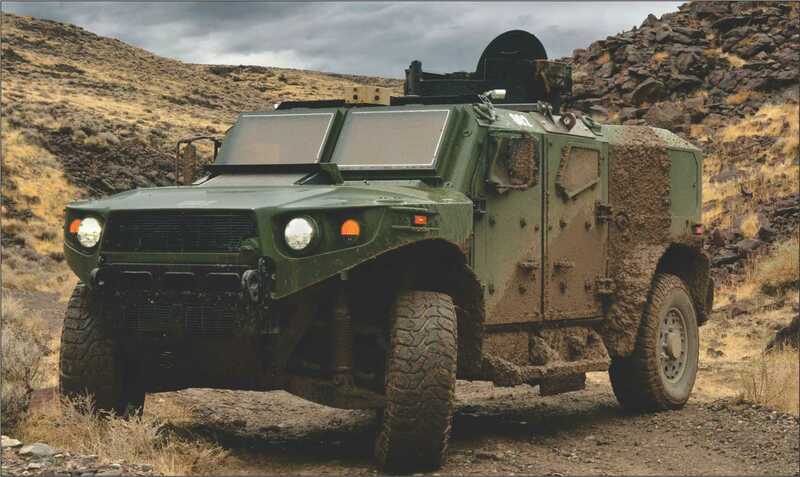 AUGUST 2013: Recently, Raytheon Company’s (RTN) 3rd Generation Forward Looking Infrared (3rd Gen FLIR) Improved Target Acquisition System (ITAS) and fire control successfully achieved proof of concept in a series of laboratory and field tests. 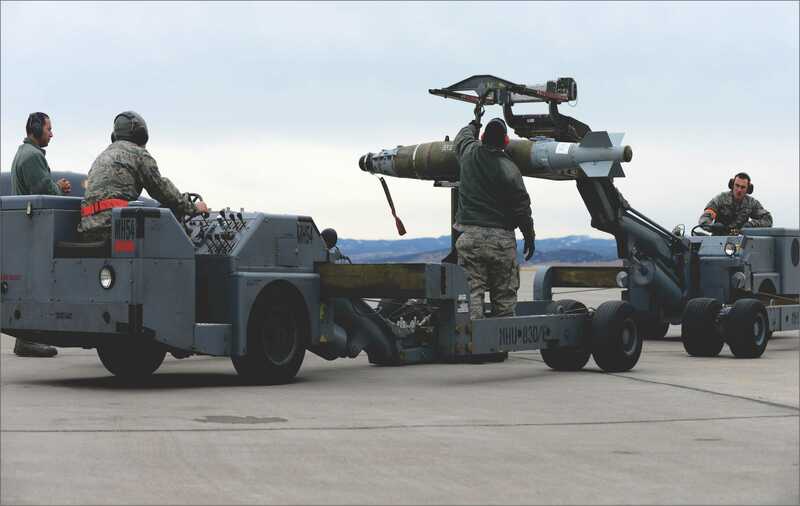 Preliminary evaluation of the impact of firing all versions of the TOW missile was also performed. 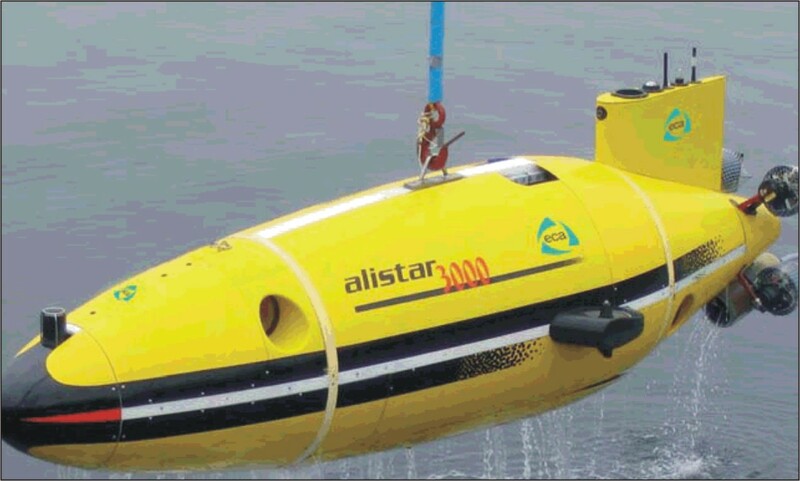 AUGUST 2013: The French Navy is conducting ECA robotics-built Alister 100 lightweight autonomous underwater vehicle (AUV) trials as a preliminary to receiving six AVUs over the coming months. The 2m-long Alister 100 AUV weighs 70kg and will be used by the French Navy as underwater drones to support mine warfare missions. 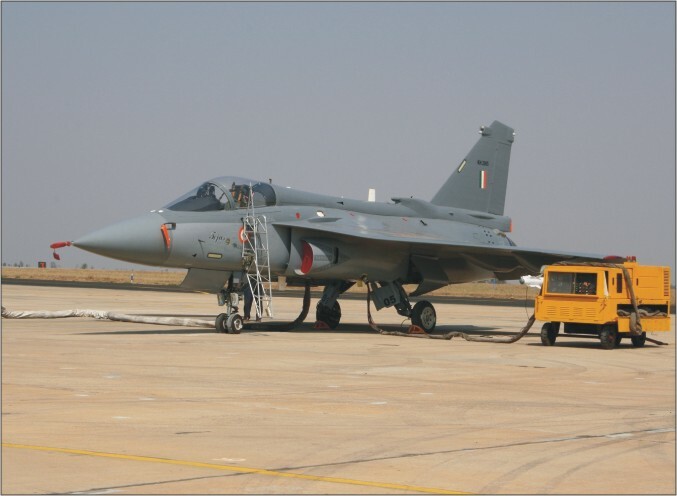 JULY 2013: The rookie pilots of Indian Air Force will now be trained on the most modern basic trainer enhancing their flying skills, who in future will be deputed to fly most modern aircrafts like the Rafale, C-17 Globemaster, P-8I, Mi-17V5 etc. 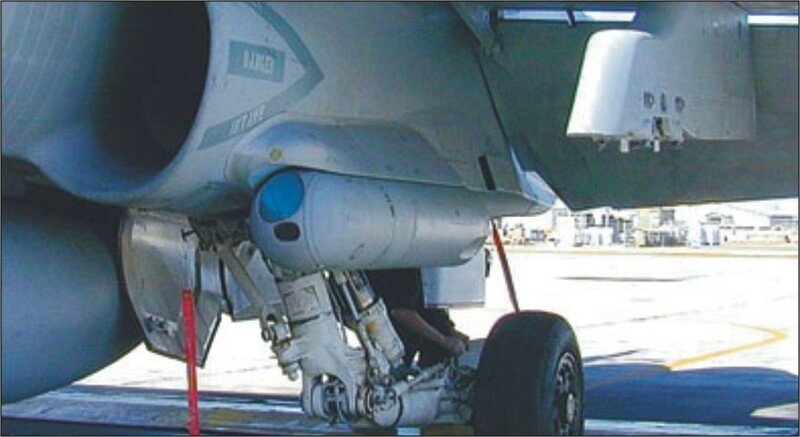 JULY 2013: It can be extremely disconcerting for a fighter pilot to know that there is a missile on his tail. 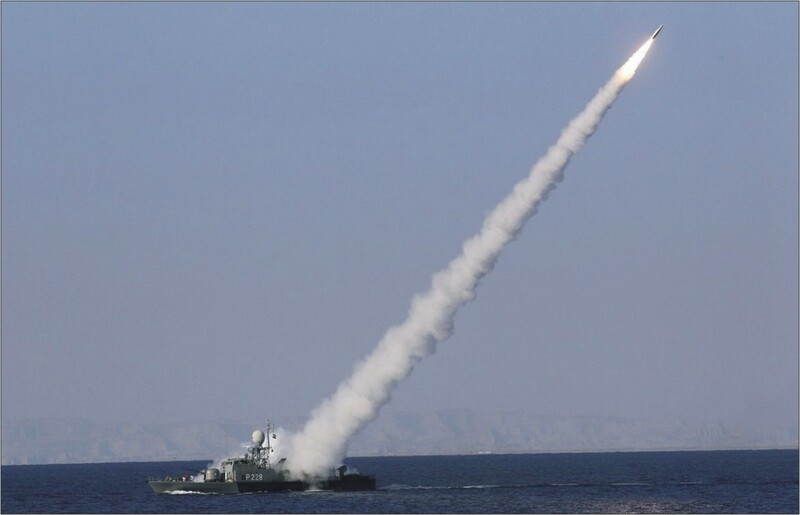 It is fortunate that aircraft manufacturers have learned from the improvements in capabilities of missiles of all kinds-air-to-air and surface-to-air (SAM) in particular-to be able to install early warning systems against the means by which the missiles are guided to their target. 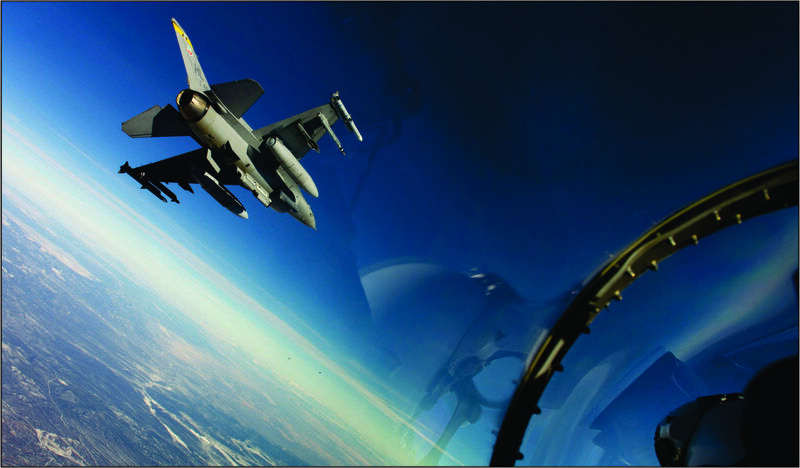 JULY 2013: Air-ground fire coordination-also known as Close Air Support or CAS-is a dangerous and difficult business. 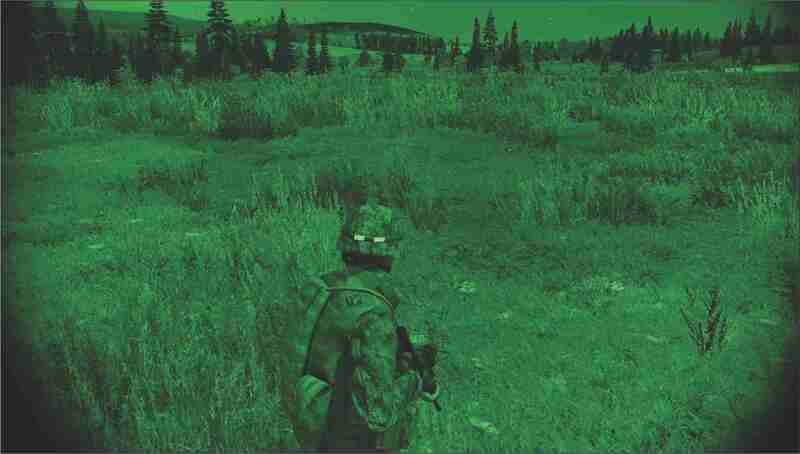 Pilots and dismounted ground agents must ensure they hit only the intended target using just voice directions and, if they’re lucky, a common paper map. It can often take up to an hour to confer, get in position and strike-time in which targets can attack first or move out of reach. 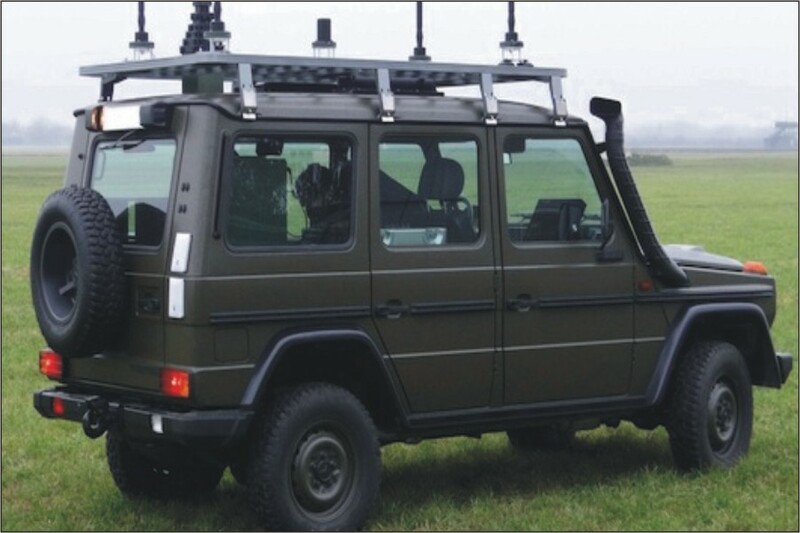 JULY 2013: A next generation Vehicle Protection Jammer that can detect a road side bomb in under a microsecond was being demonstrated last month by Cassidian. 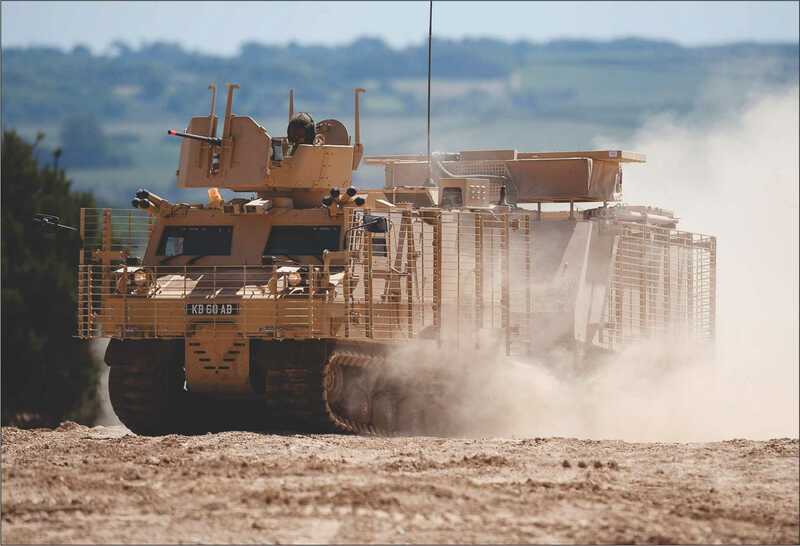 The innovative Vehicle Protection Jammer-thought to be the first of its kind in the world-is so advanced that it can rapidly alert military personnel to the presence of a road side bomb. 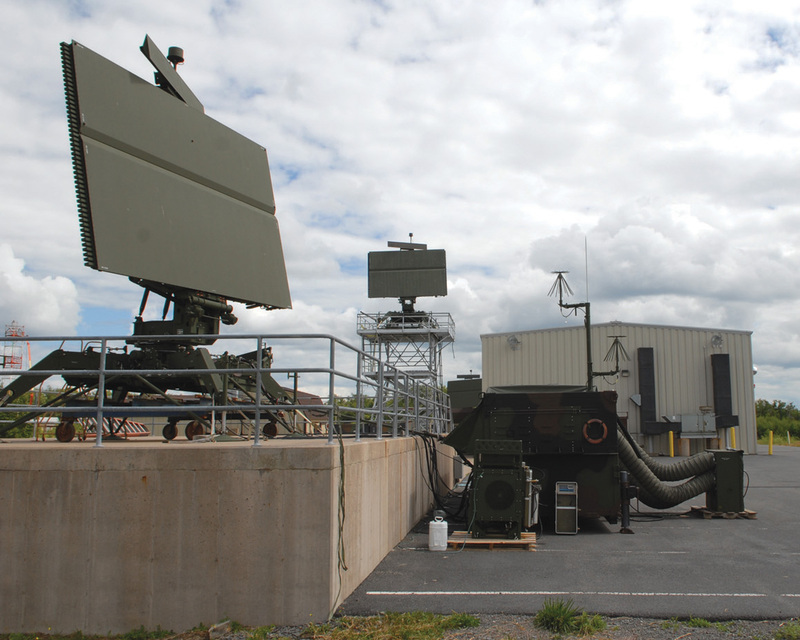 JULY 2013: Taking advantage of lessons learned through several Network Integration Evaluation cycles, the US Army is fielding to its first unit a new, smaller ground satellite terminal designed to provide high-capacity, beyond-line-of-sight communications to newly digitized command posts at the company level. 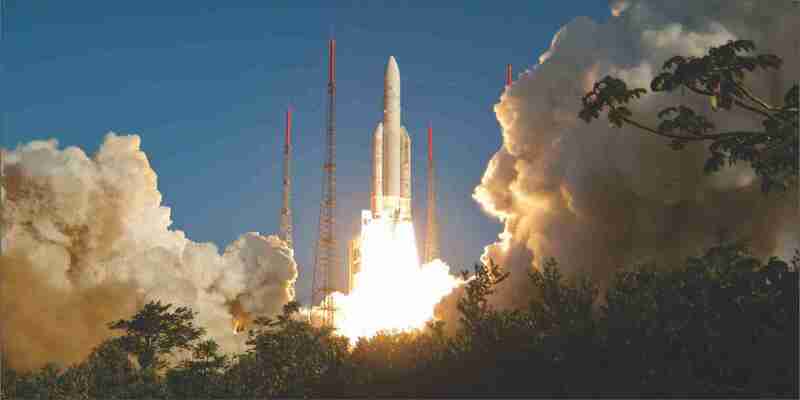 JULY 2013: A new concept in missiles that can rapidly navigate busy airspace without using GPS or revealing their origin has been unveiled. 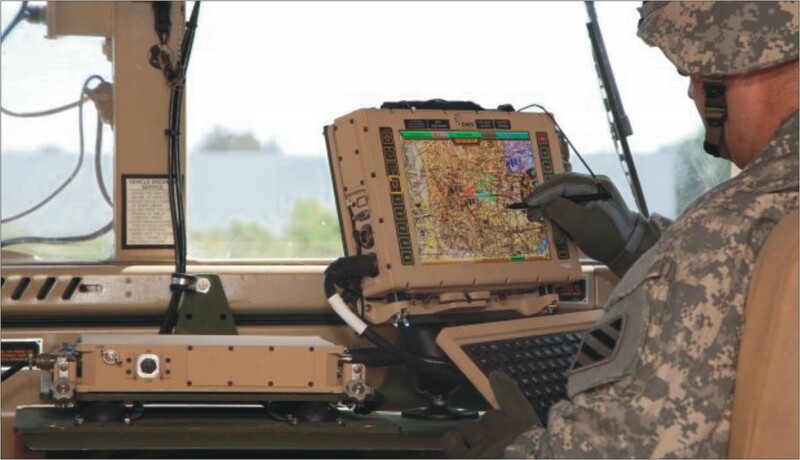 The proposed system, known as Hoplite, would enable troops to automatically call up precise strikes without having to wait for the surrounding airspace to clear or for a human operator to plan the missiles’ route. JULY 2013: The Royal Navy is deploying multimillion pound unmanned surveillance crafts to scout out missions and gather intelligence. UK warships are to benefit from an unmanned ‘eye in the sky’ as part of a new multimillion-pound contract. JULY 2013: AgustaWestland recently announced that the first ICH-47F Chinook for the Italian Army successfully accomplished its maiden flight. 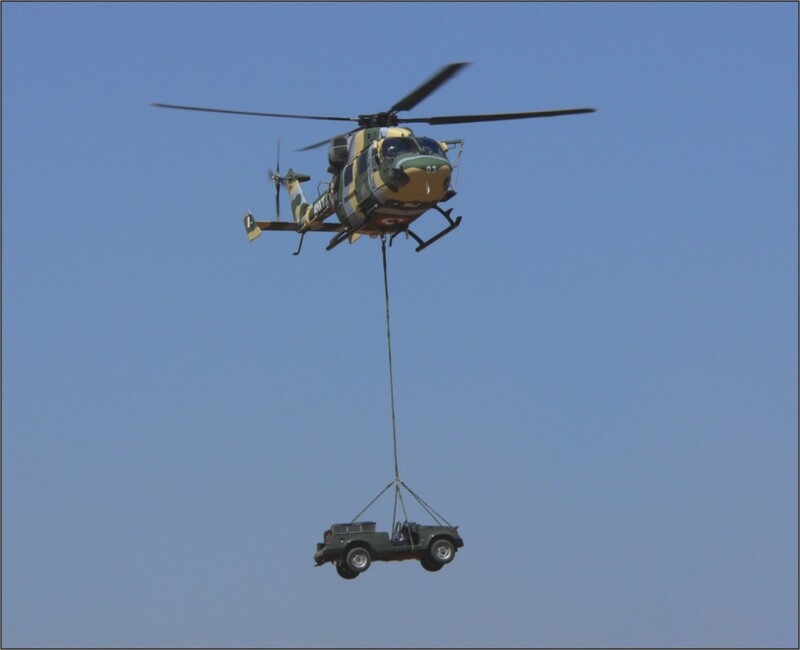 The aircraft took to the air for 15 minutes, performing as expected whilst carrying out basic handling tests and main systems checks. 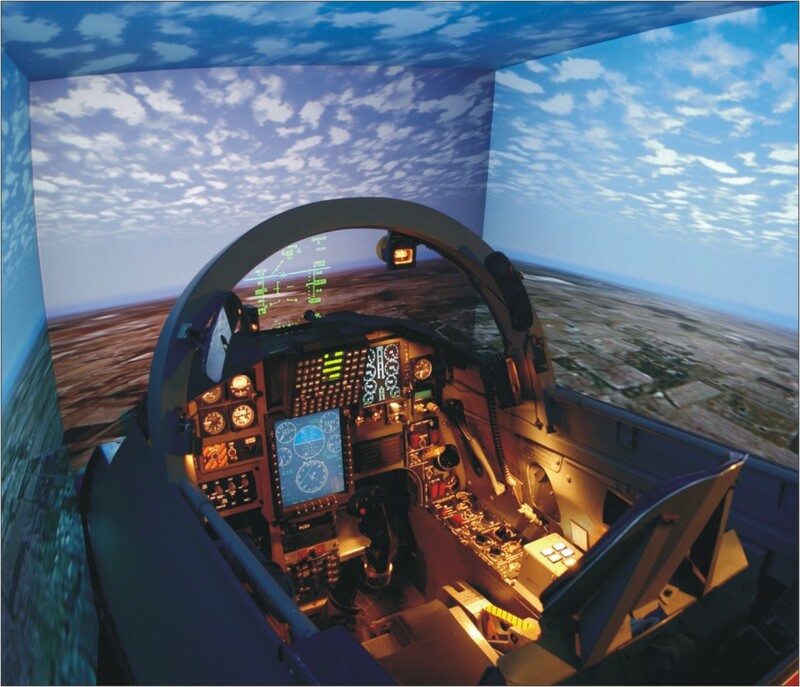 JULY 2013: Recently, the first A400M Full Flight Simulator (FFS) designed and built by Thales for Airbus Military received European Aviation Safety Agency’s qualification for training. 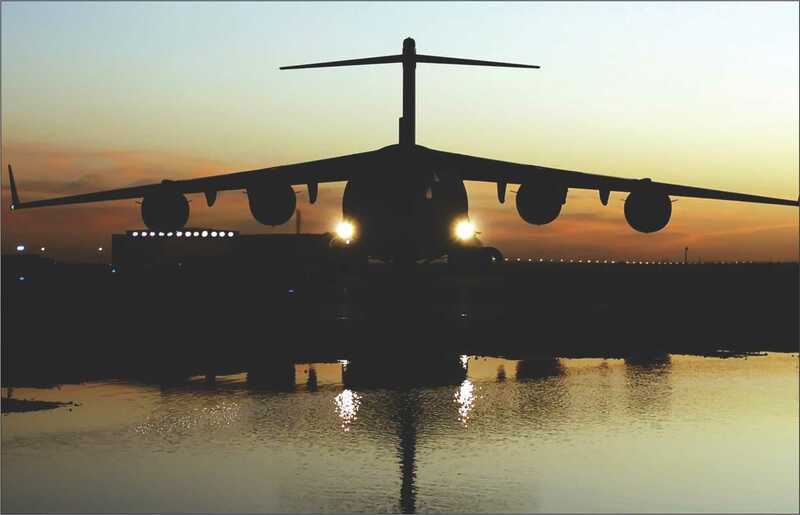 This qualification is a key enabling milestone that allows Airbus Military to start to train A400M flight crews for their complex missions in a safe environment. 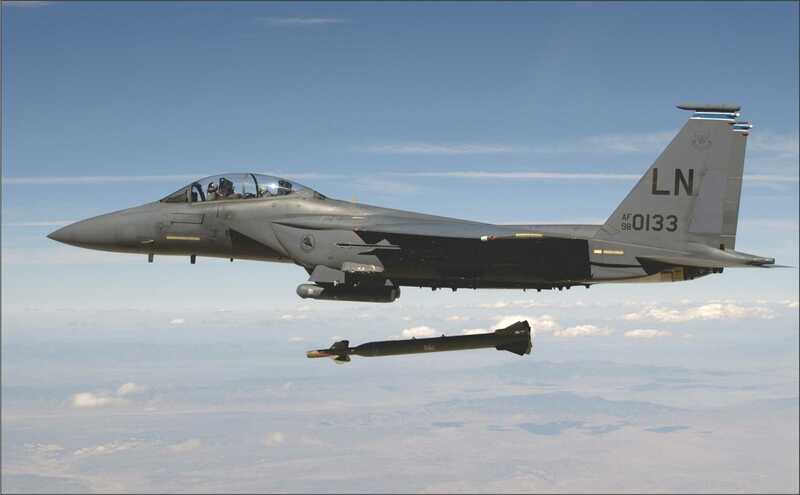 JULY 2013: Raytheon Company has initiated an internally funded program to enhance its combat-proven 155mm Excalibur GPS-guided projectile with a new guidance and navigation unit (GNU) with a semi-active laser (SAL) end-game targeting capability. 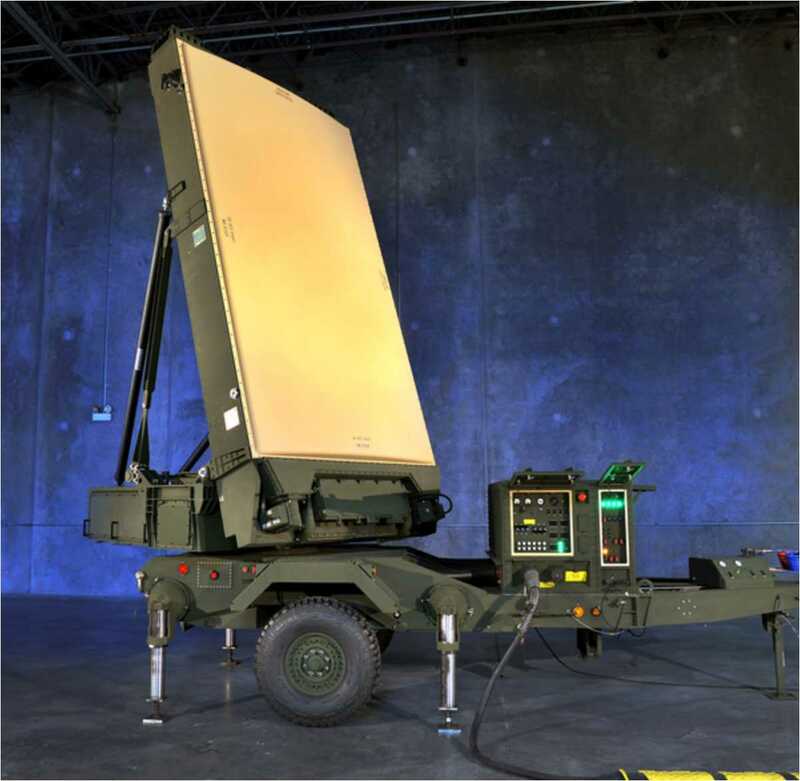 Addition of the SAL seeker will allow the munition to attack moving targets, attack targets that have re-positioned after firing, or change the impact point to avoid casualties and collateral damage. 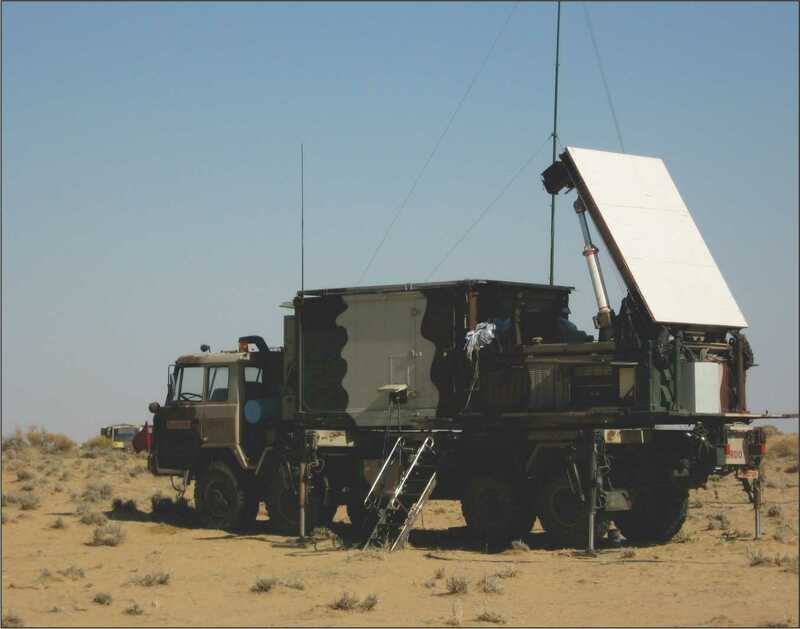 JUNE 2013: The manner in which the Indian Army went about trying to acquire weapons locating radar for artillery counter-bombardment purposes was astonishingly naïve. 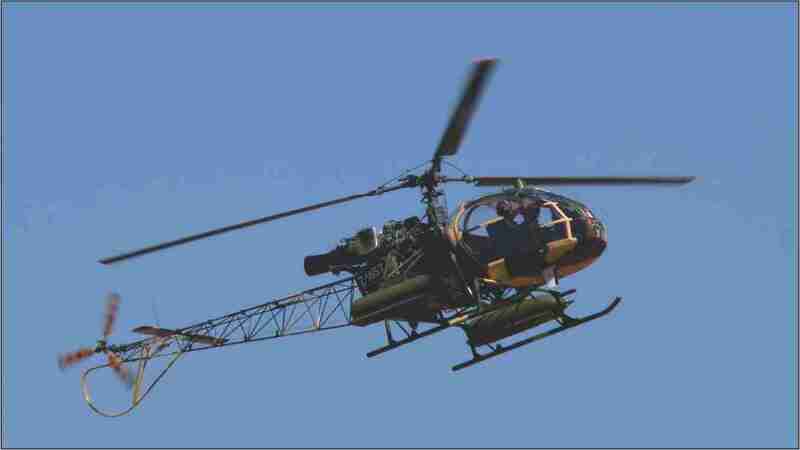 It left the nation at a very severe disadvantage when war broke out in the Himalayas in 1999 in the Kargil sector. 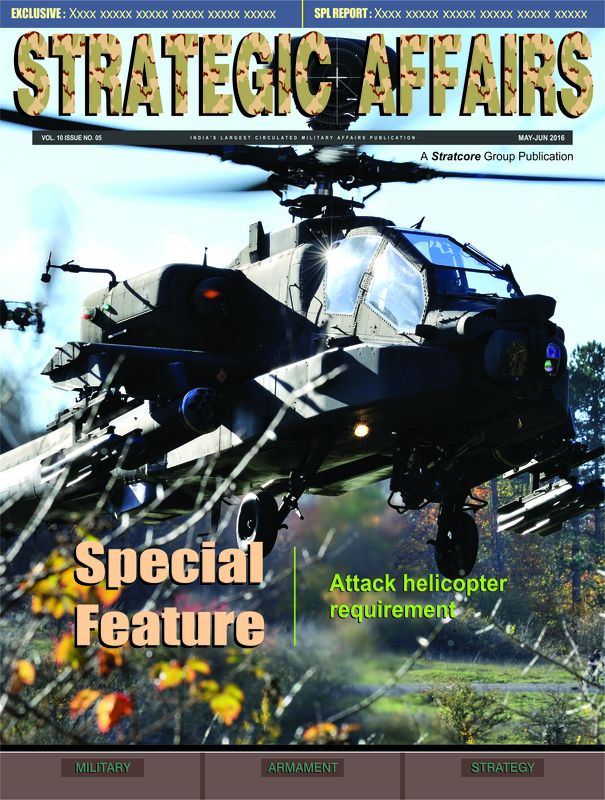 JUNE 2013: For most nations air defence is a multilayered proposition. 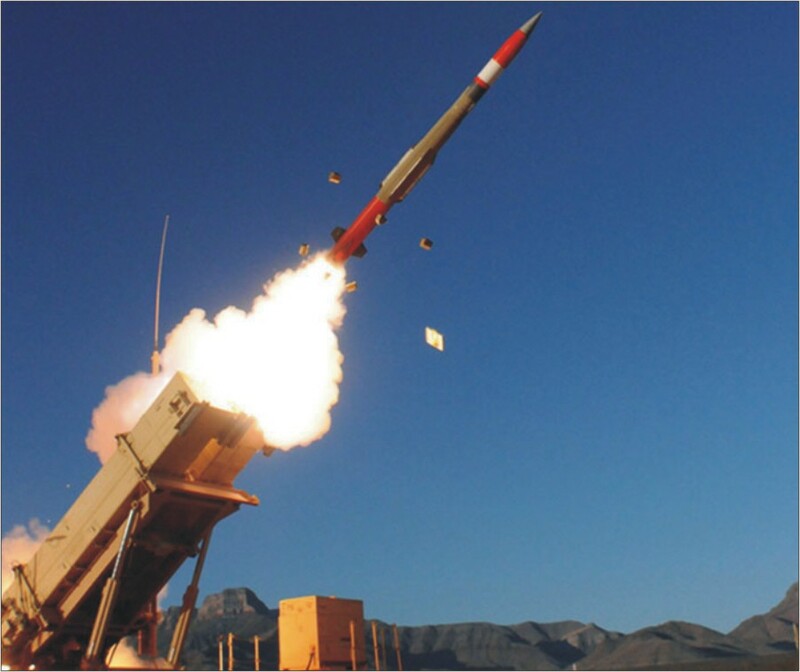 Given the threat perception most nations have to set up a triple barrier of surface-to-air missiles capable of stopping an enemy barrage at high altitude, at medium altitude, and, as a last resort, at very short distances from the intended target. 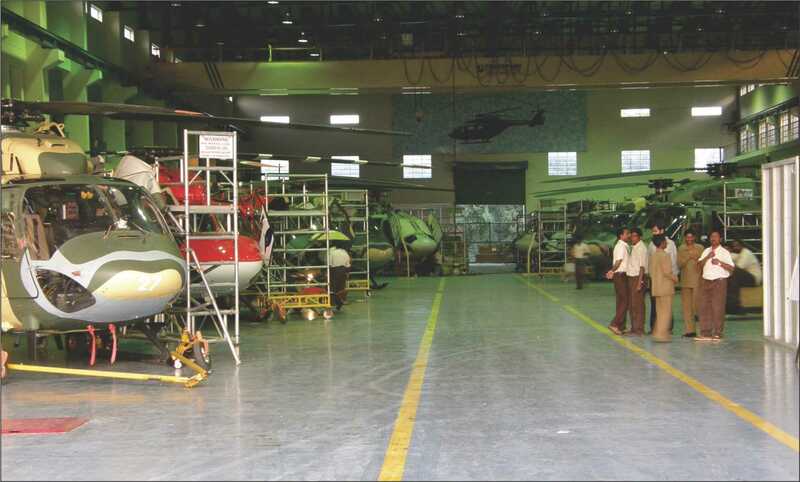 JUNE 2013: Once again an alleged scam in the procurement of VVIP helicopters from the Italian firm AgustaWestland is threatening to cast a long shadow across the whole spectrum of rotary-winged helicopters required for the Indian armed forces. 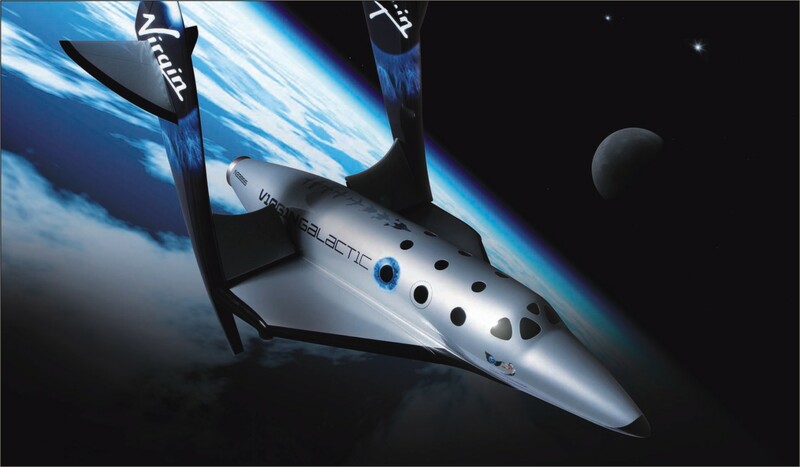 JUNE 2013: In a development of significance, in April end this year, a commercial passenger space-liner designed to carry space tourists routinely into orbit made its maiden rocket powered test flight, attaining supersonic speed. 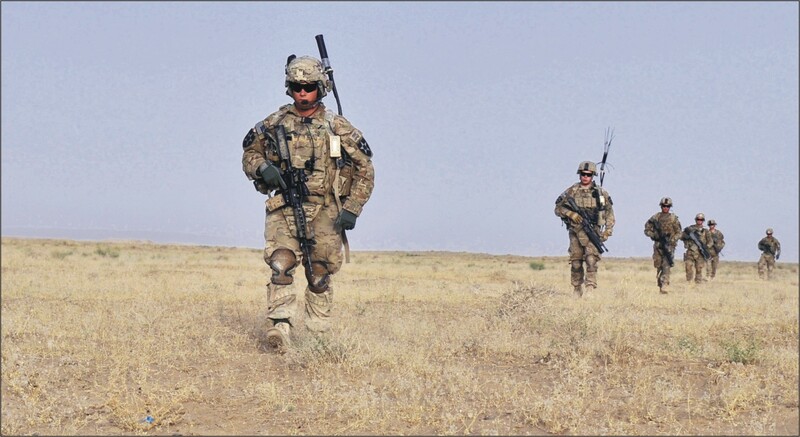 JUNE 2013: DARPA’s Adaptable Sensor System (ADAPT) program aims to transform how unattended sensors are developed for the military by using an original design manufacturer (ODM) process similar to that of the commercial smartphone industry. 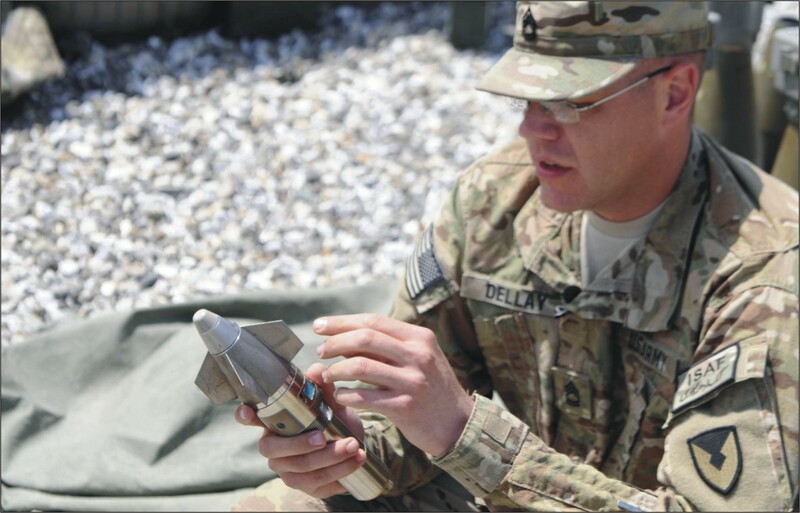 JUNE 2013: Recently, the Artillerymen with Battery’s A and B, 2nd Battalion, 15th Field Artillery Regiment became the first unit in Regional Command East to use the Precision Guidance Kit, or PGK, when they test-fired rounds equipped with the system. 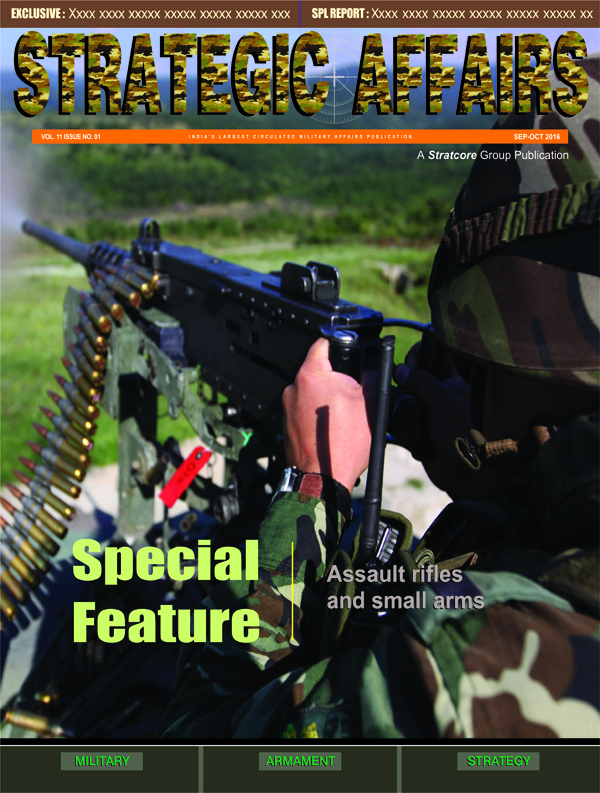 JUNE 2013: Success on the battlefield requires warfighters to know as much as possible about themselves, their surrounding environment and the potential threats around them. 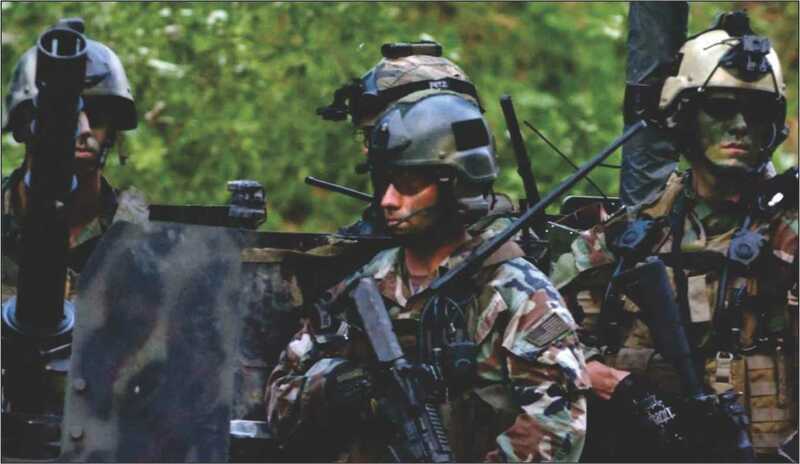 Dismounted infantry squads in particular risk surprise and loss of tactical advantage over opponents when information is lacking.